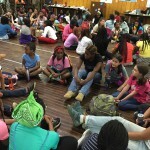 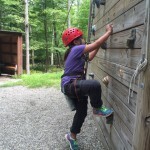 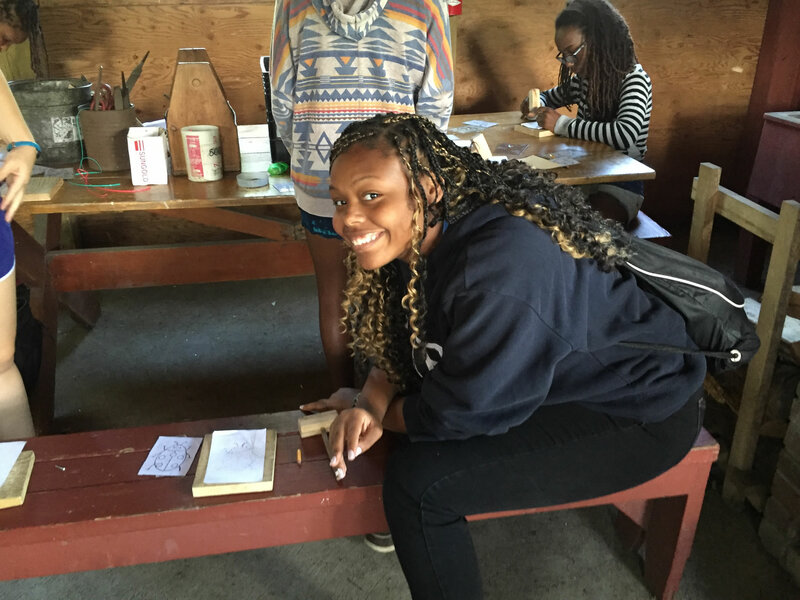 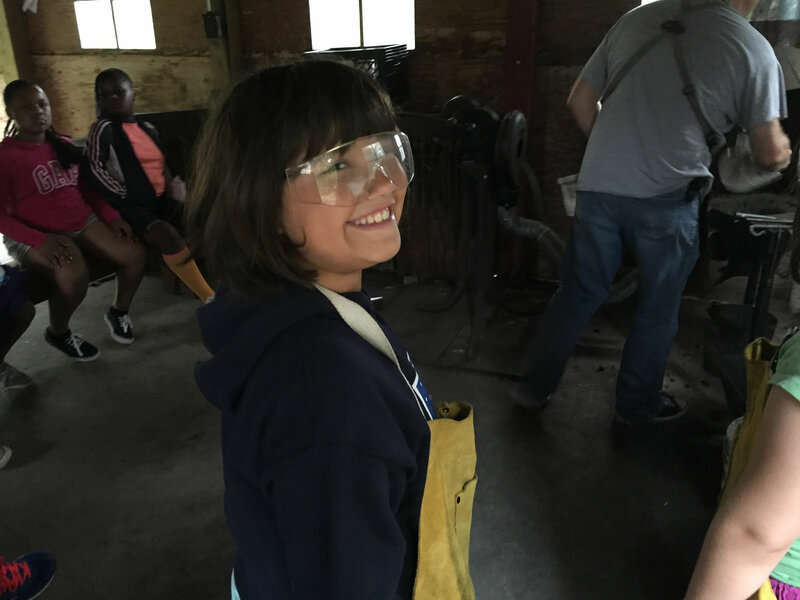 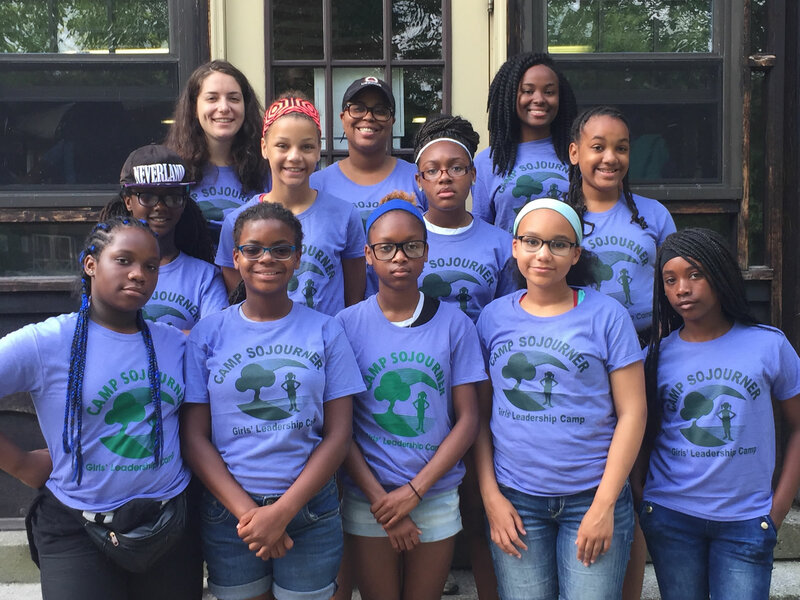 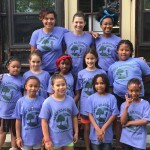 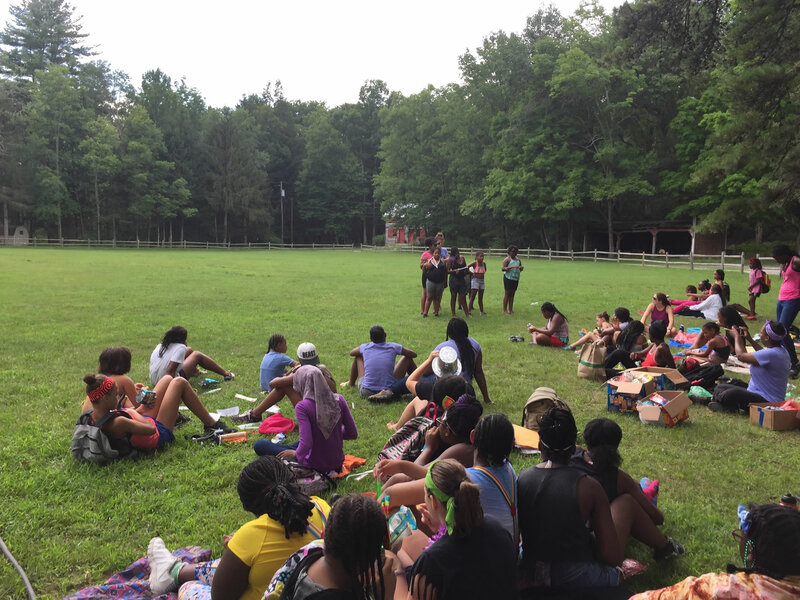 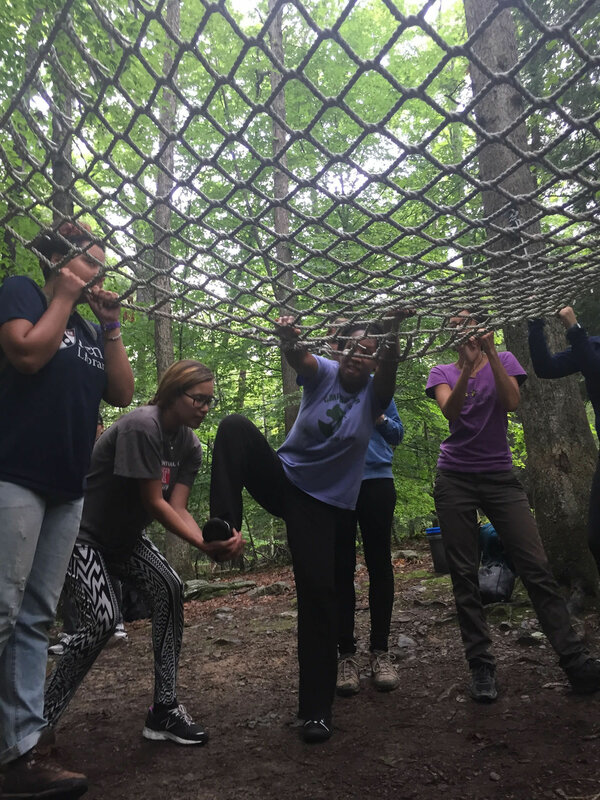 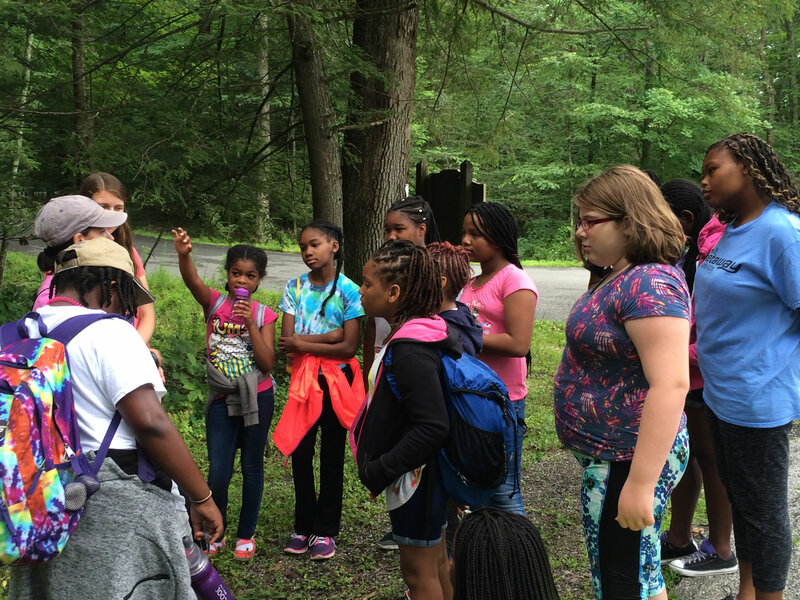 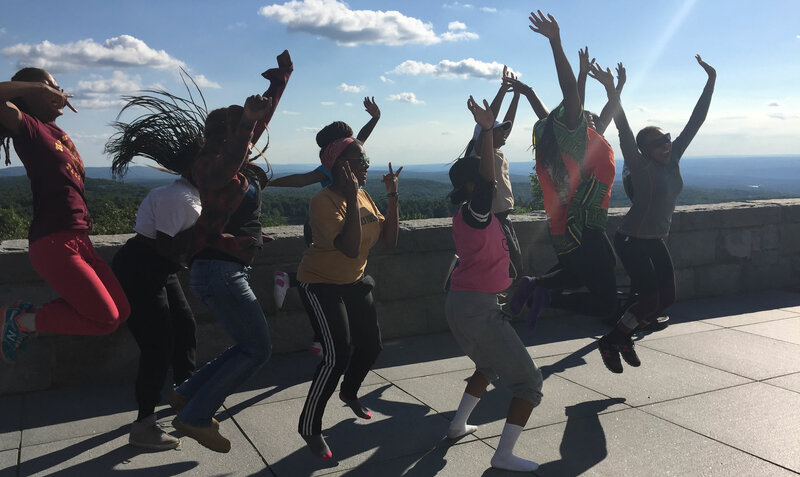 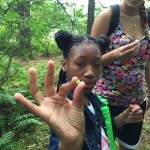 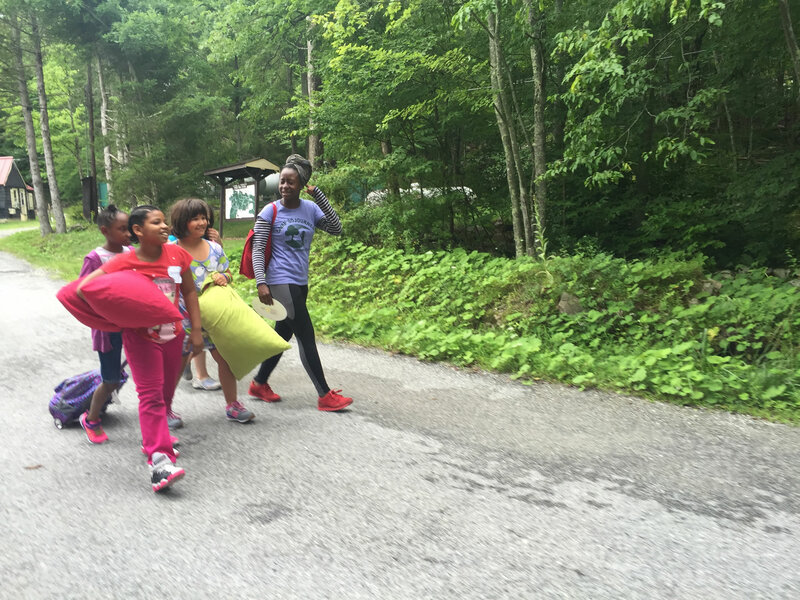 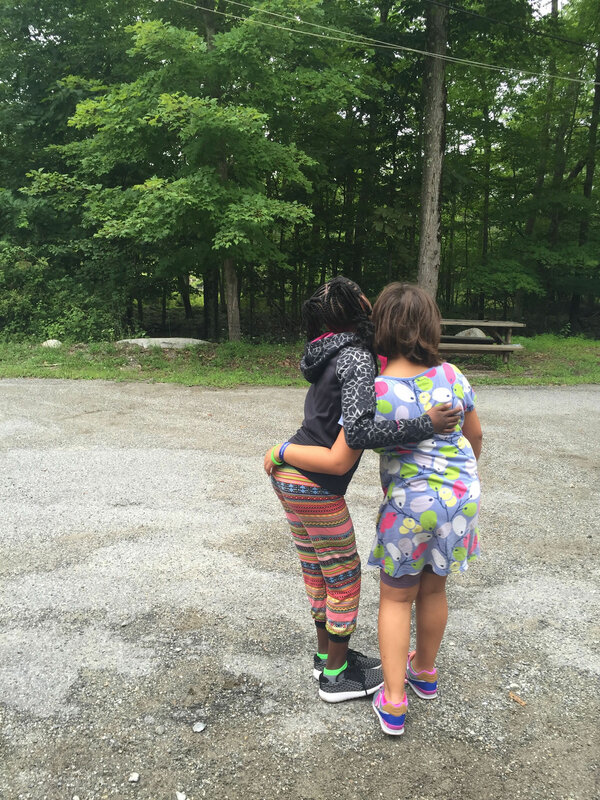 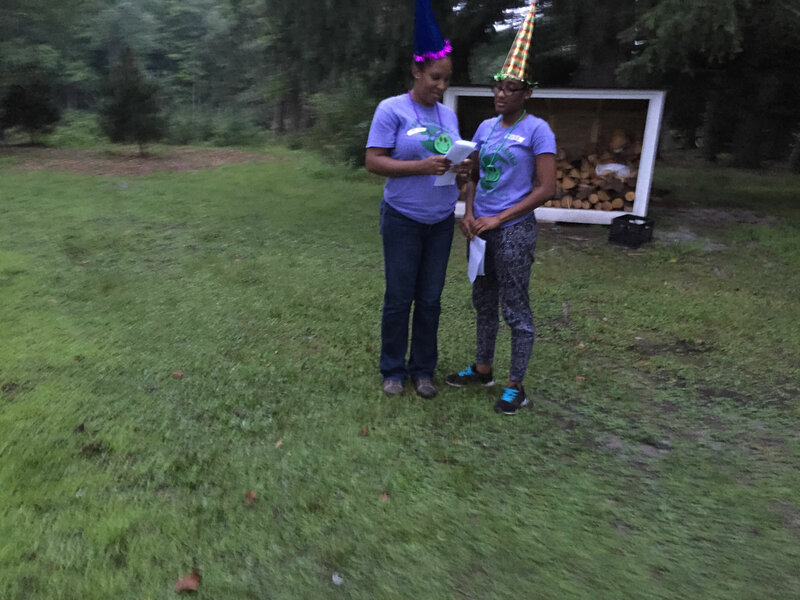 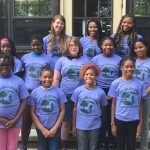 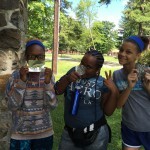 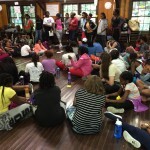 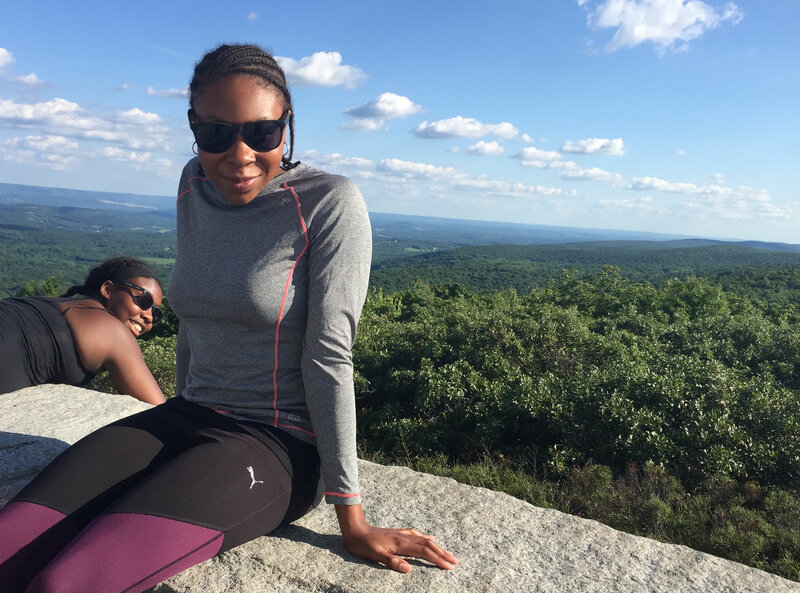 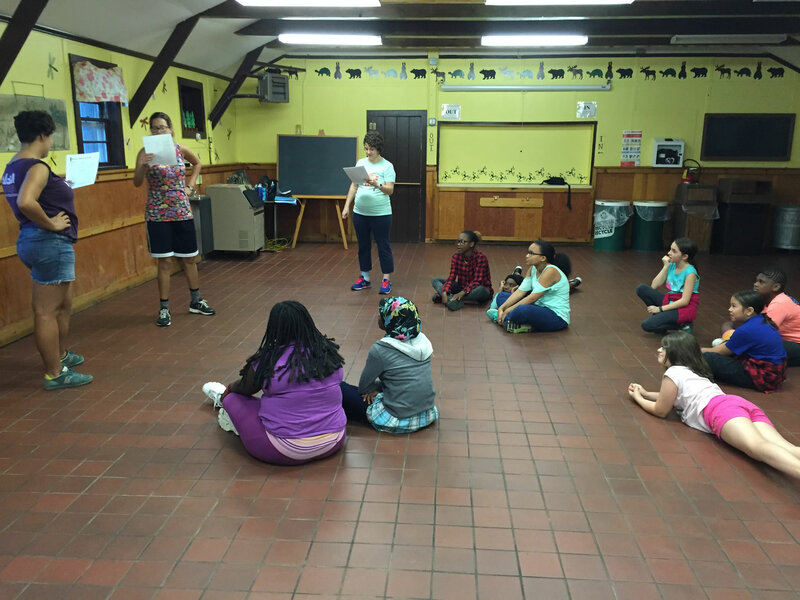 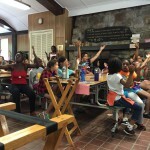 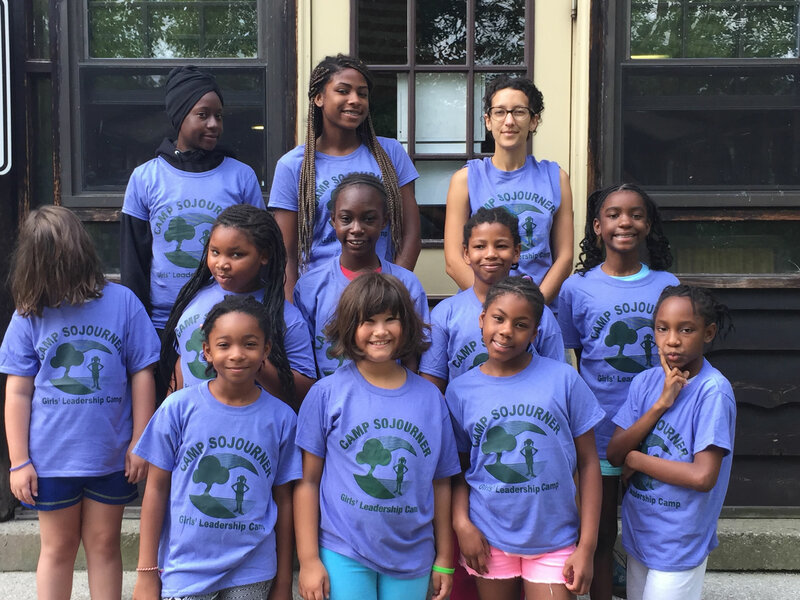 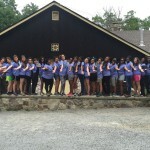 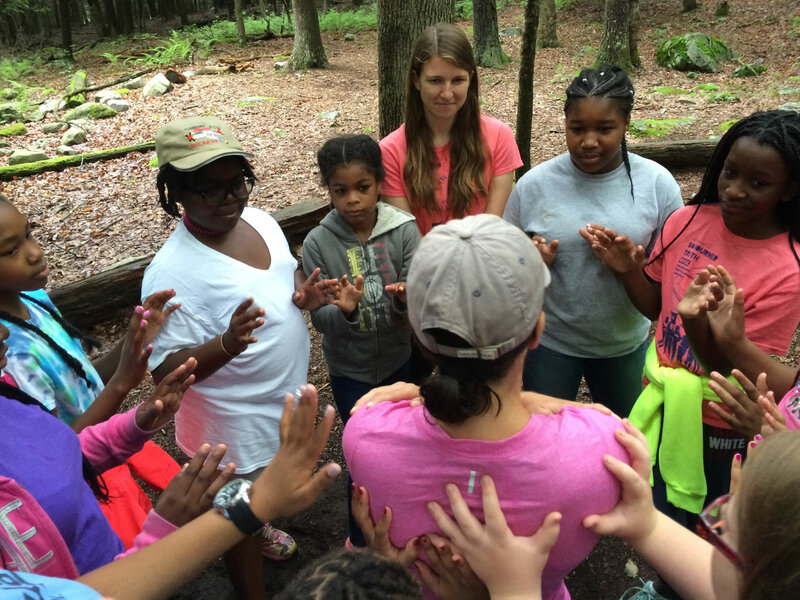 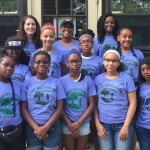 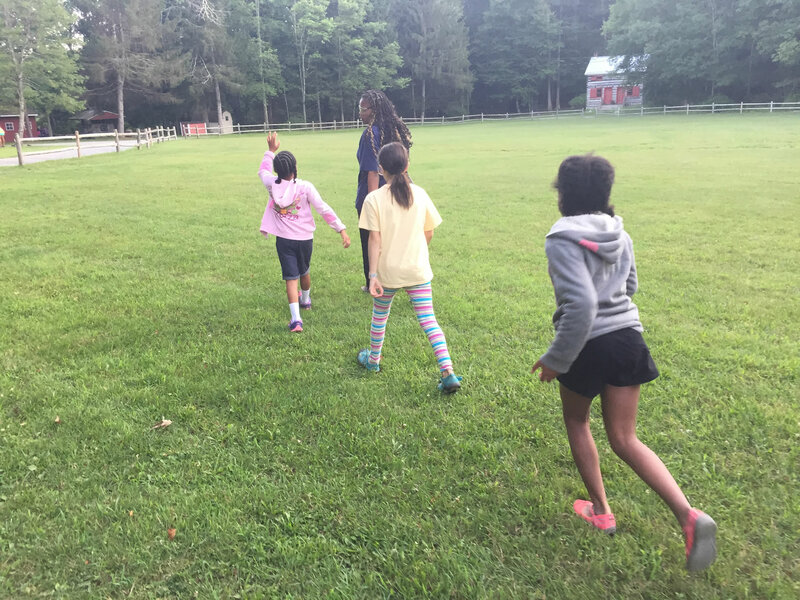 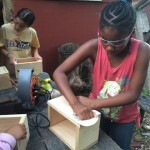 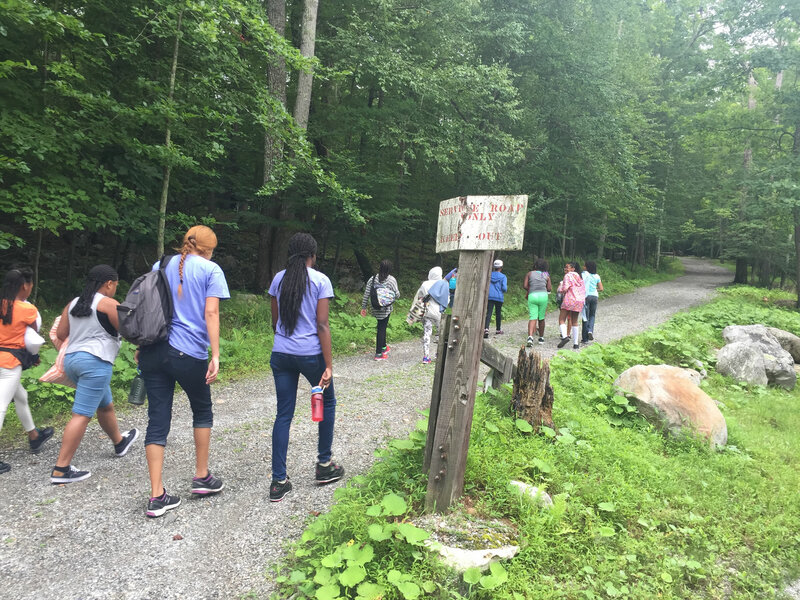 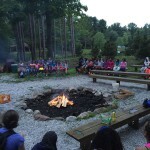 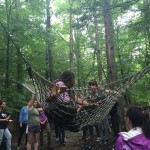 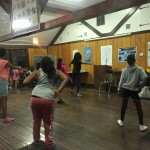 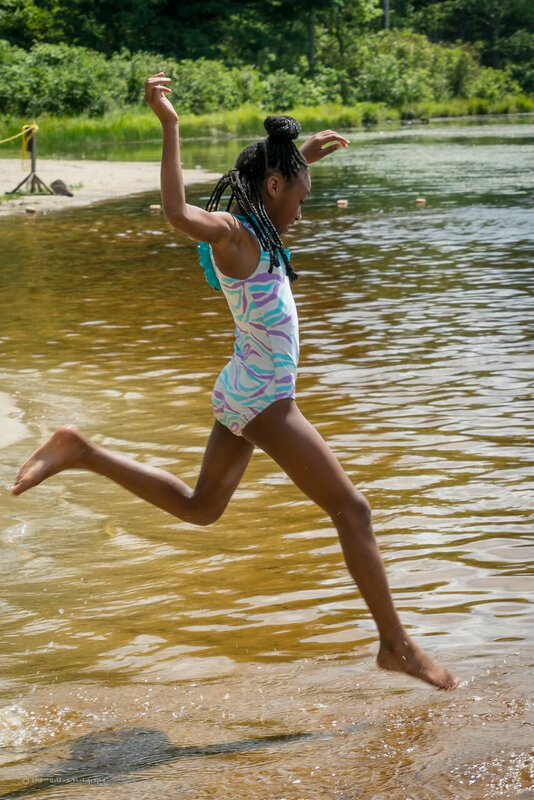 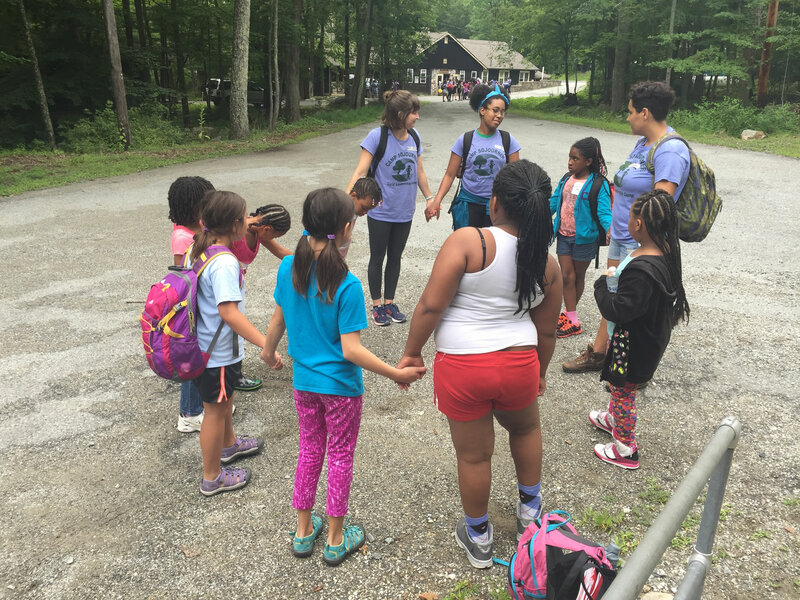 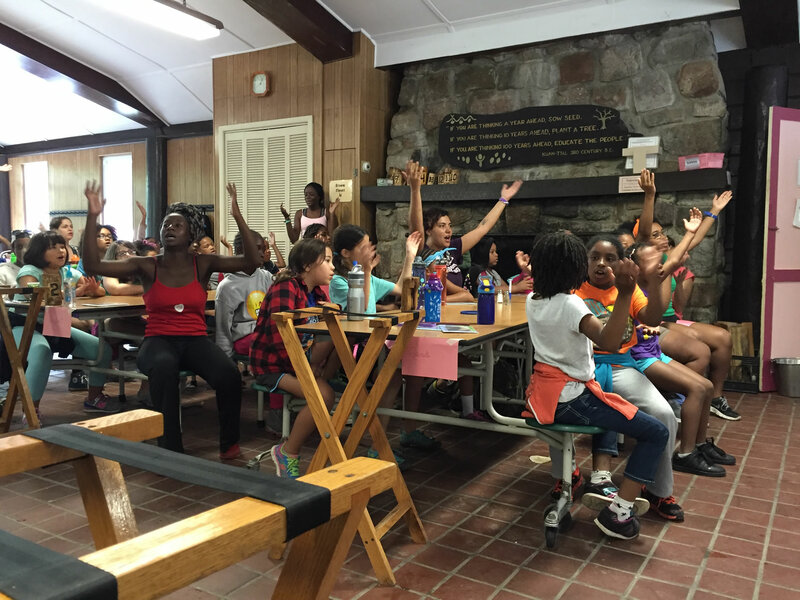 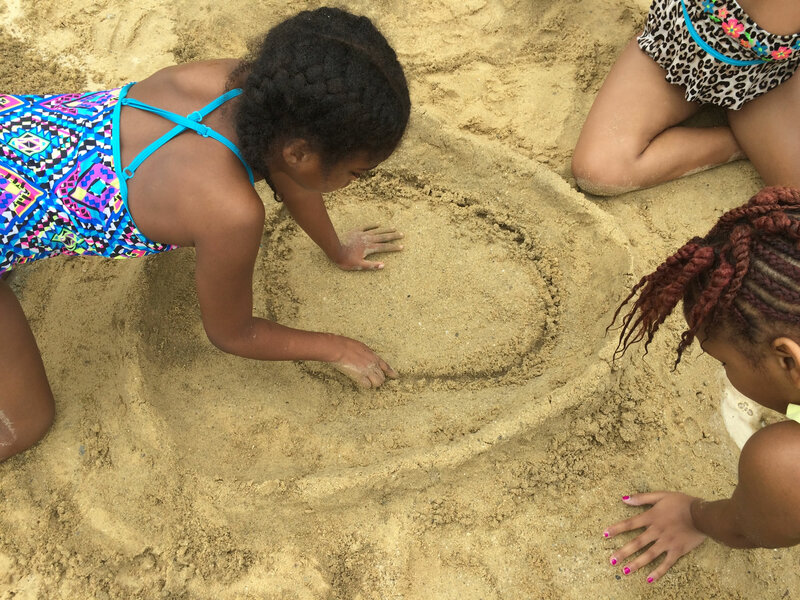 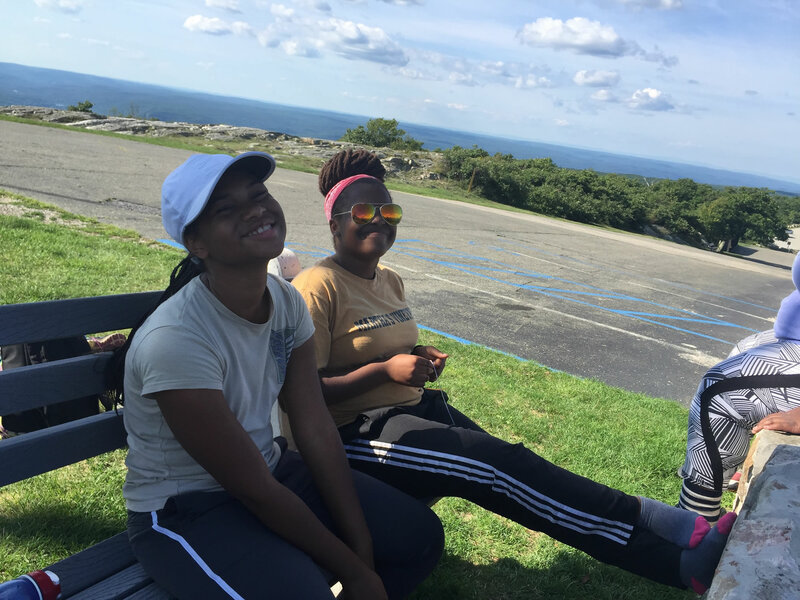 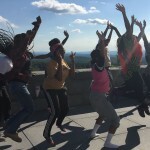 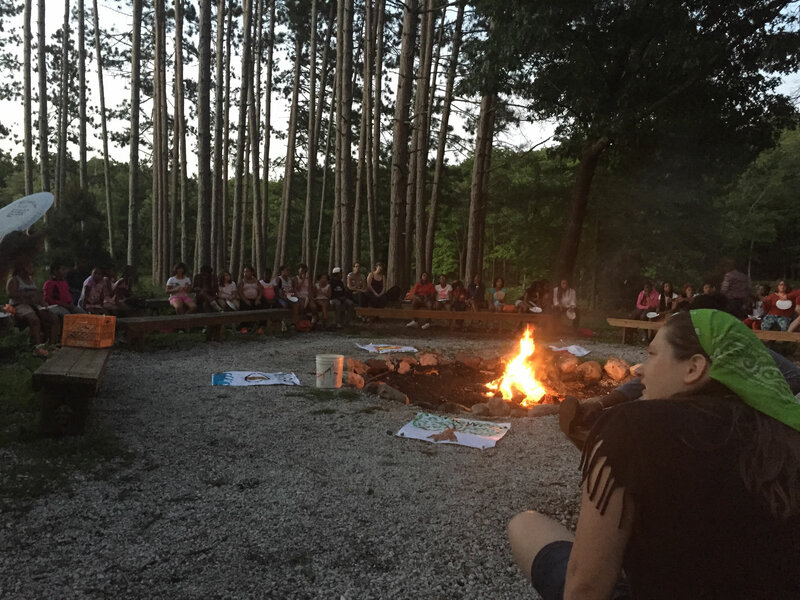 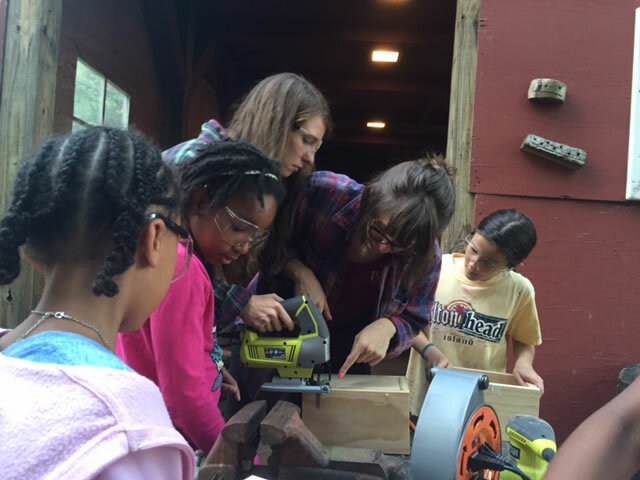 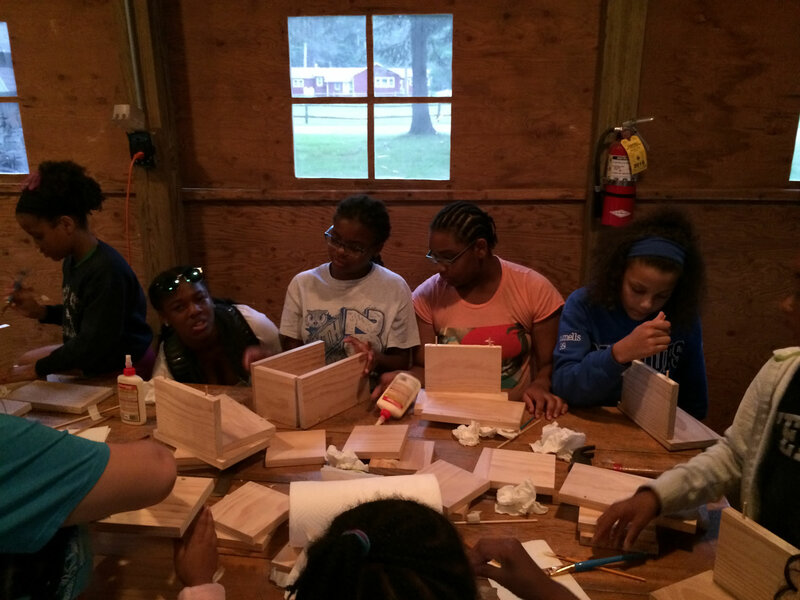 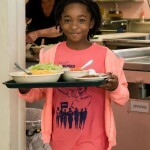 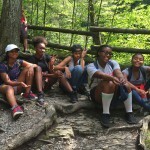 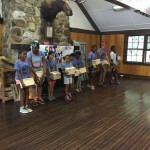 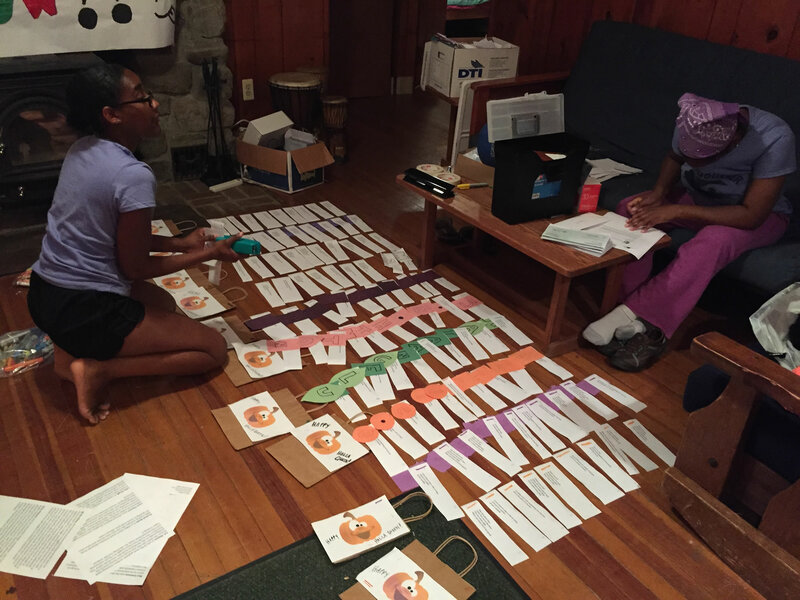 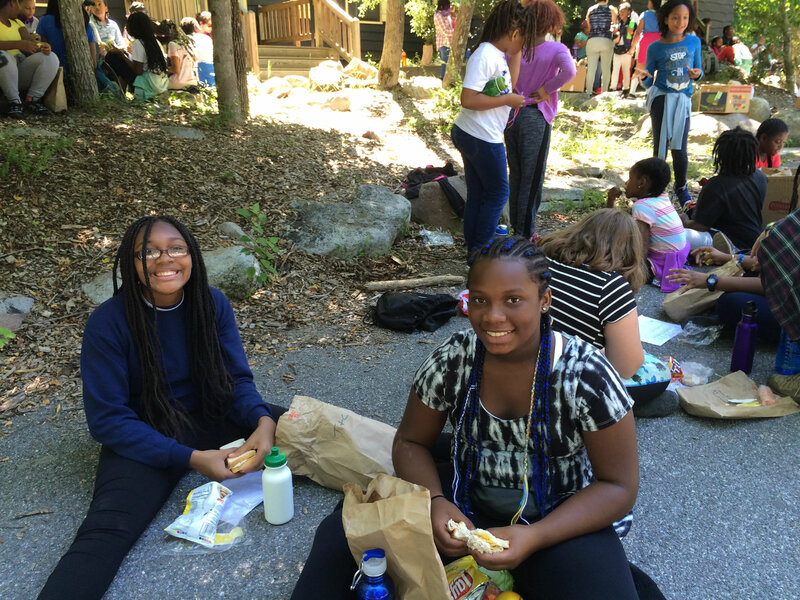 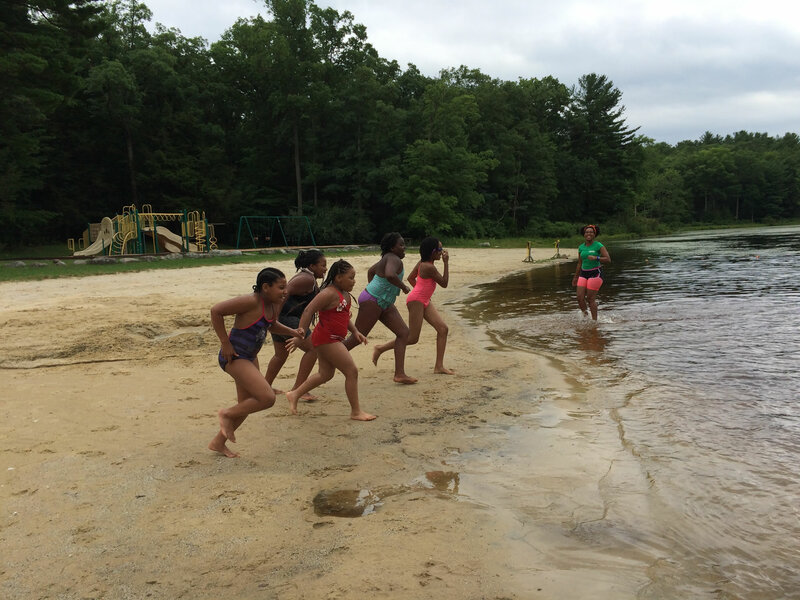 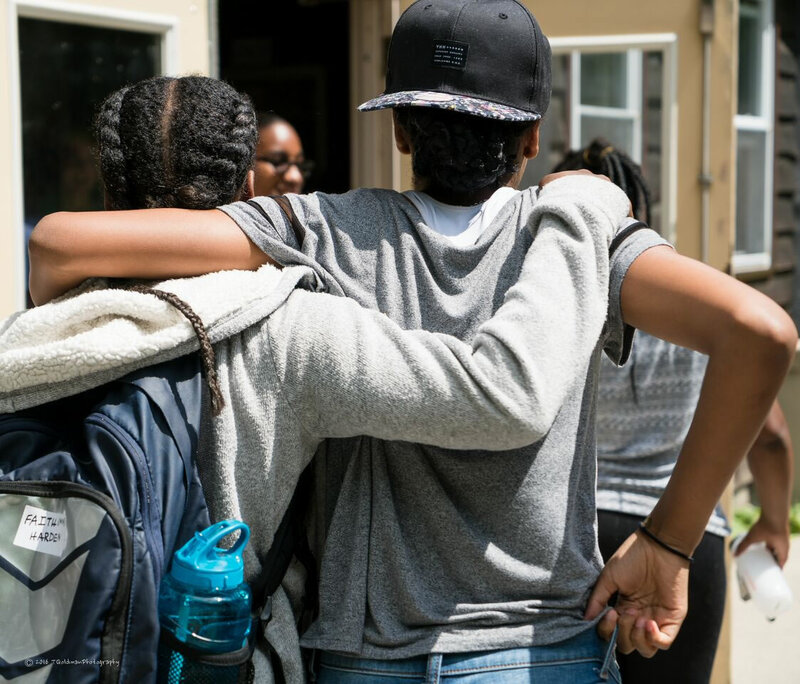 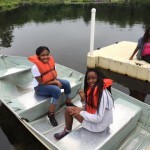 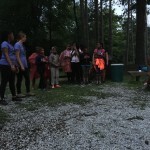 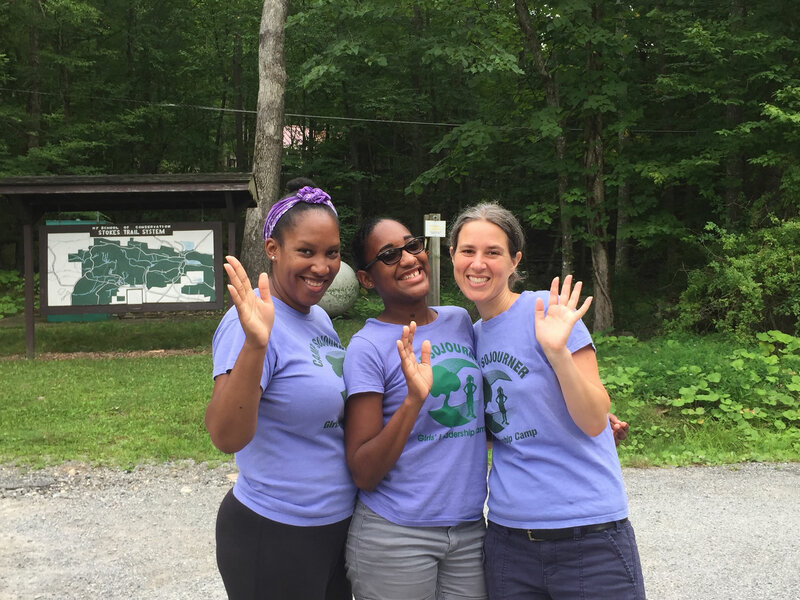 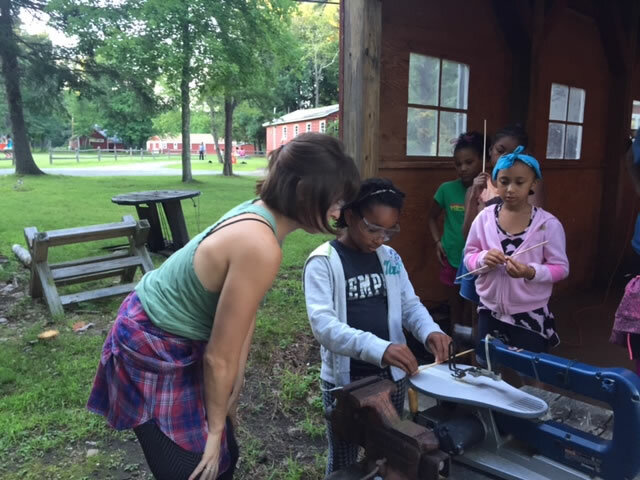 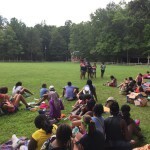 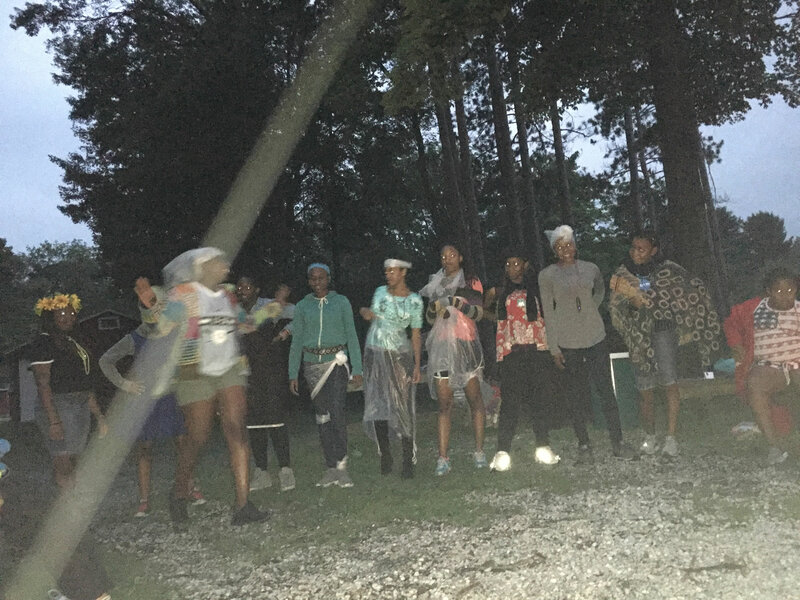 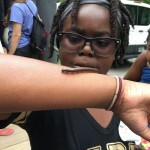 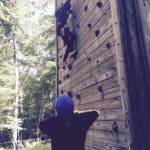 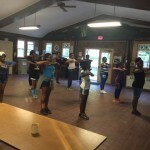 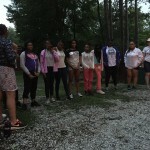 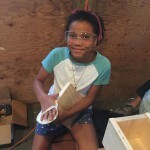 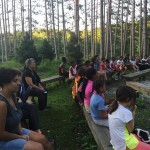 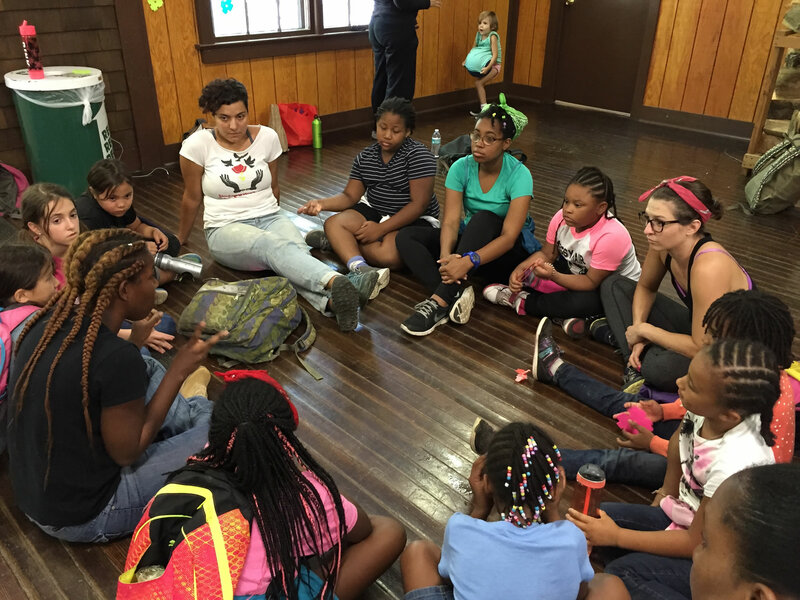 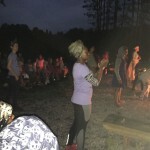 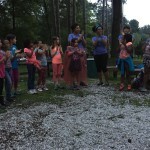 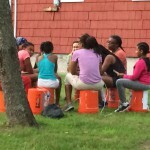 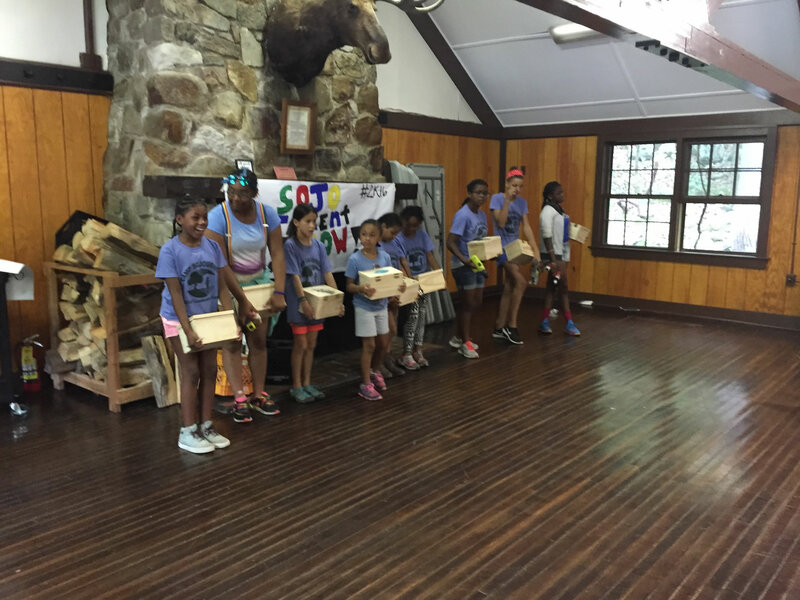 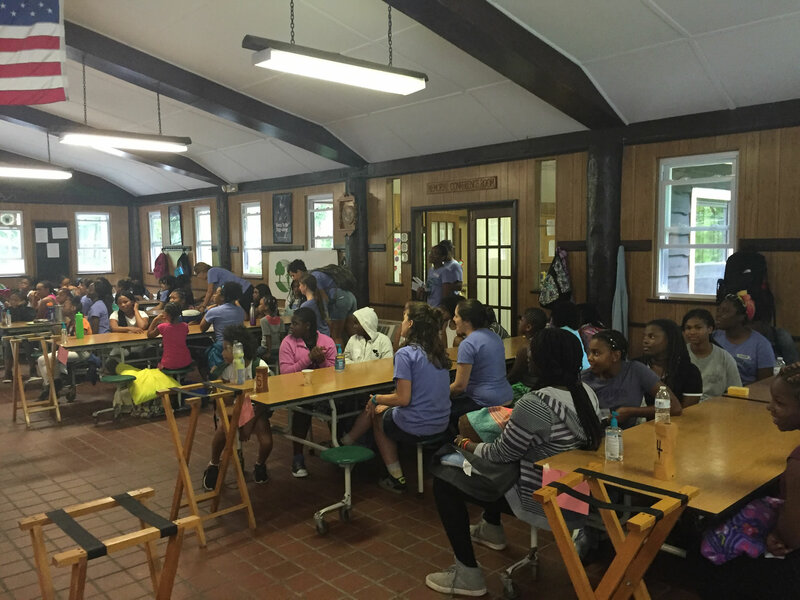 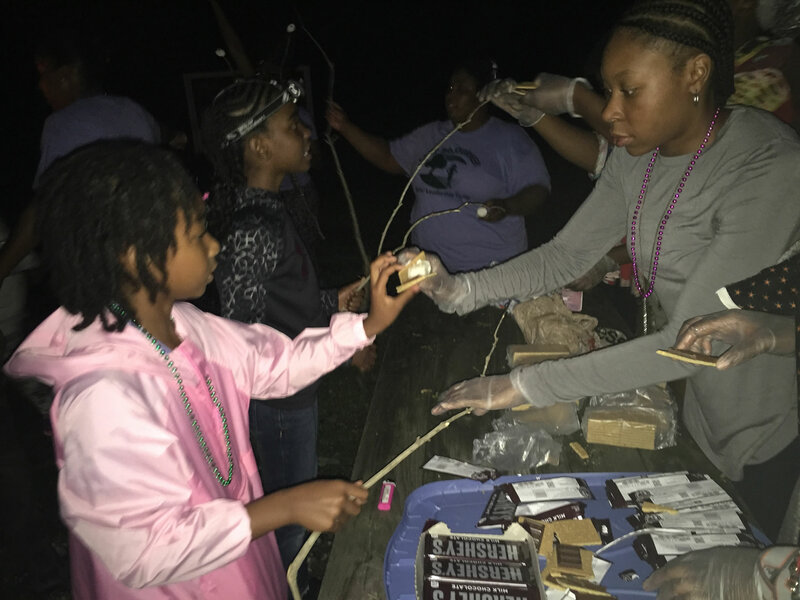 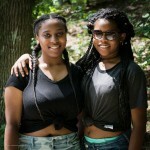 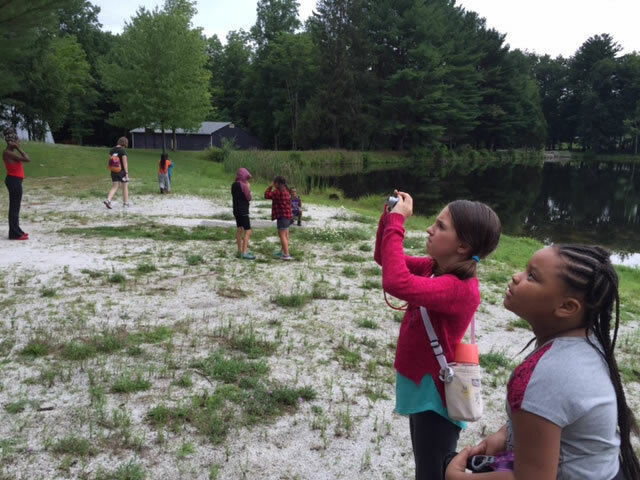 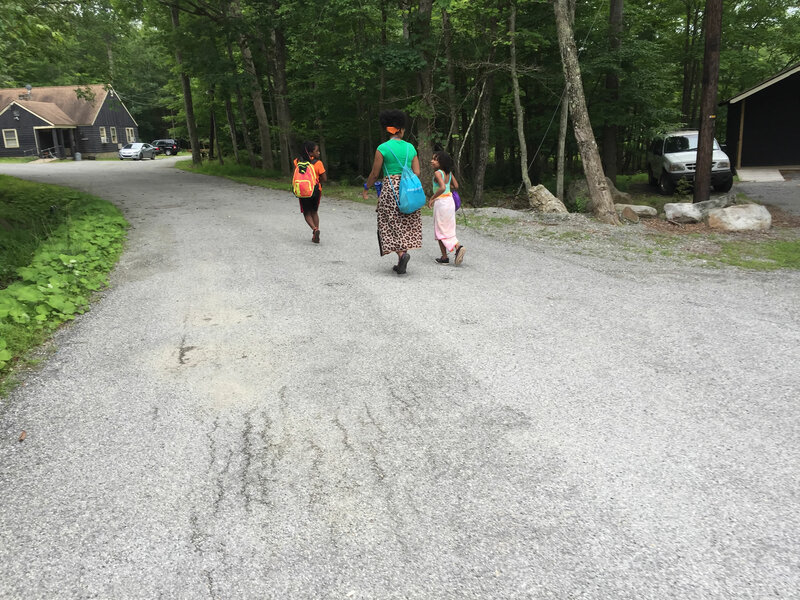 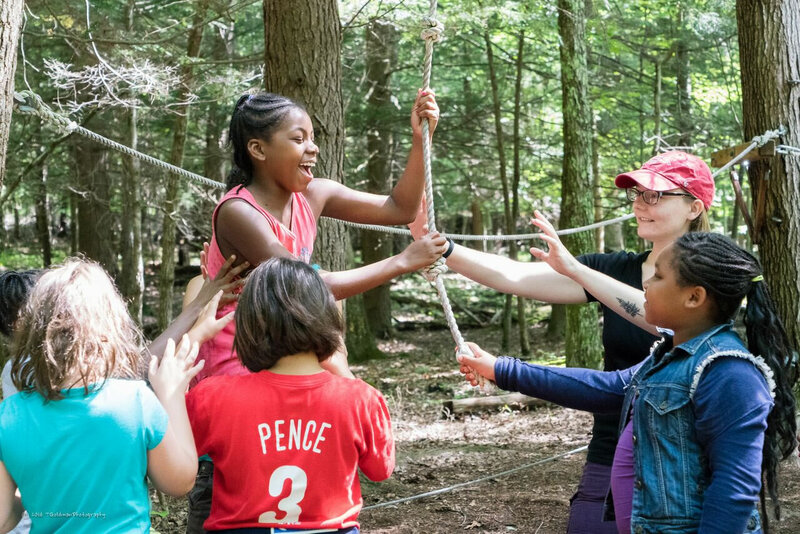 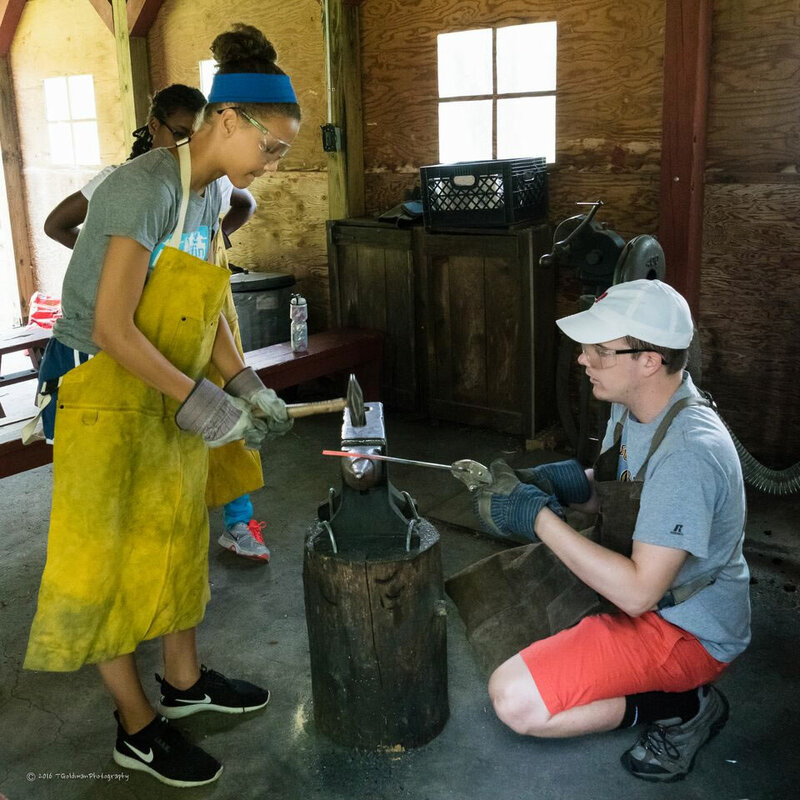 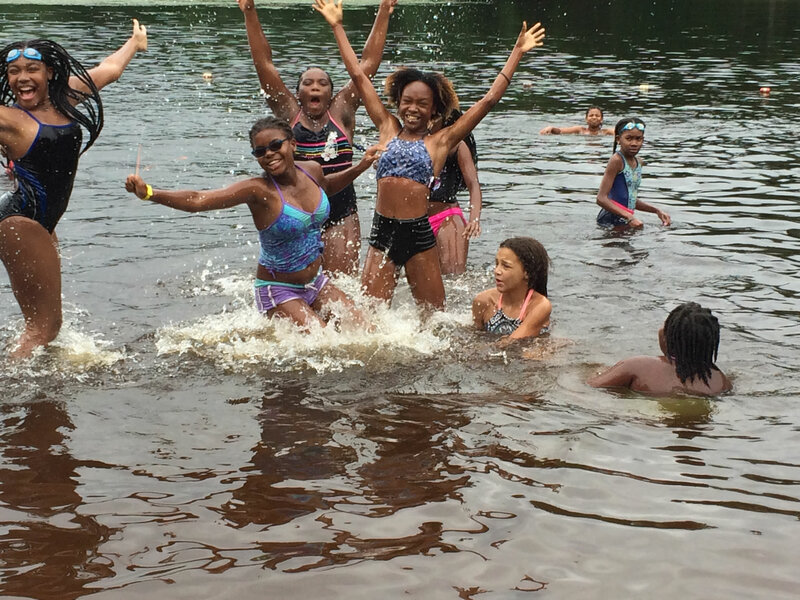 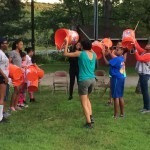 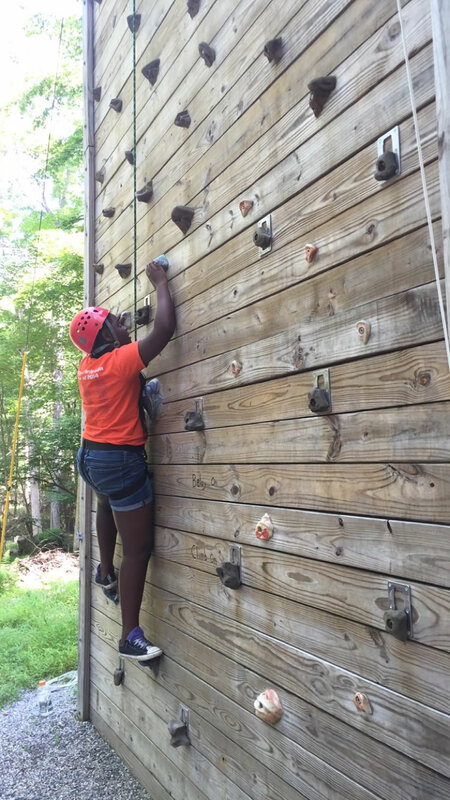 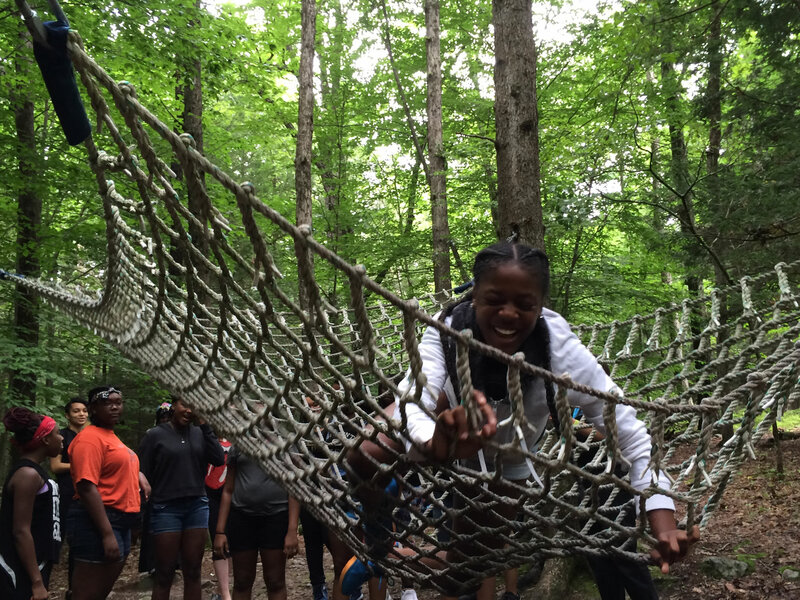 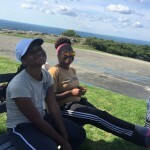 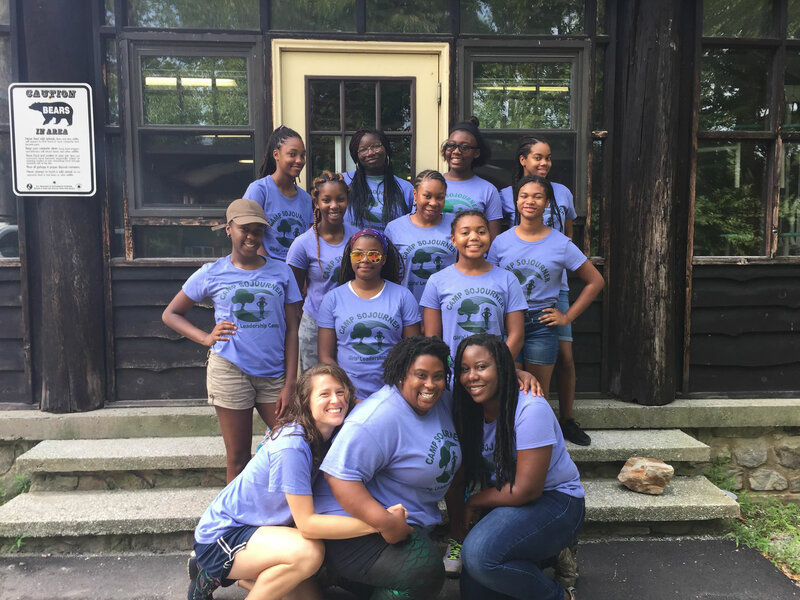 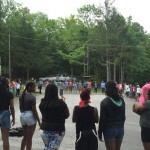 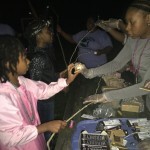 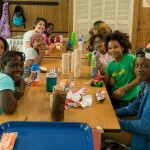 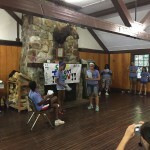 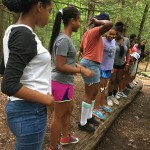 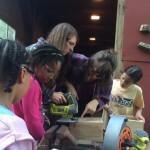 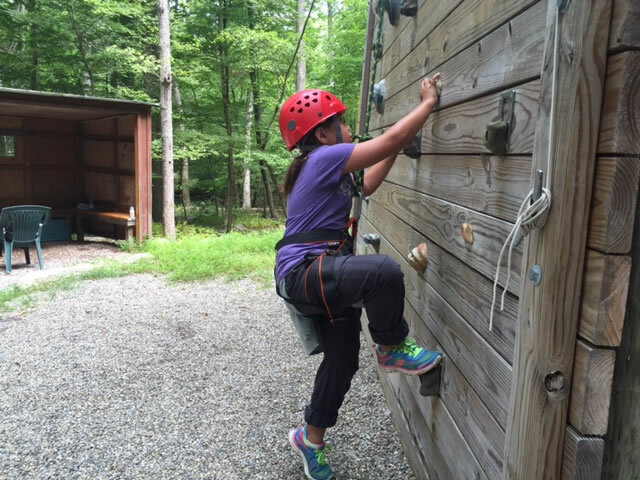 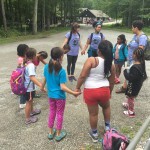 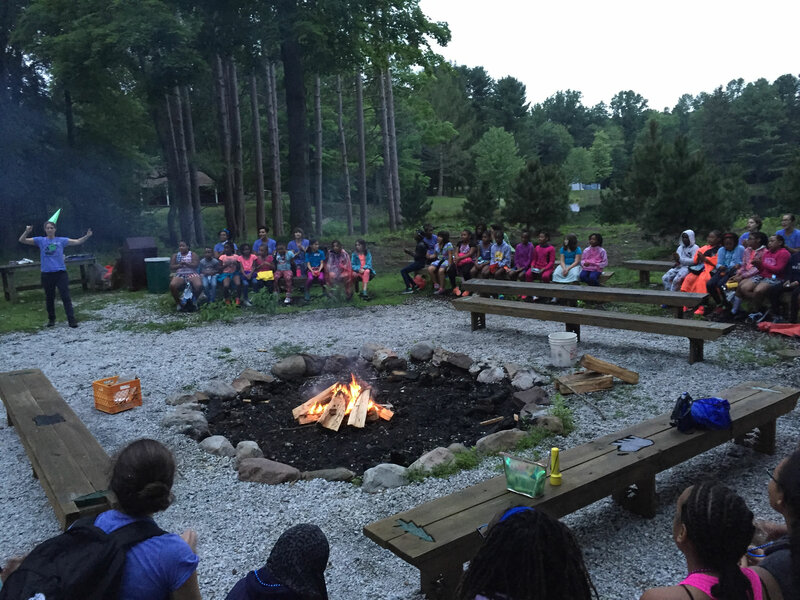 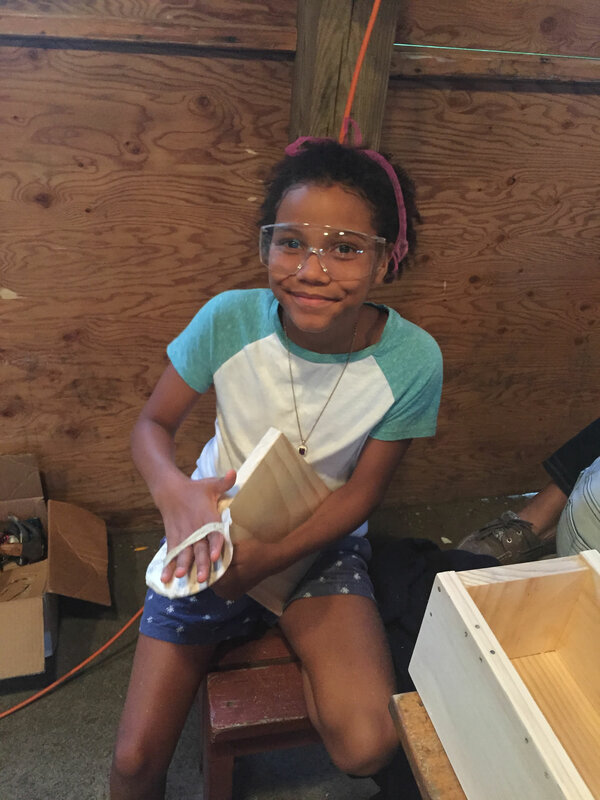 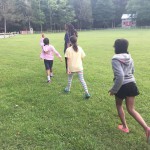 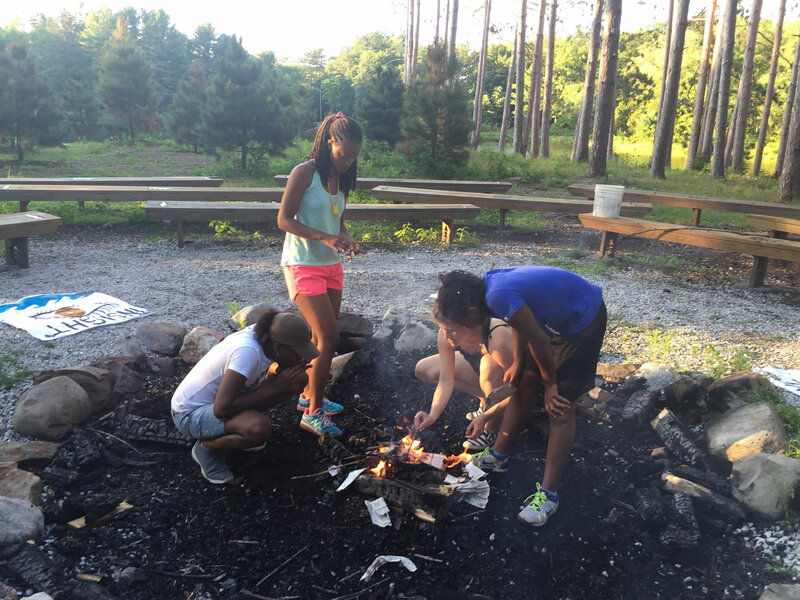 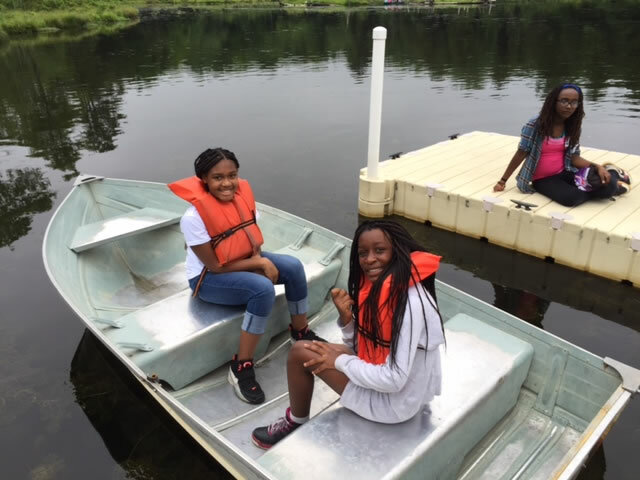 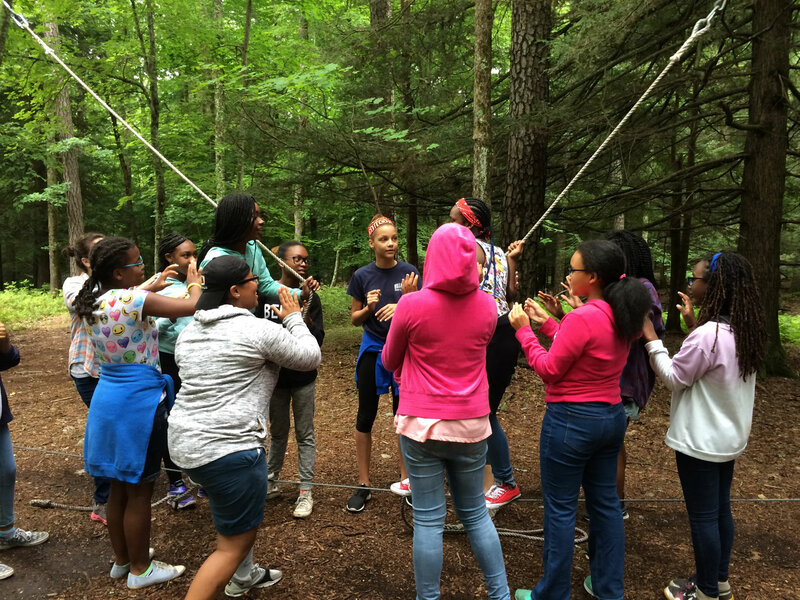 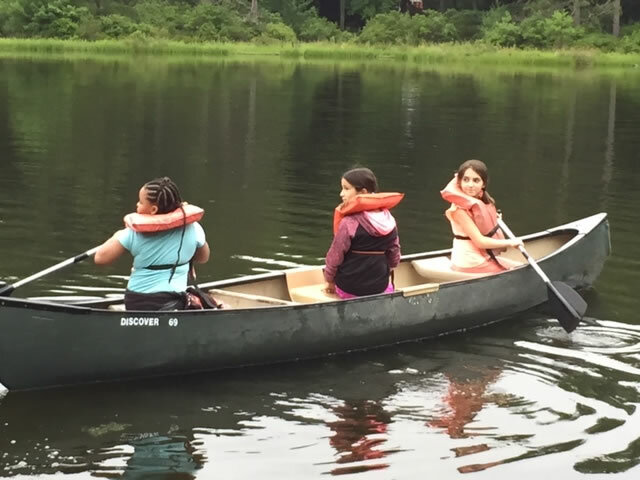 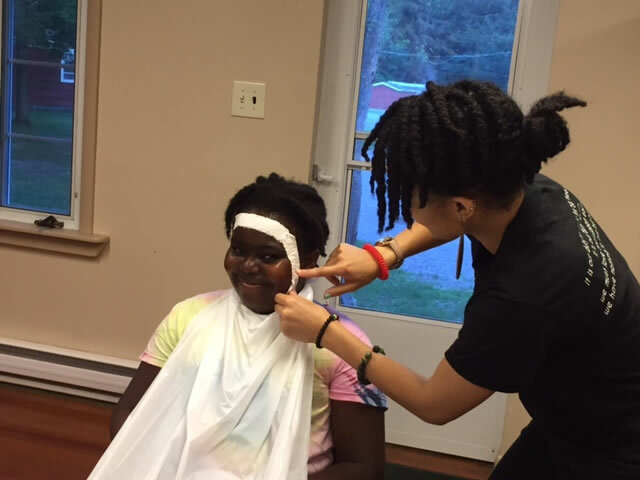 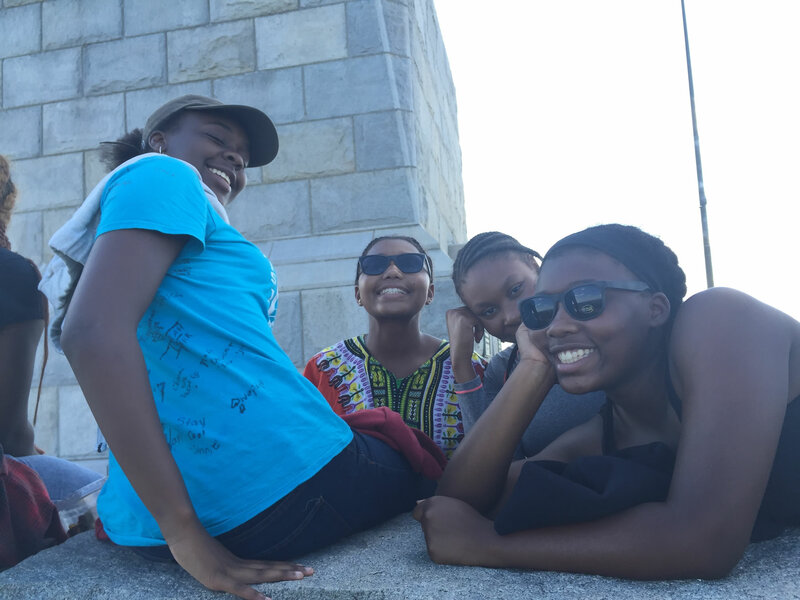 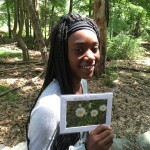 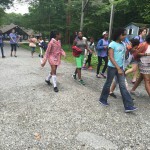 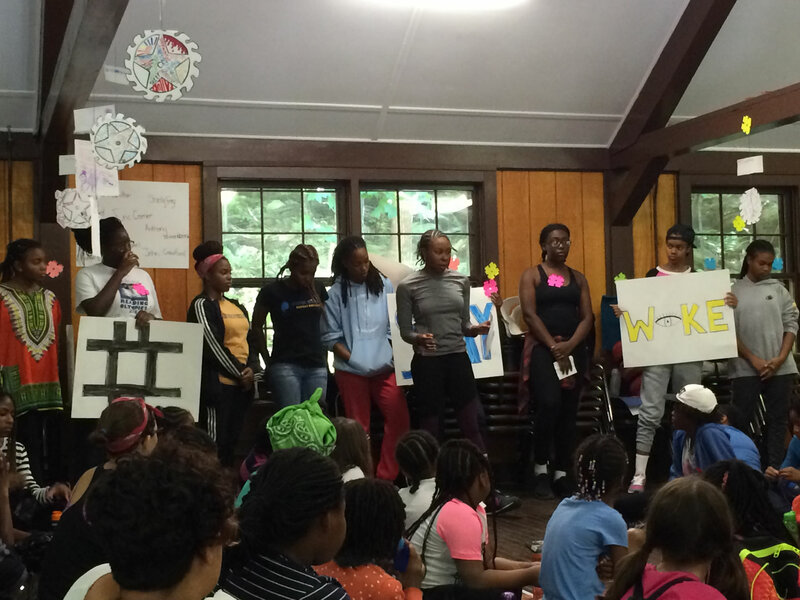 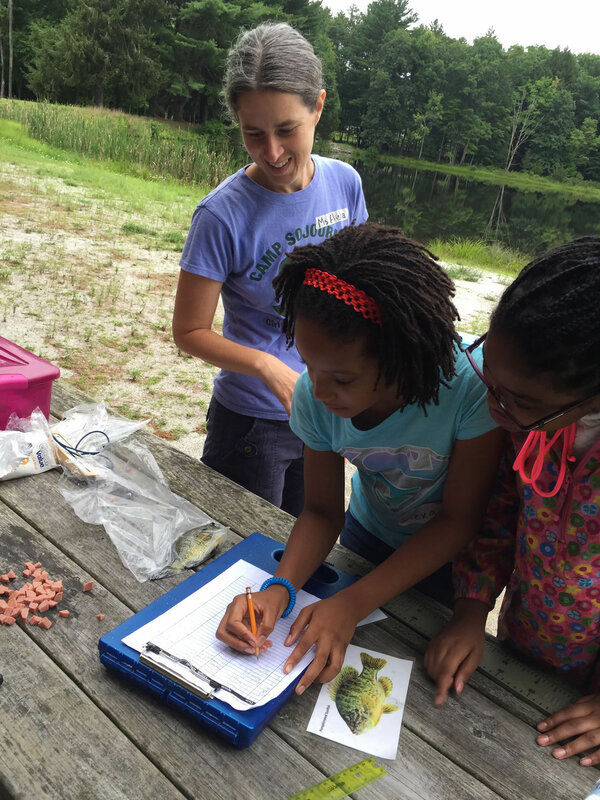 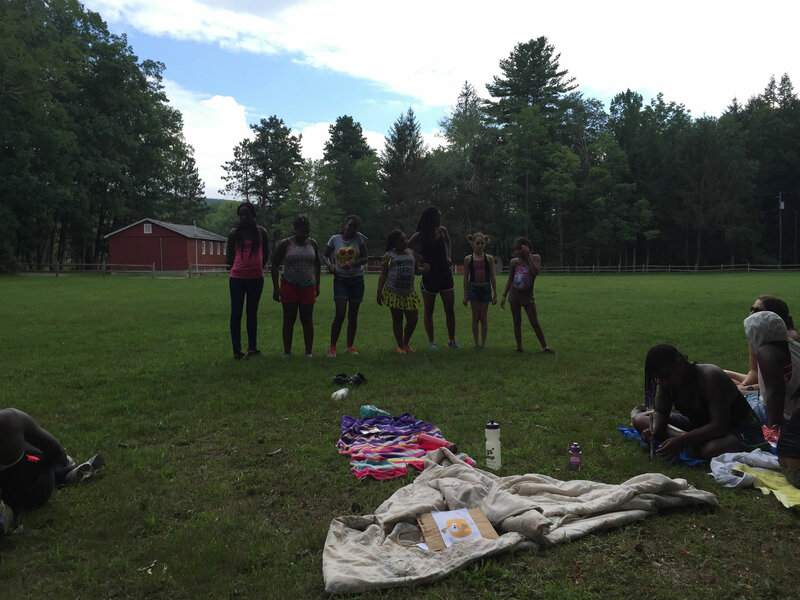 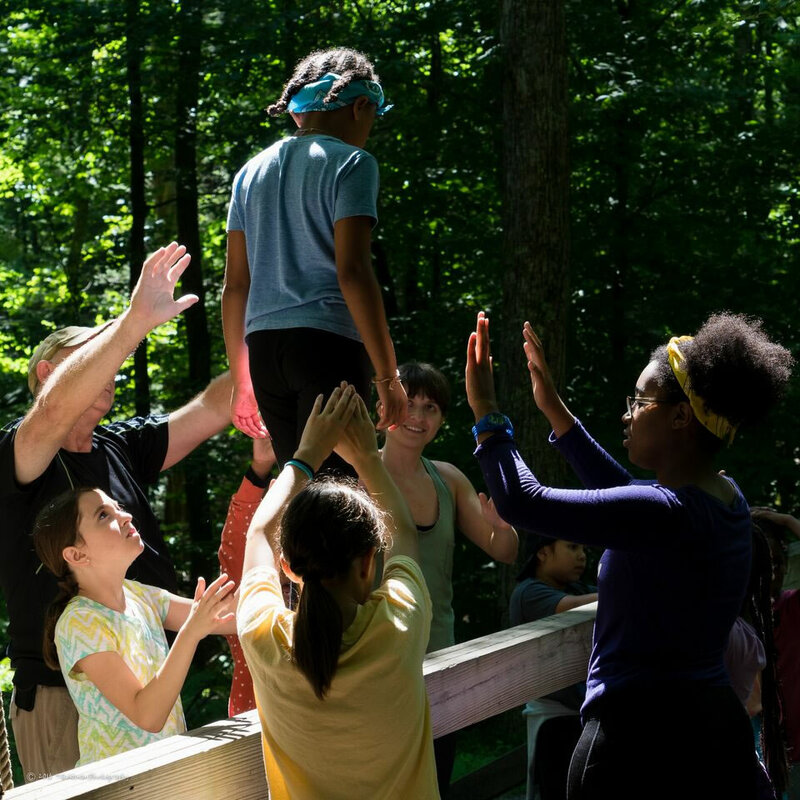 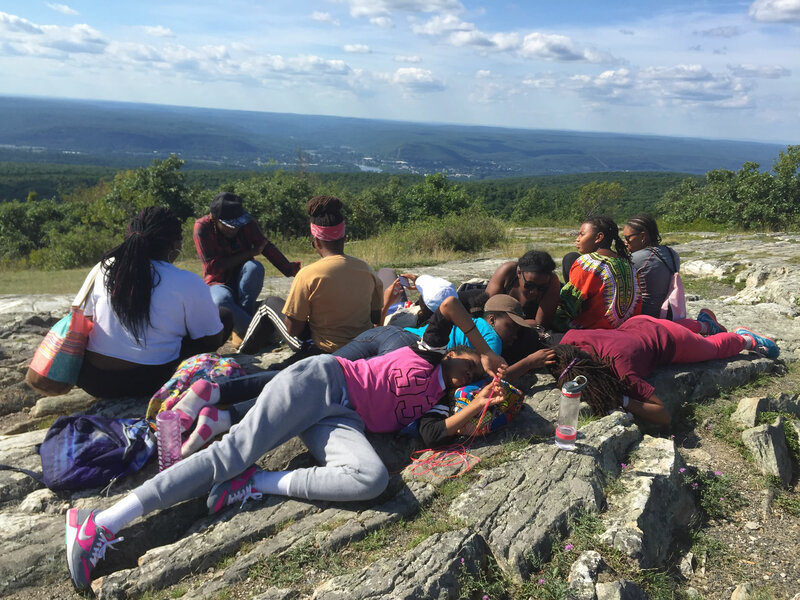 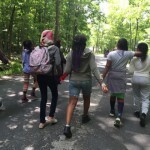 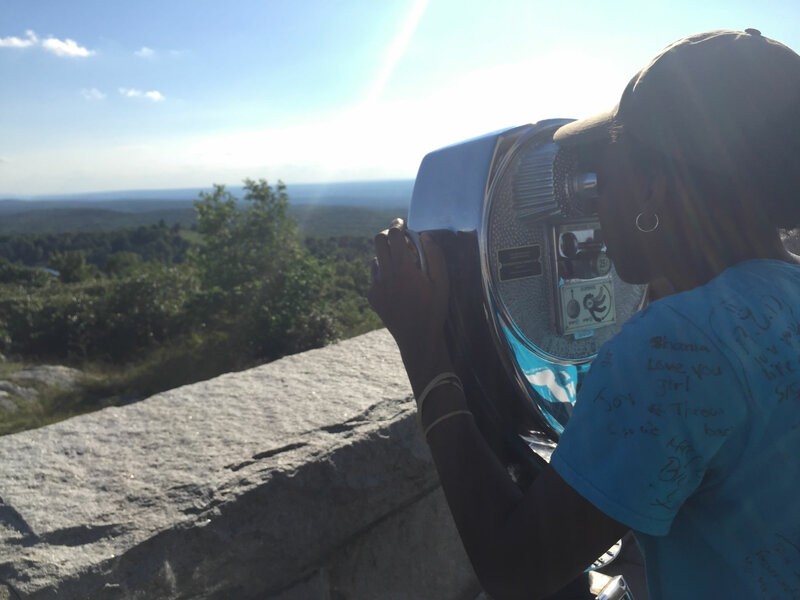 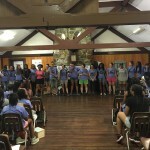 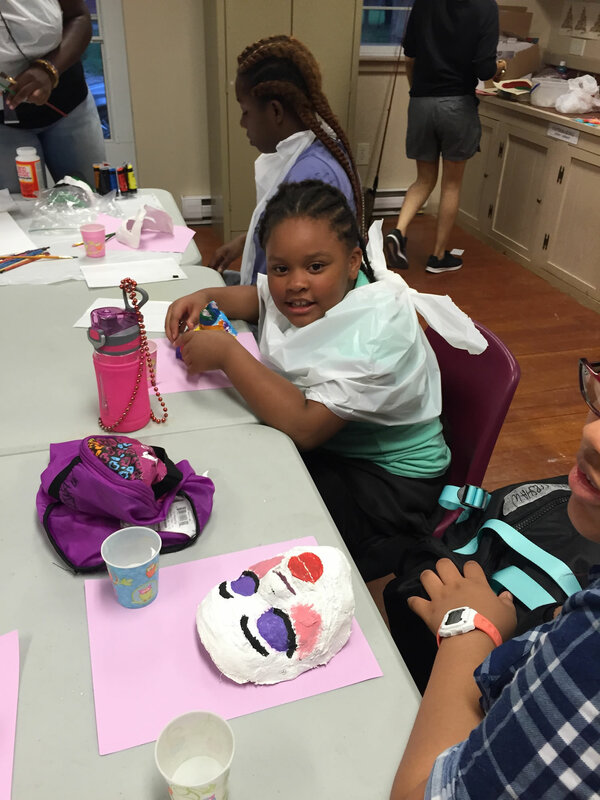 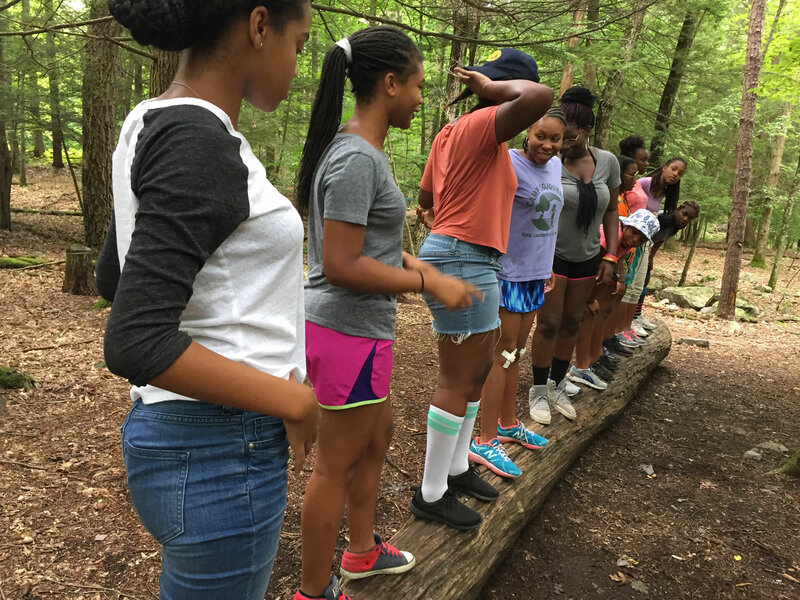 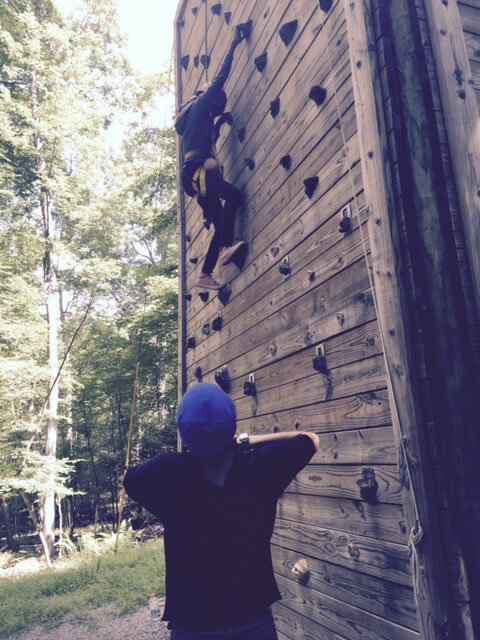 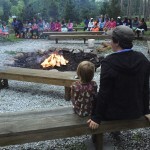 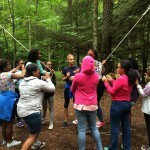 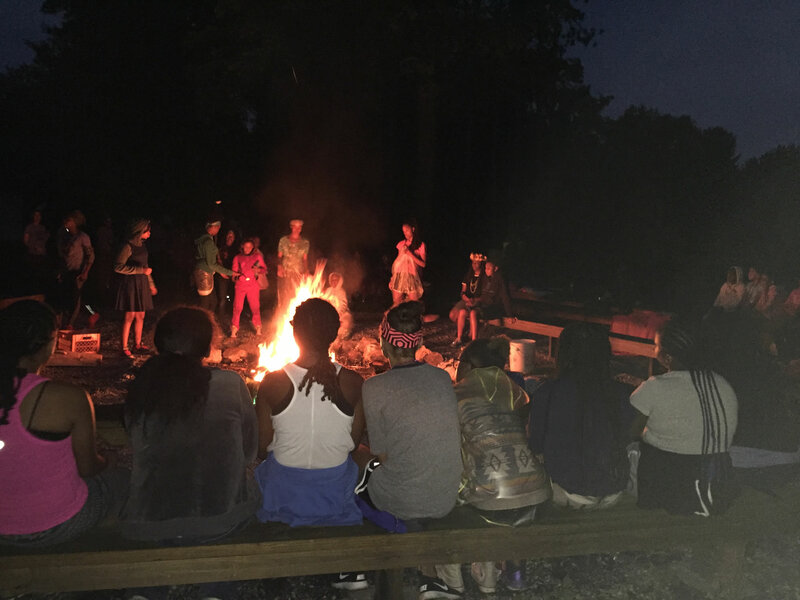 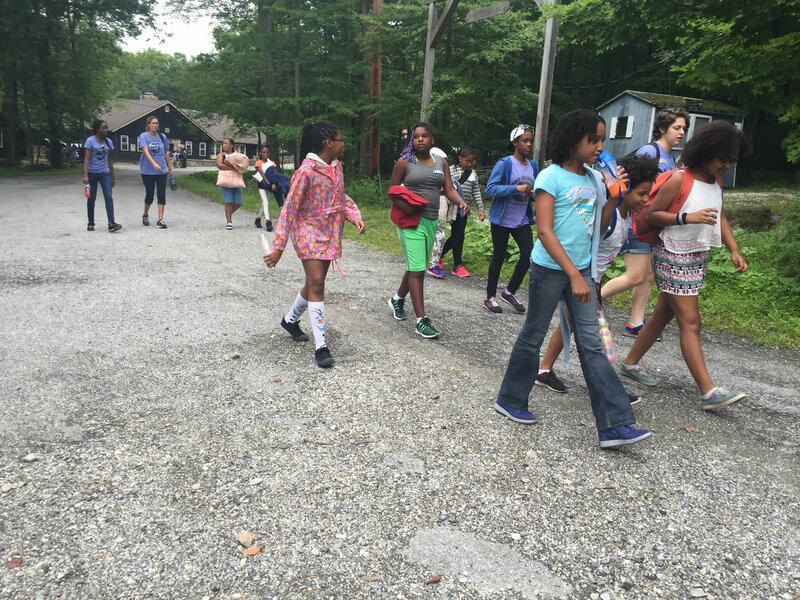 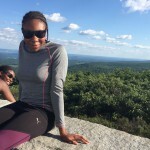 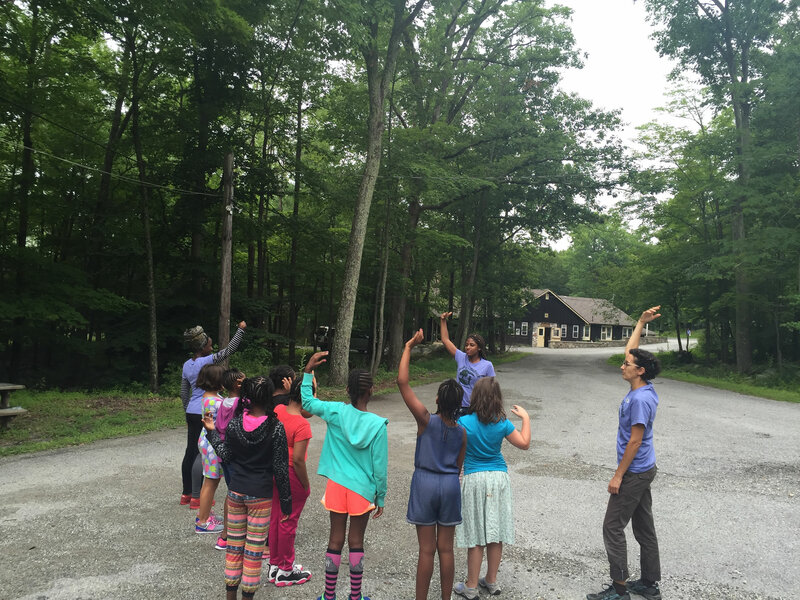 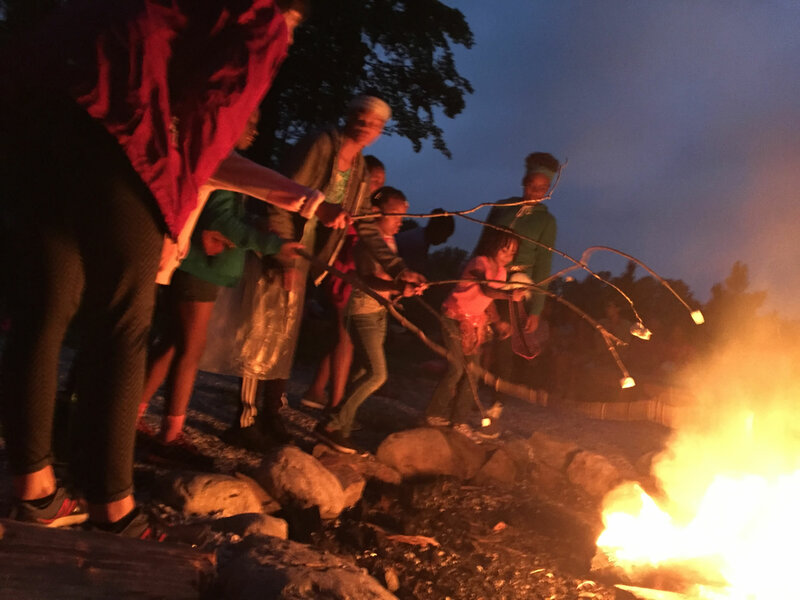 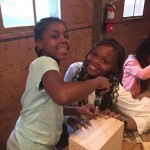 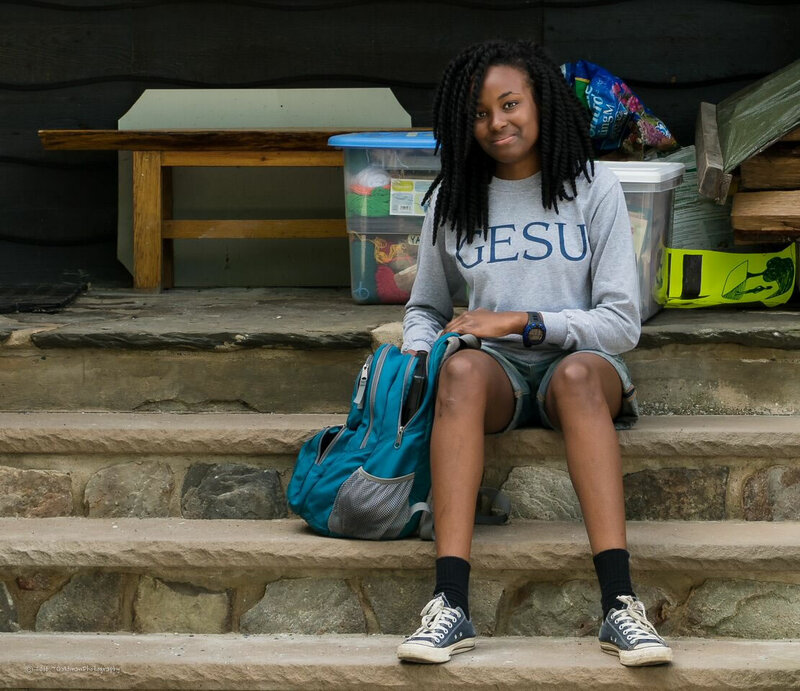 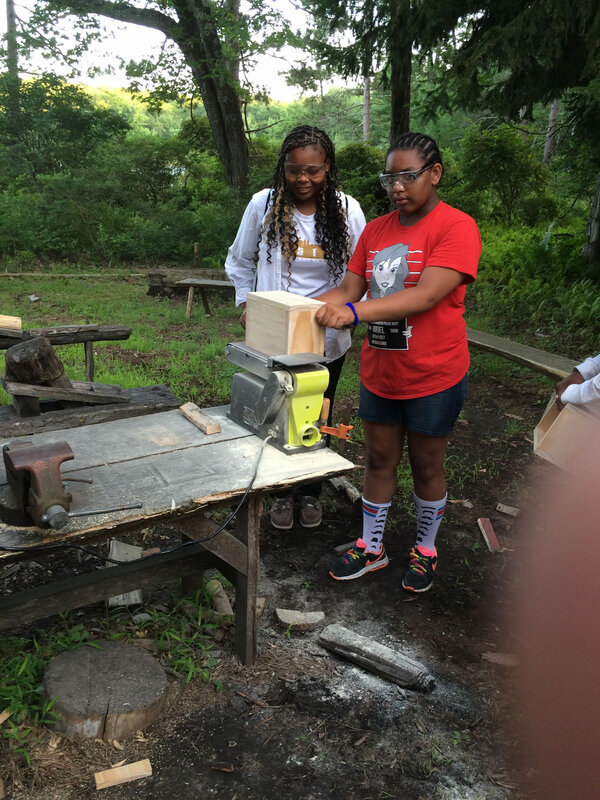 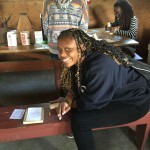 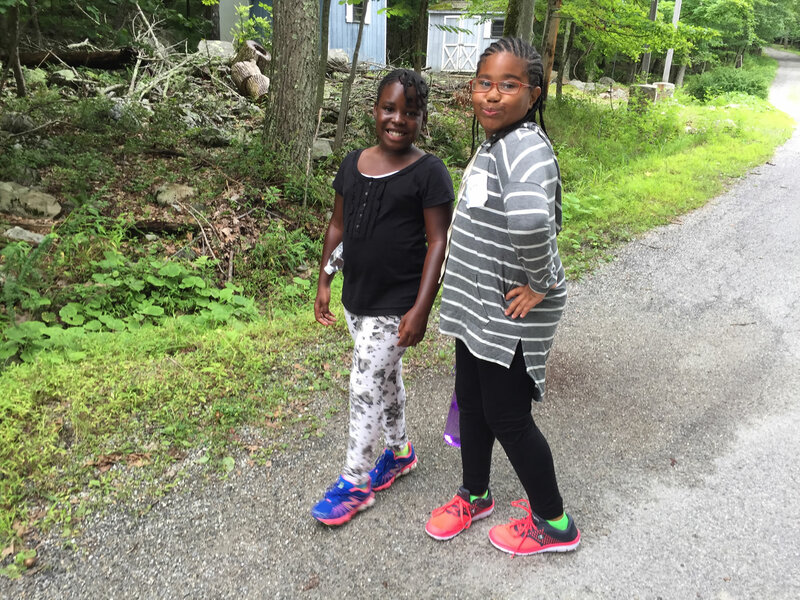 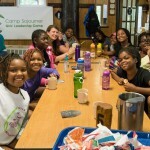 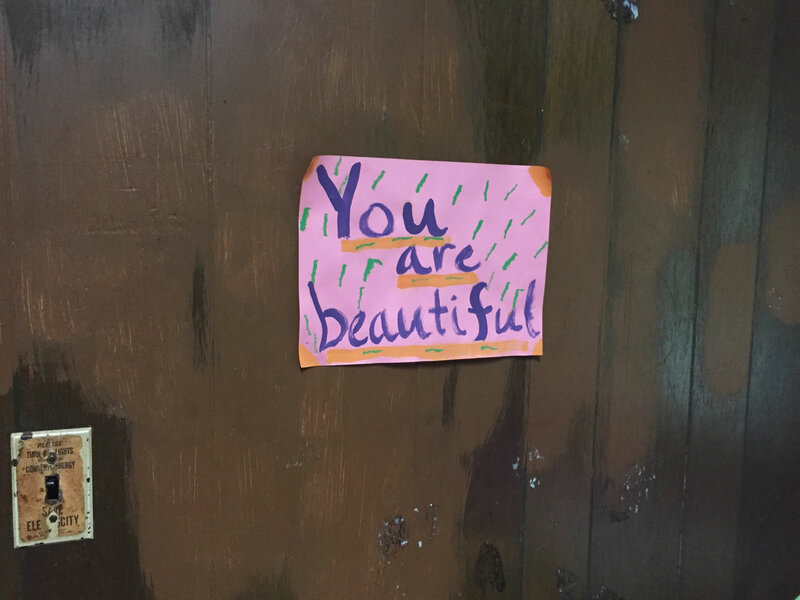 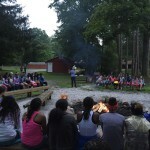 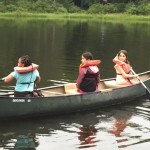 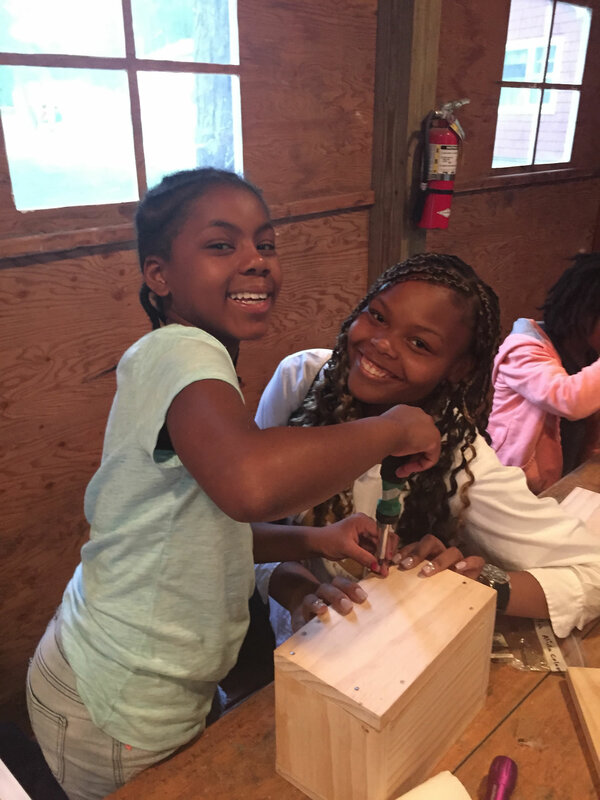 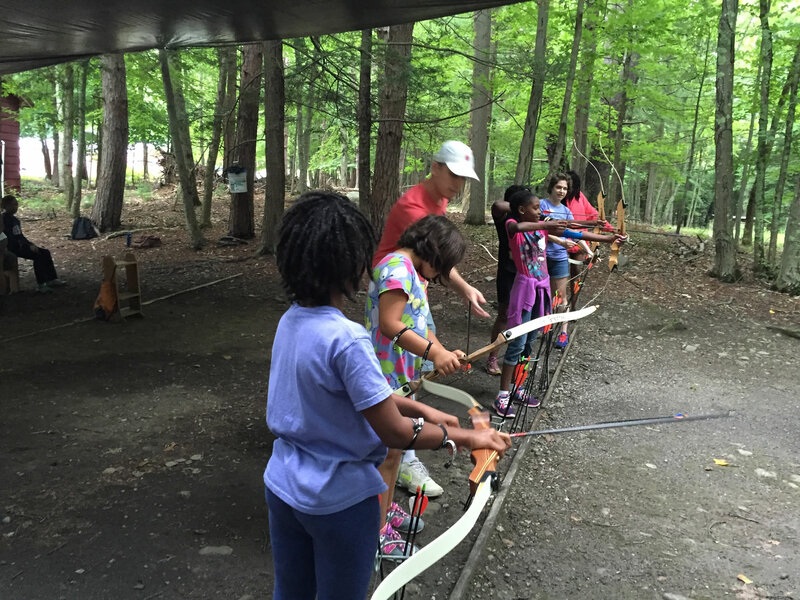 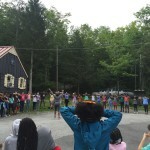 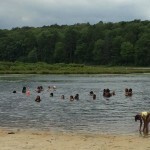 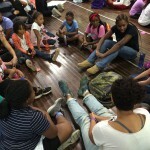 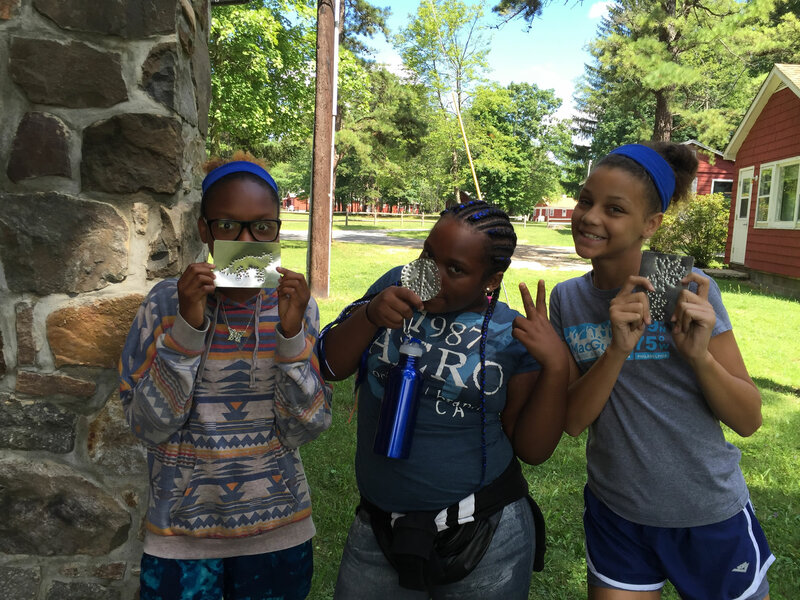 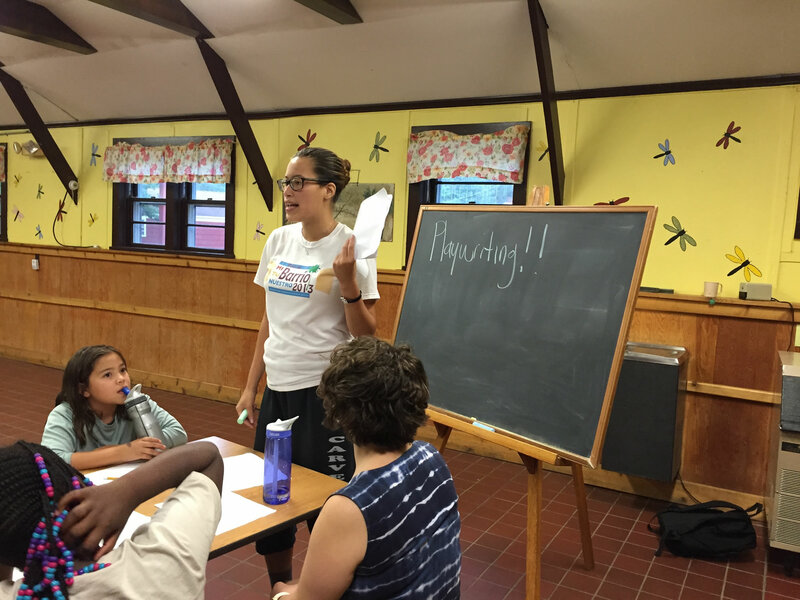 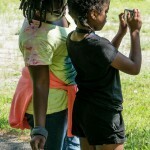 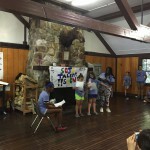 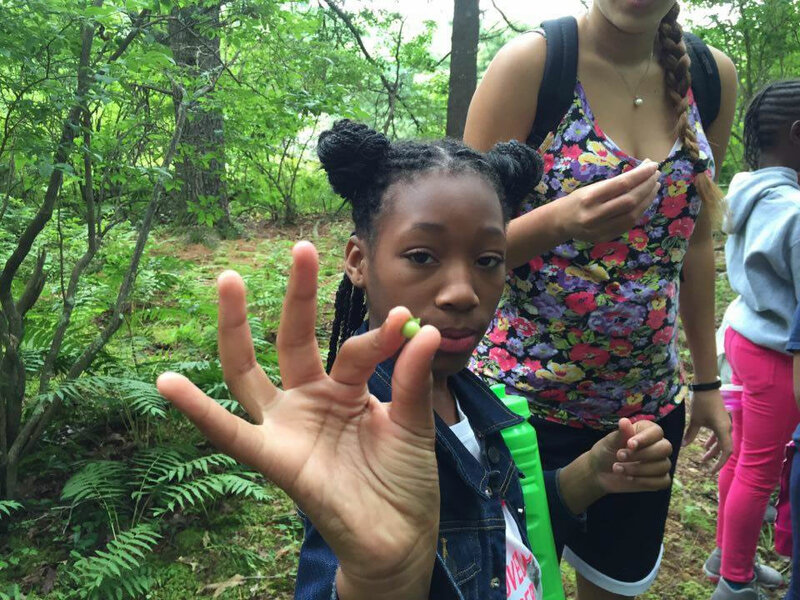 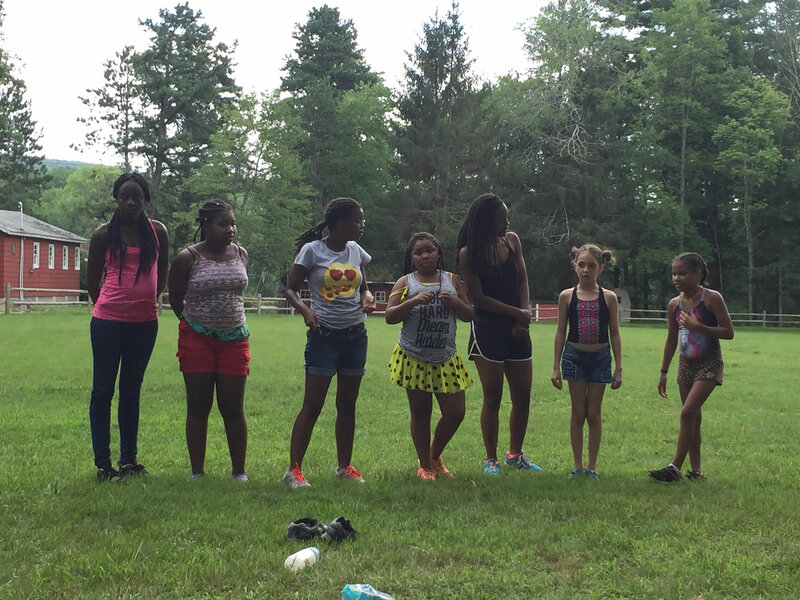 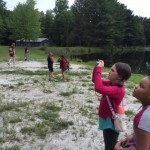 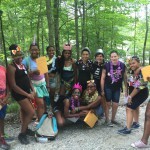 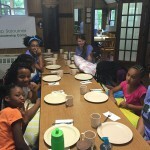 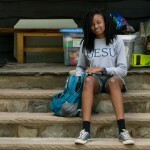 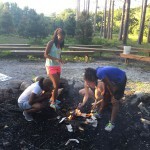 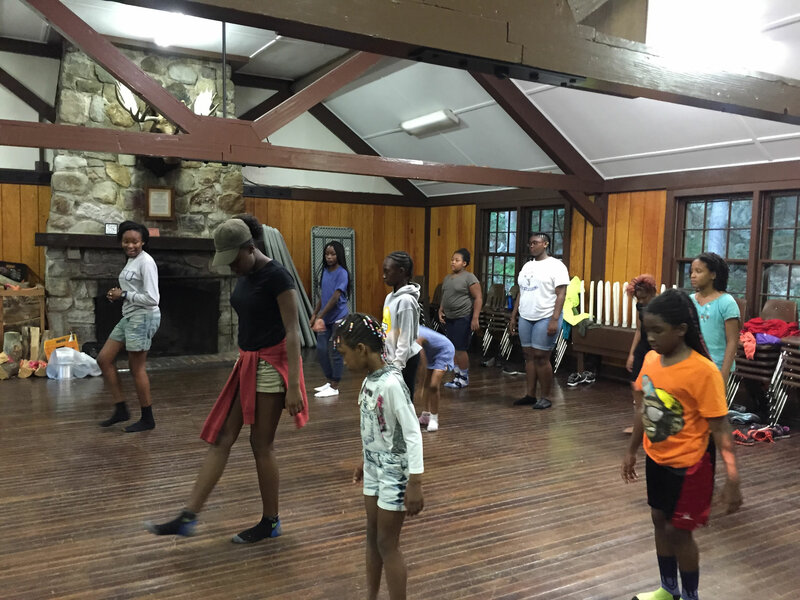 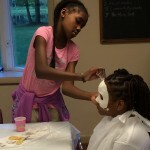 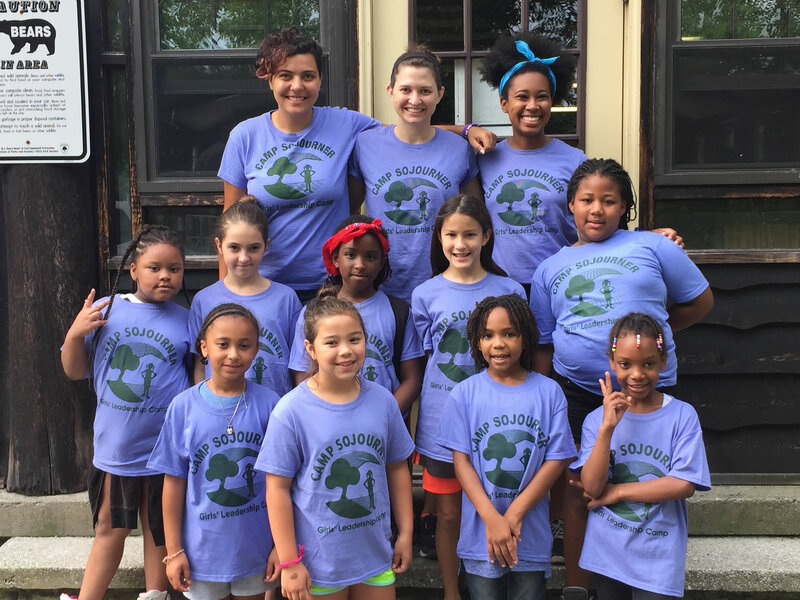 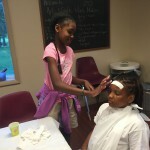 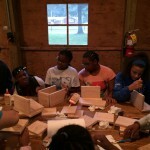 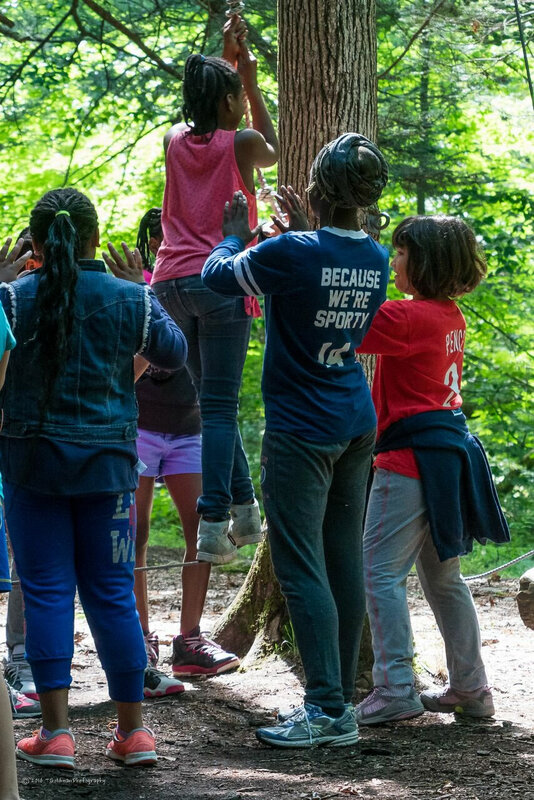 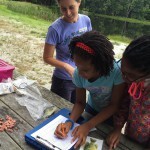 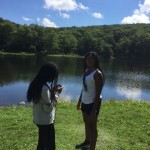 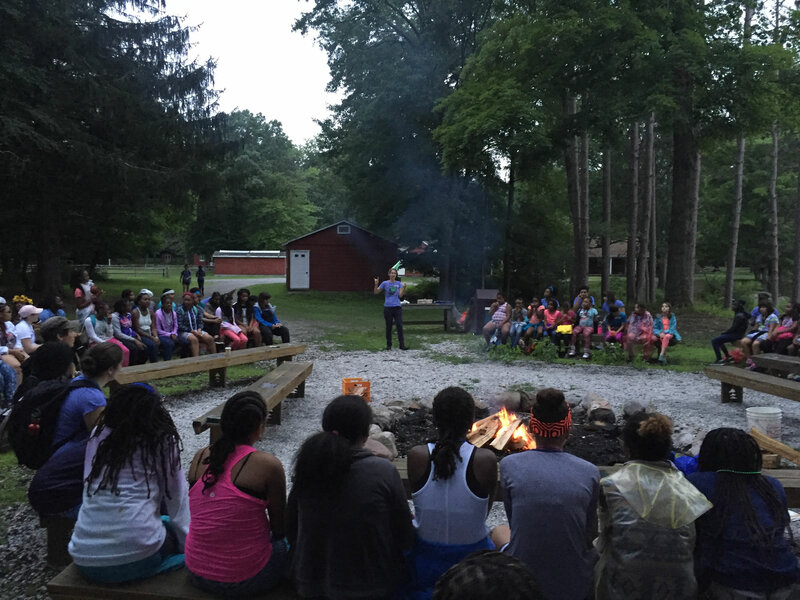 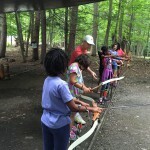 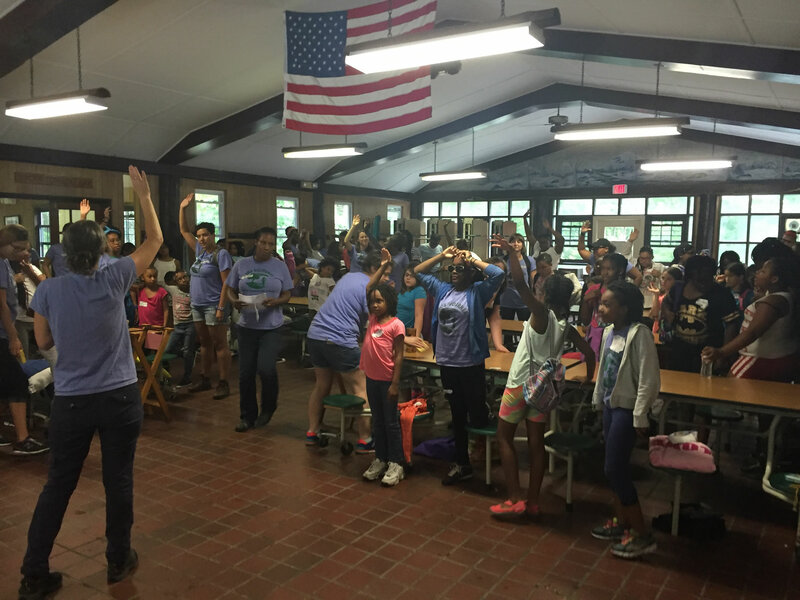 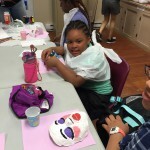 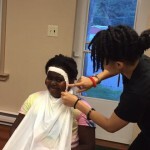 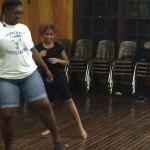 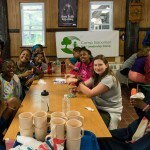 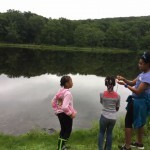 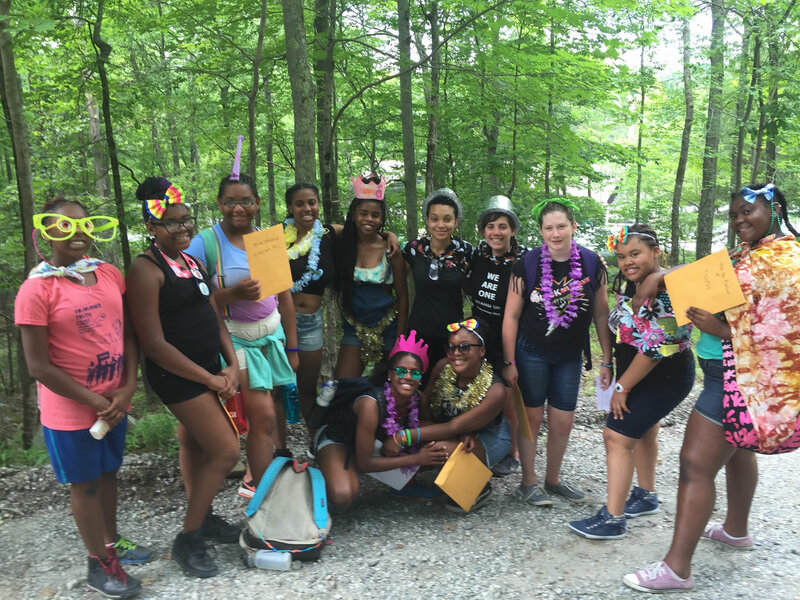 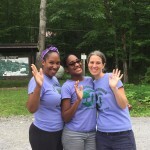 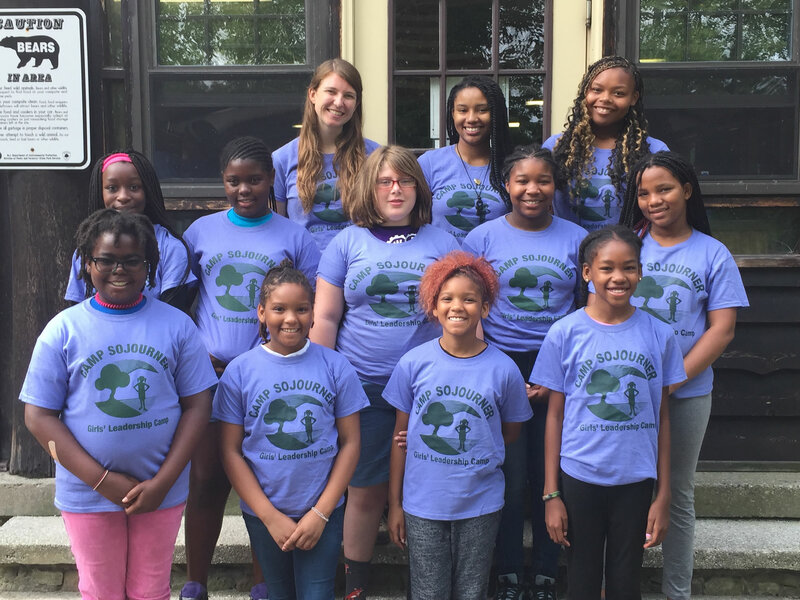 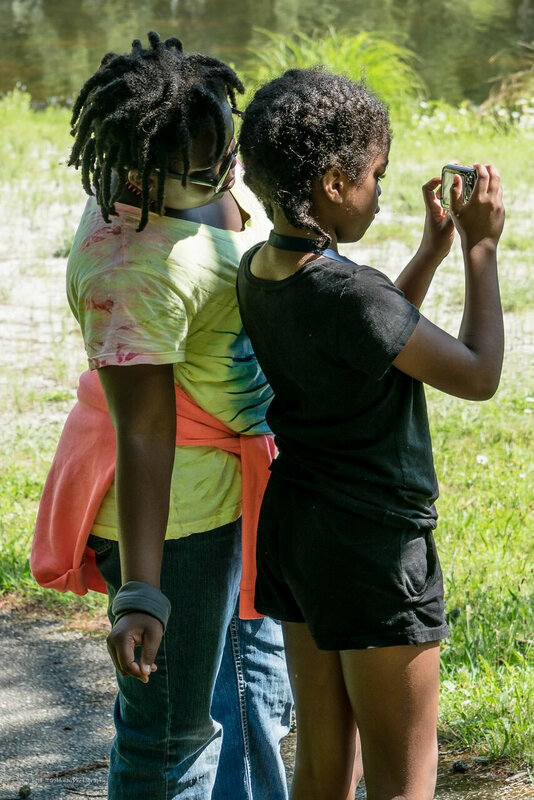 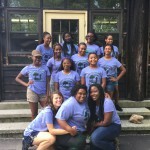 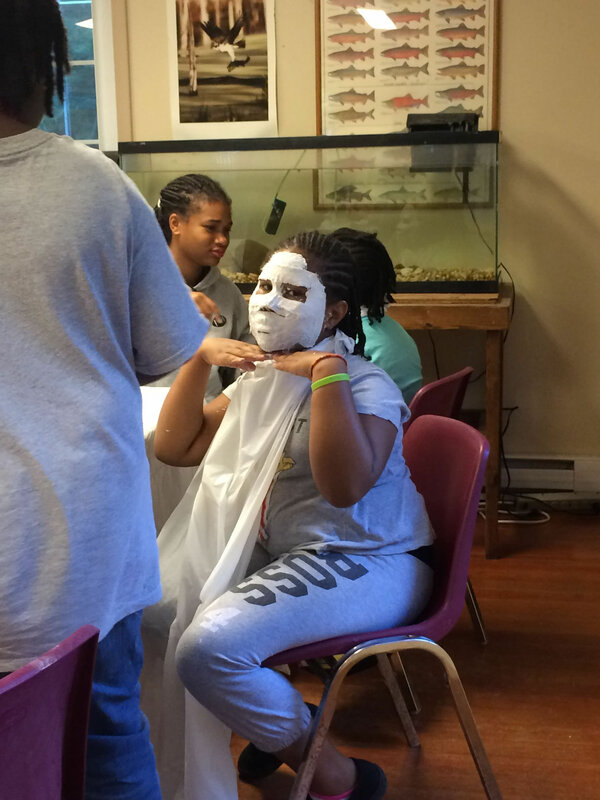 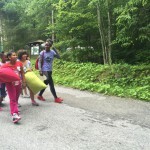 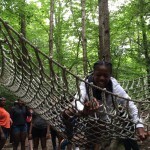 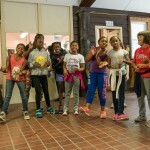 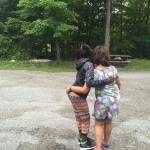 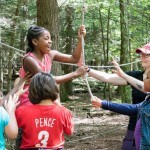 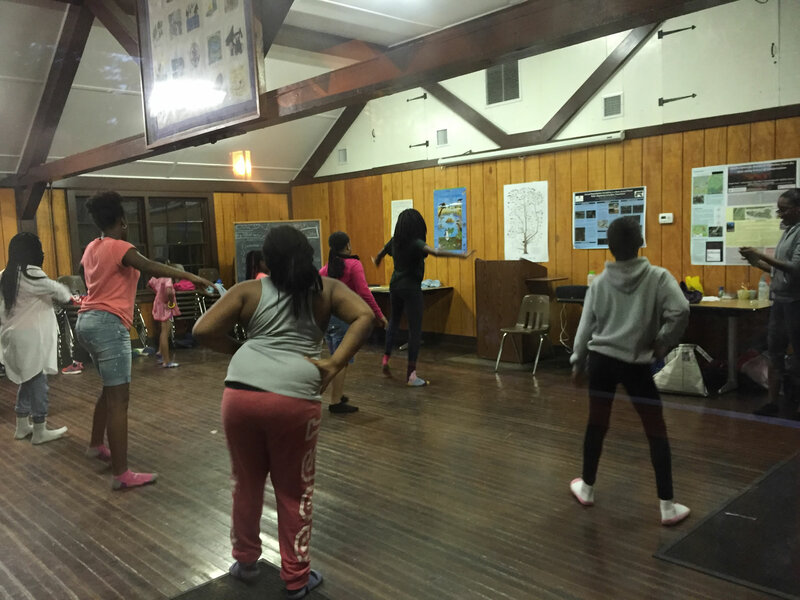 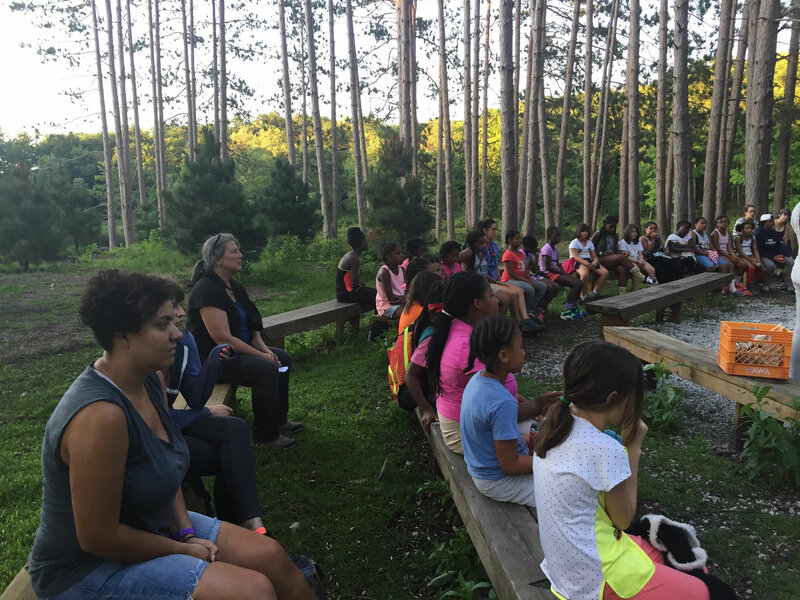 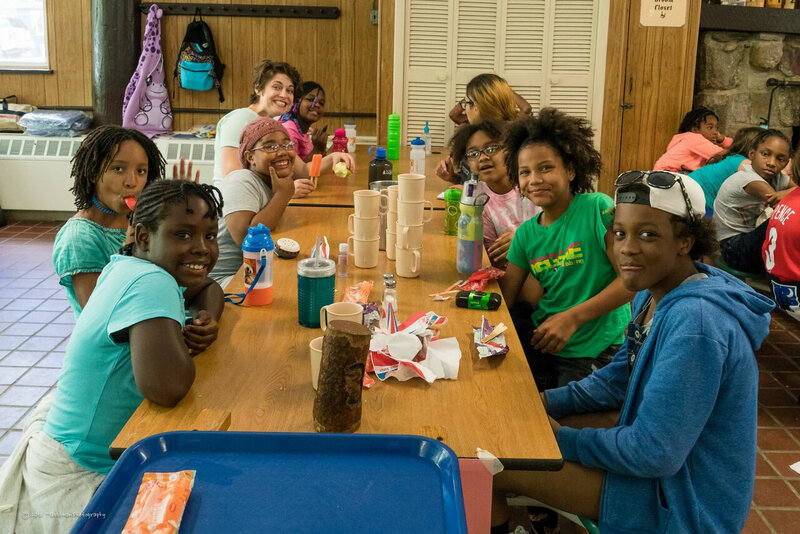 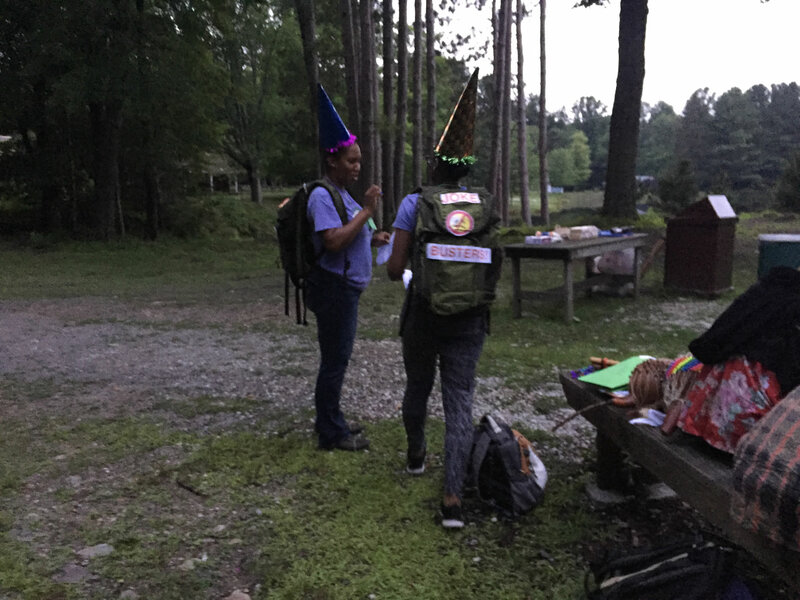 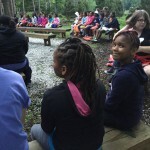 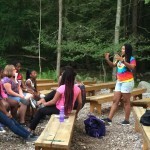 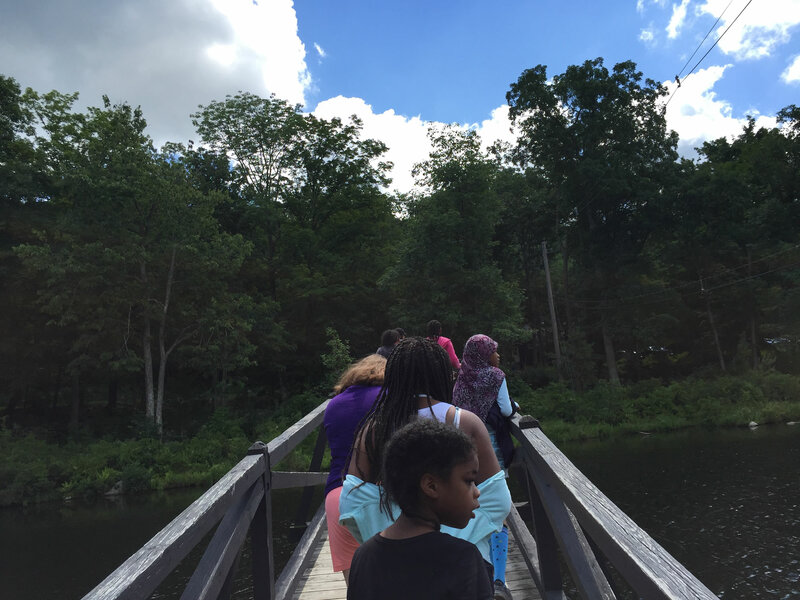 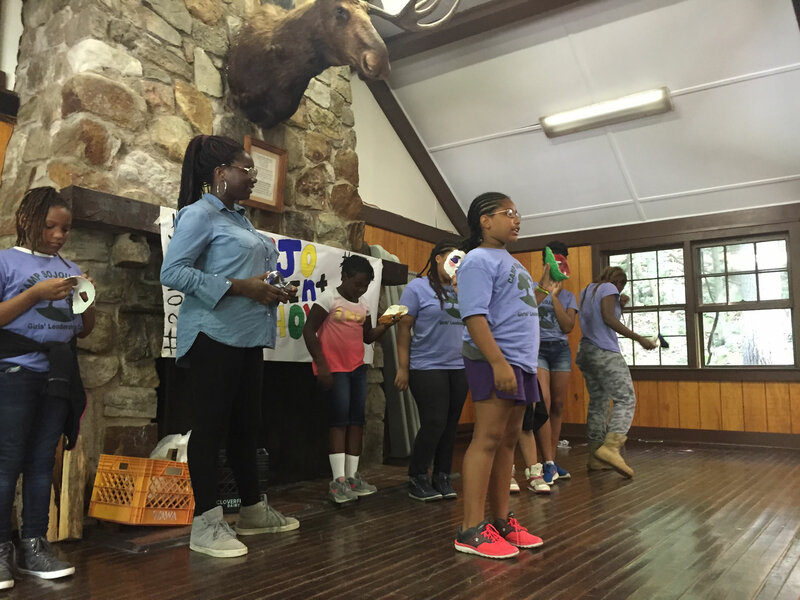 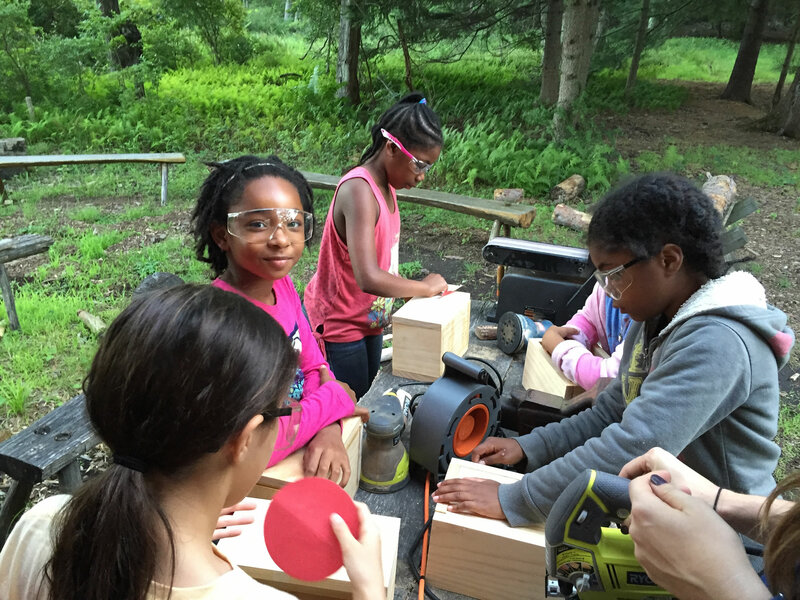 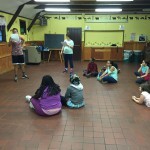 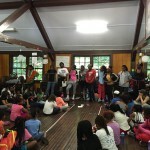 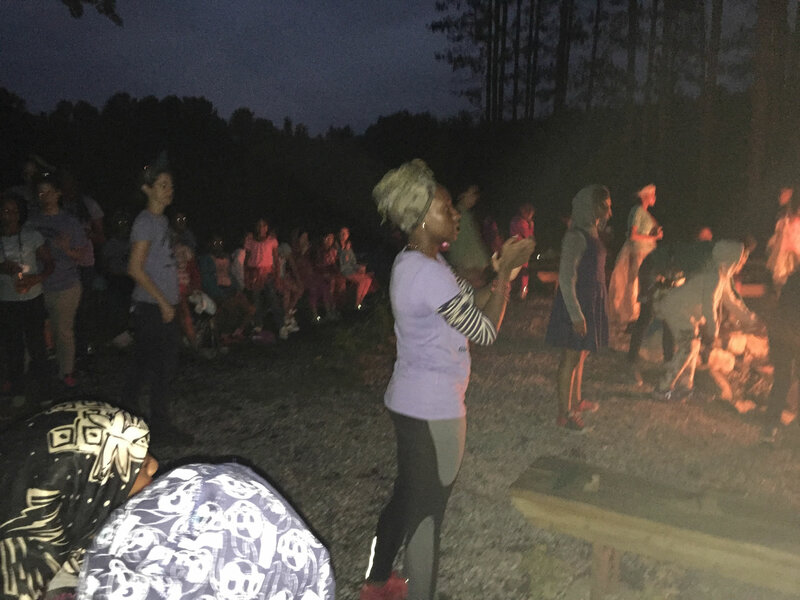 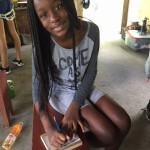 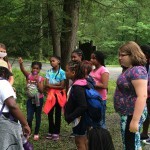 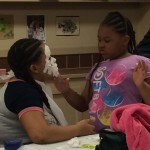 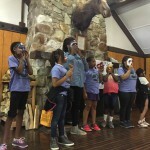 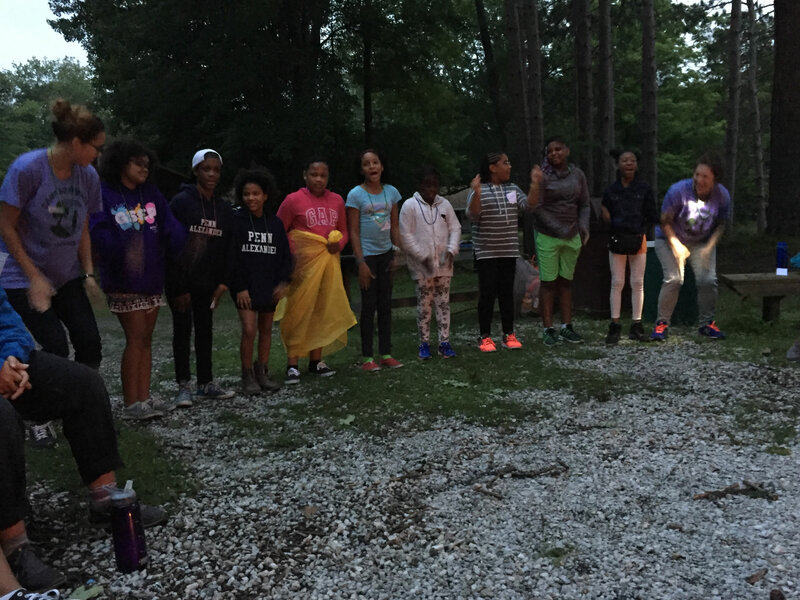 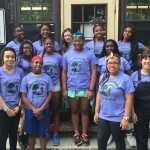 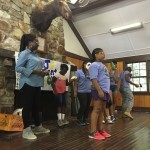 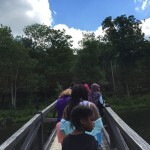 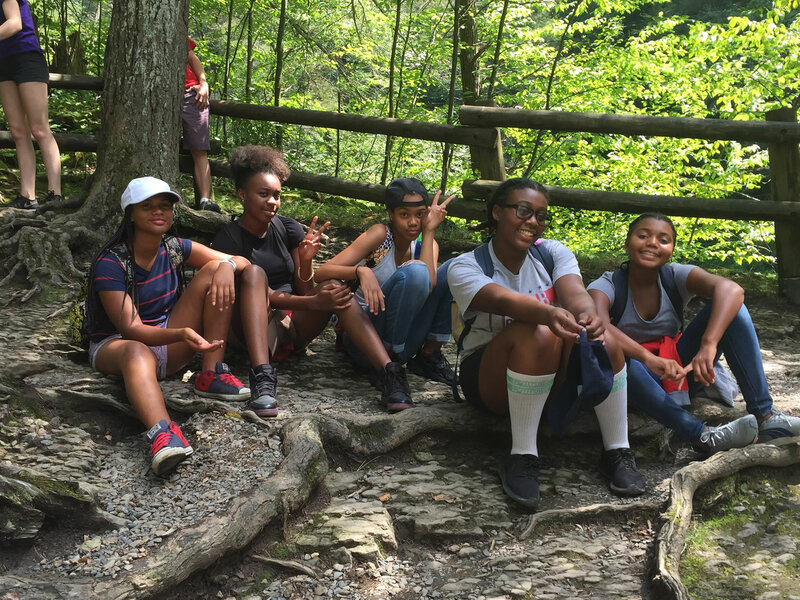 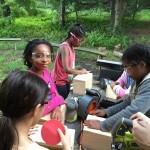 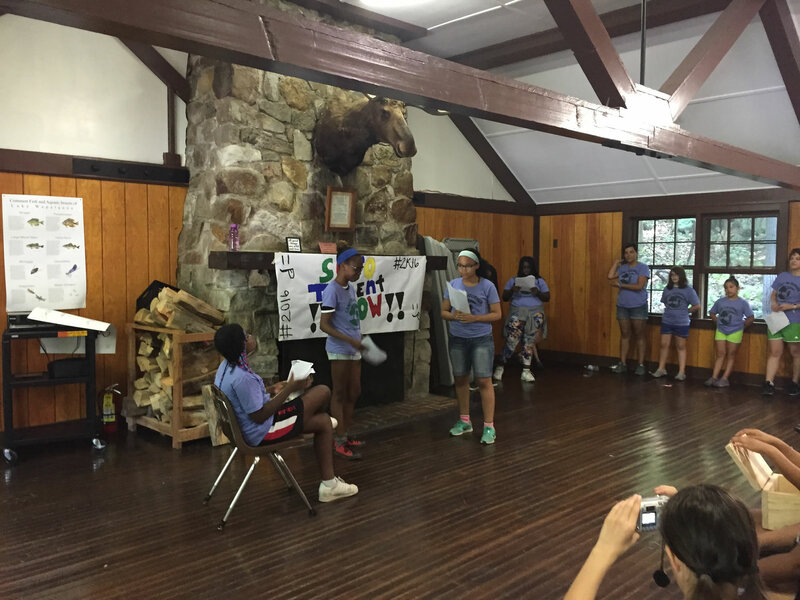 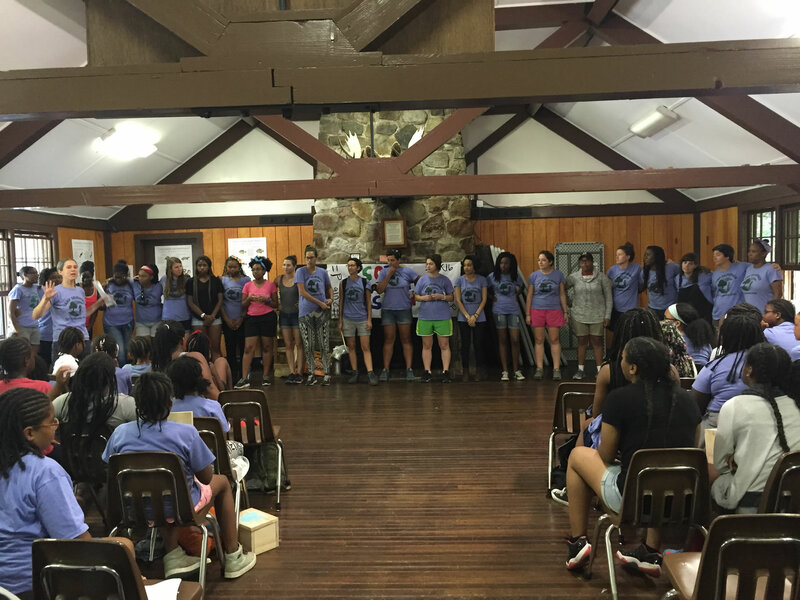 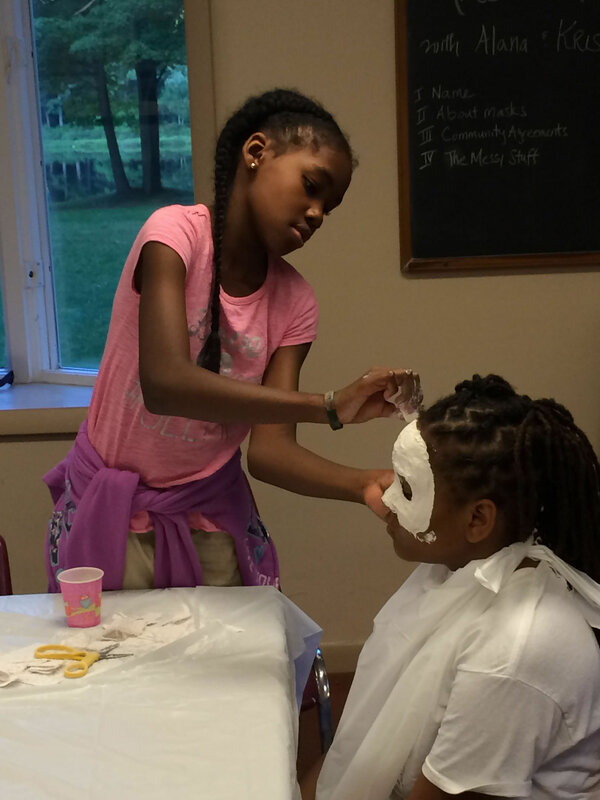 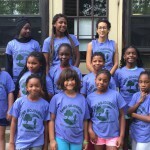 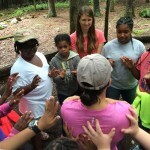 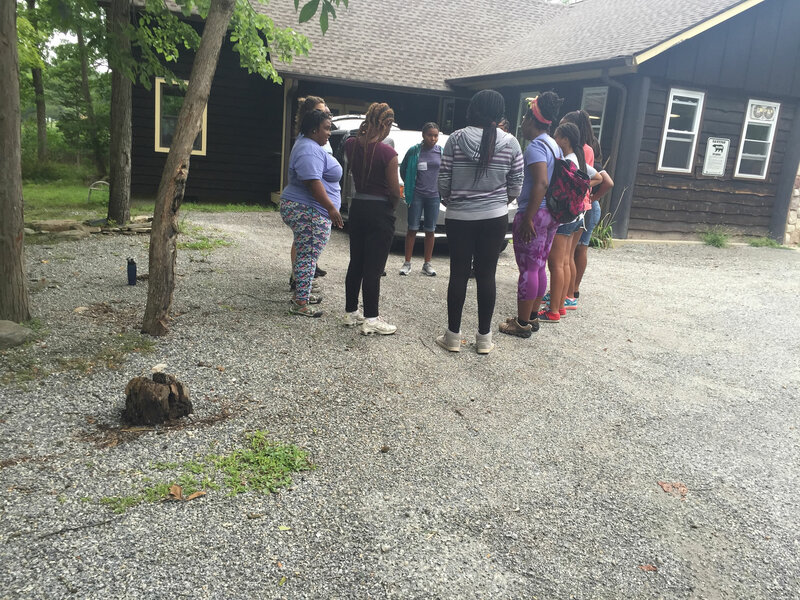 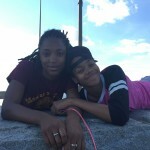 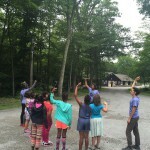 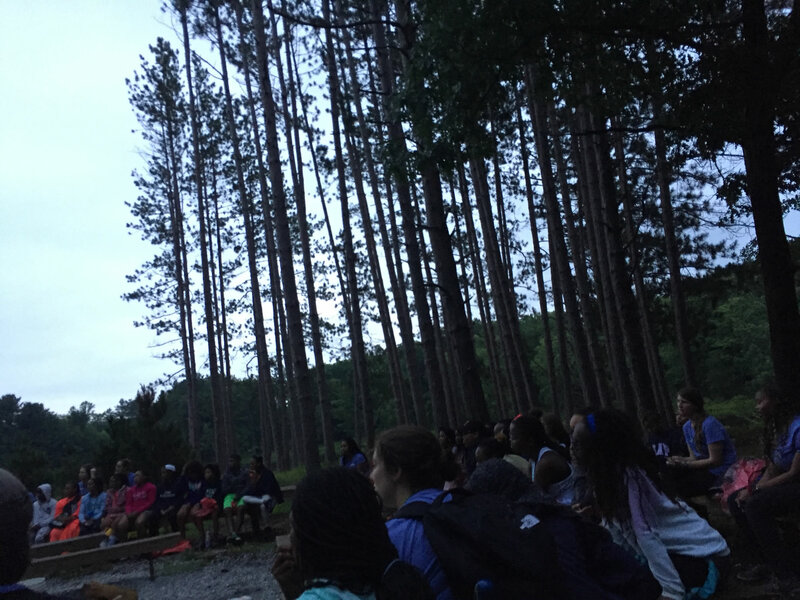 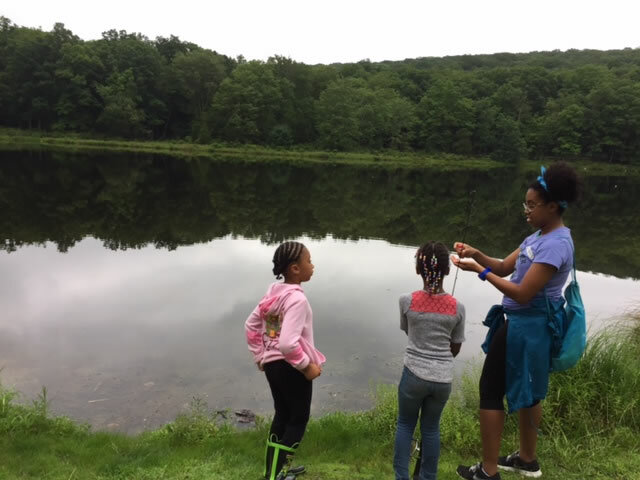 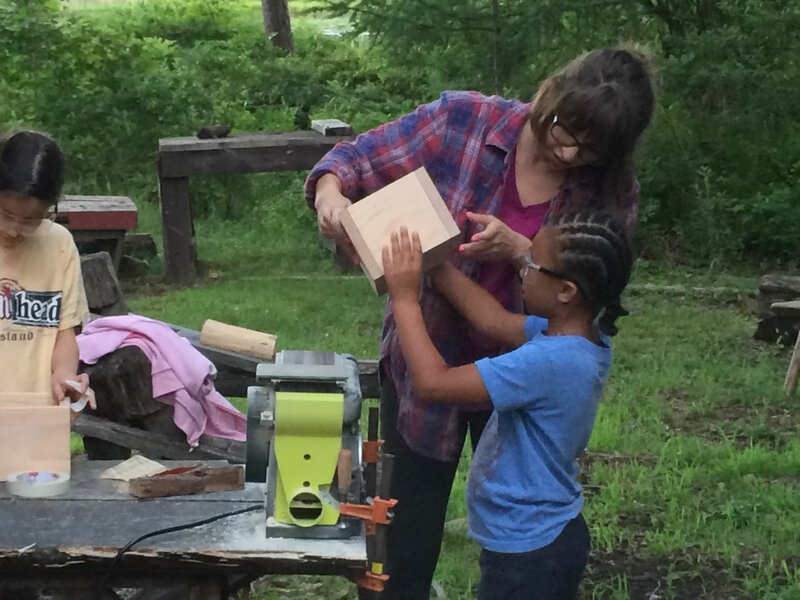 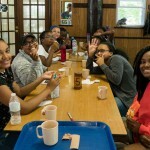 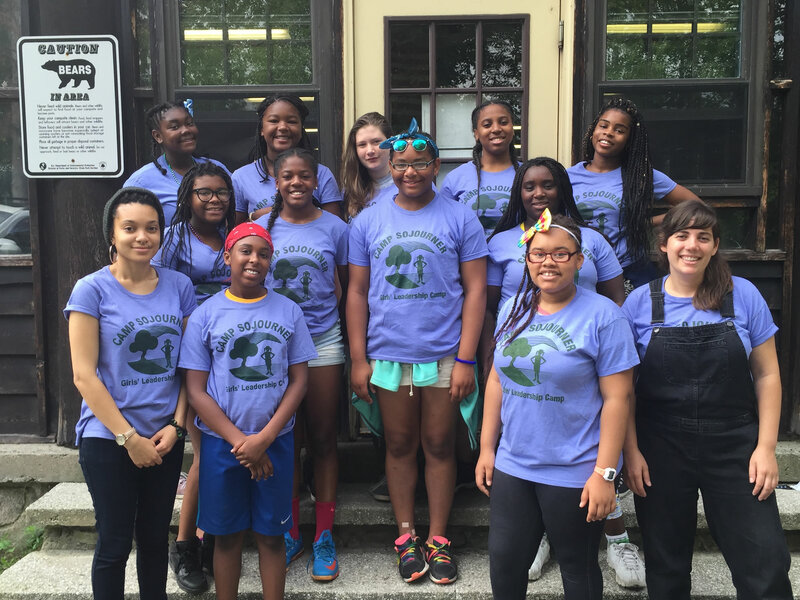 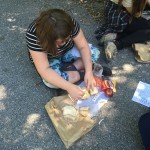 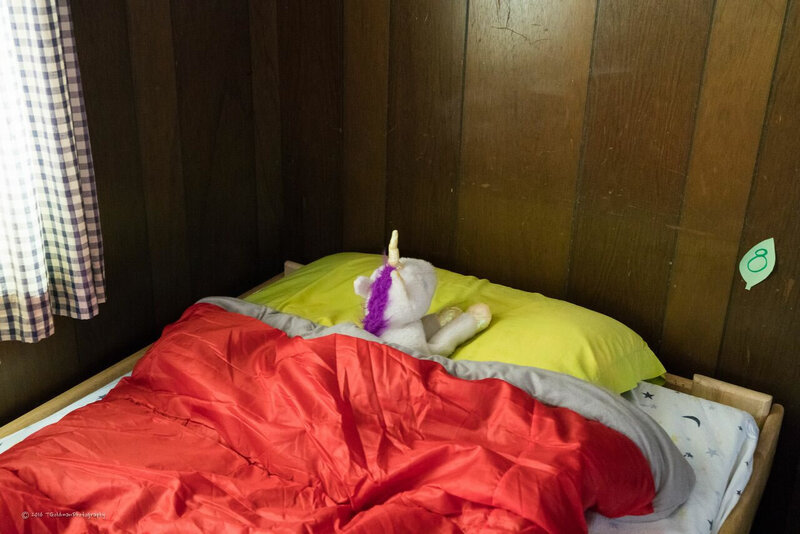 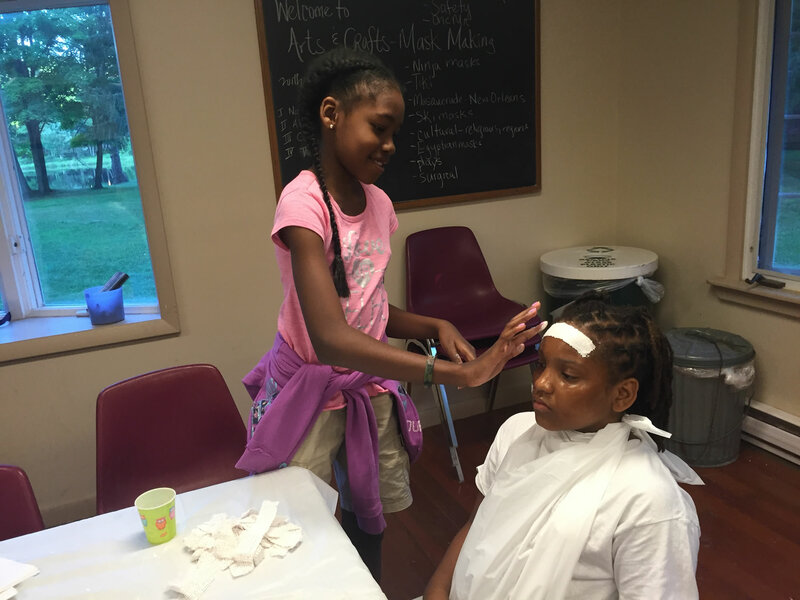 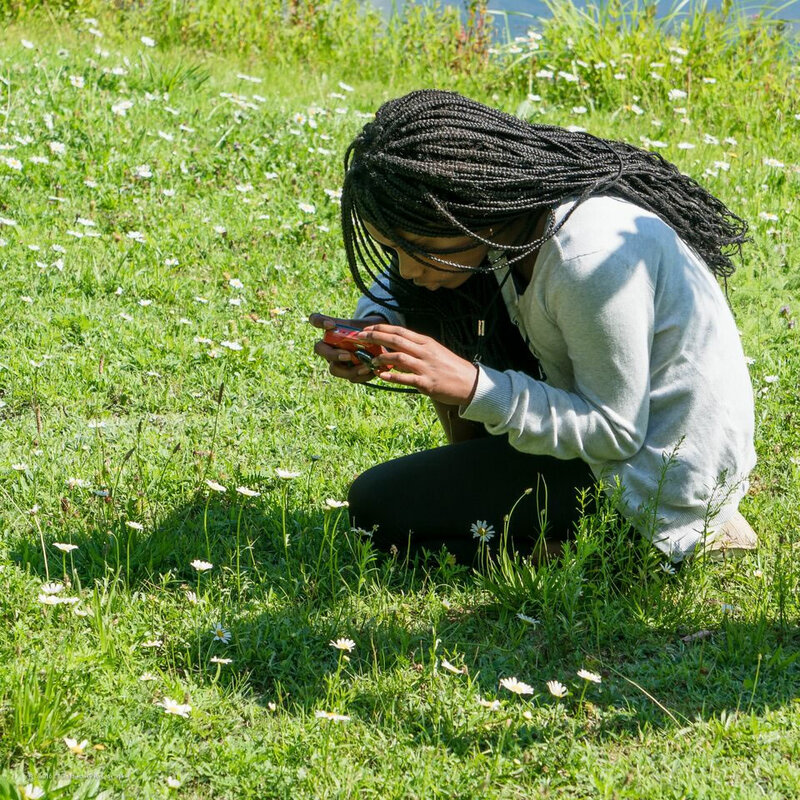 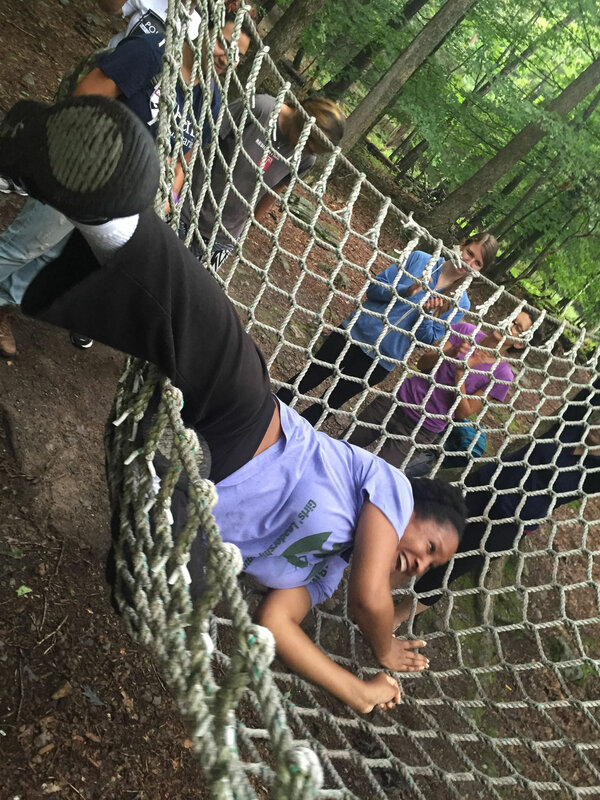 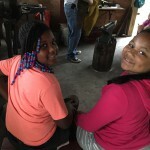 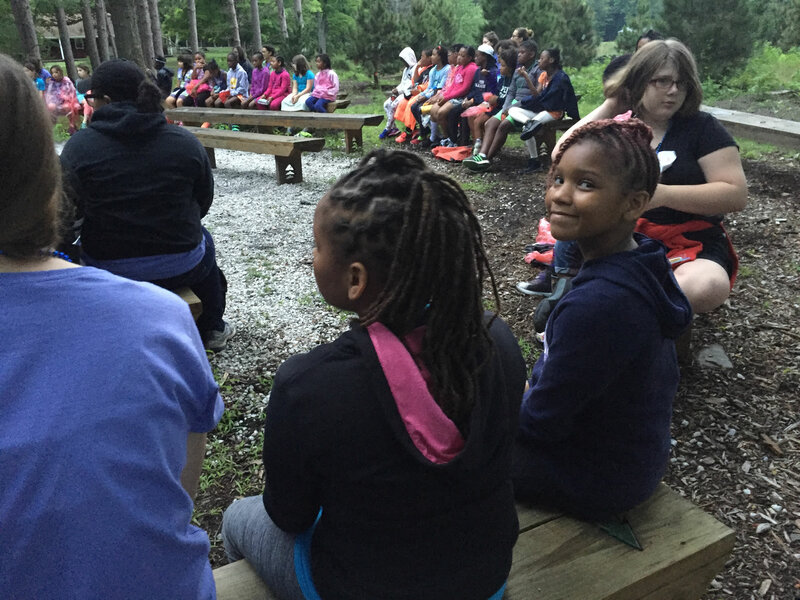 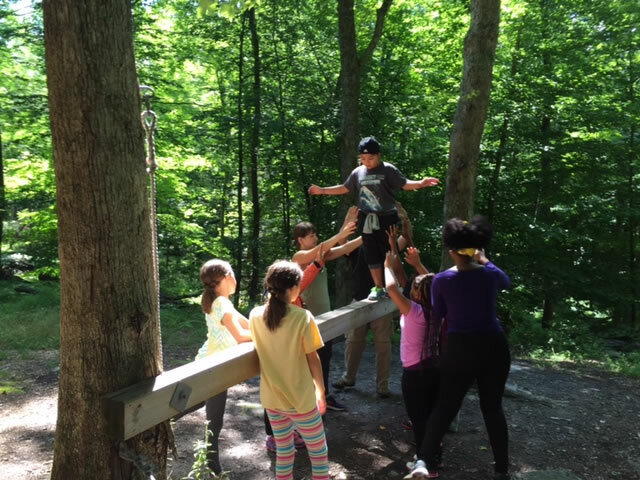 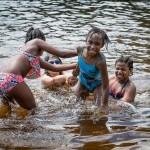 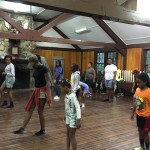 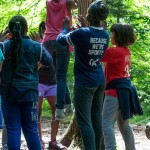 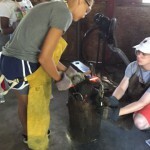 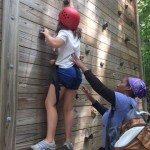 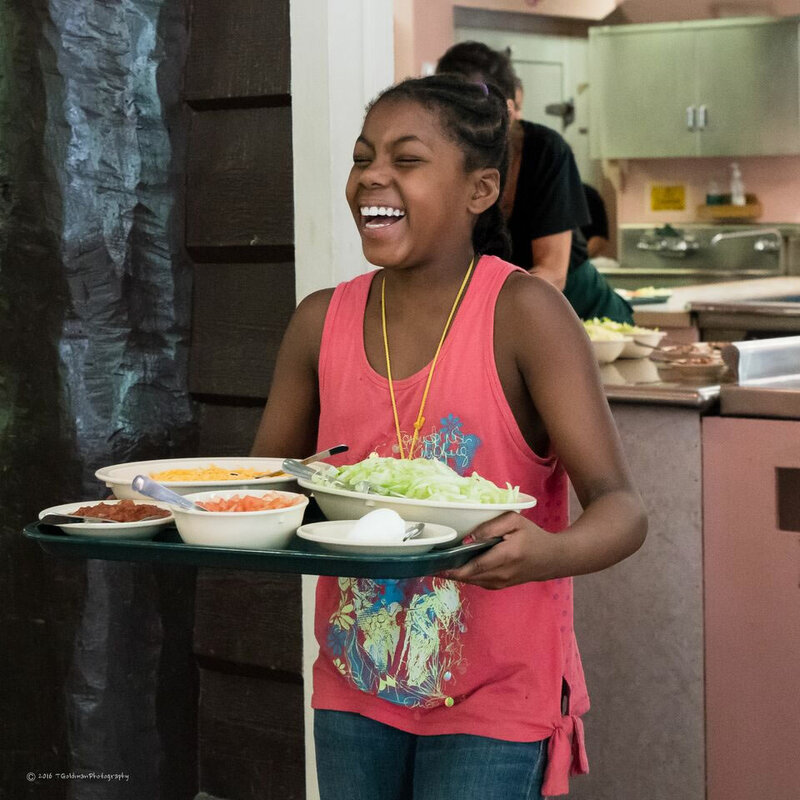 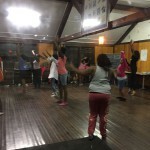 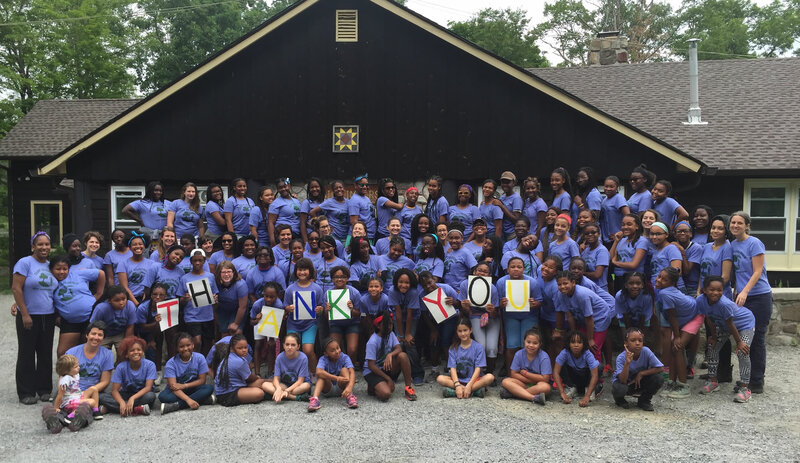 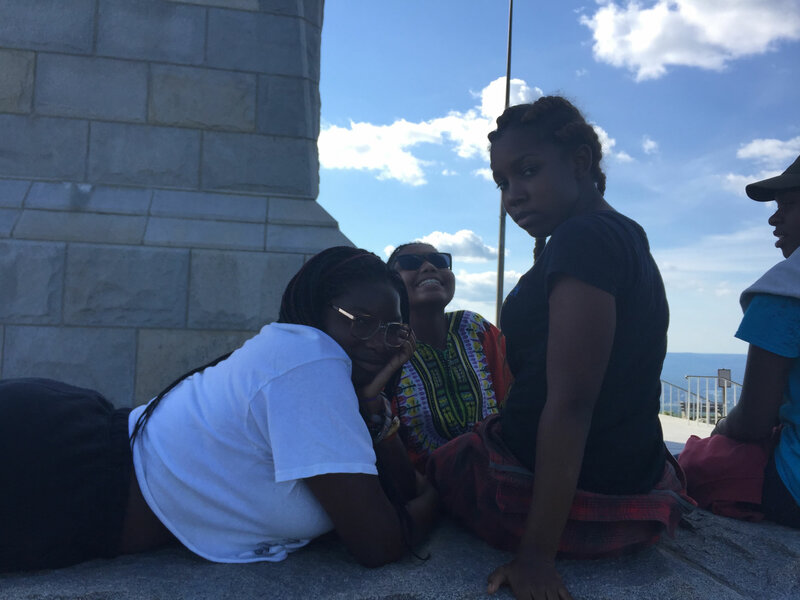 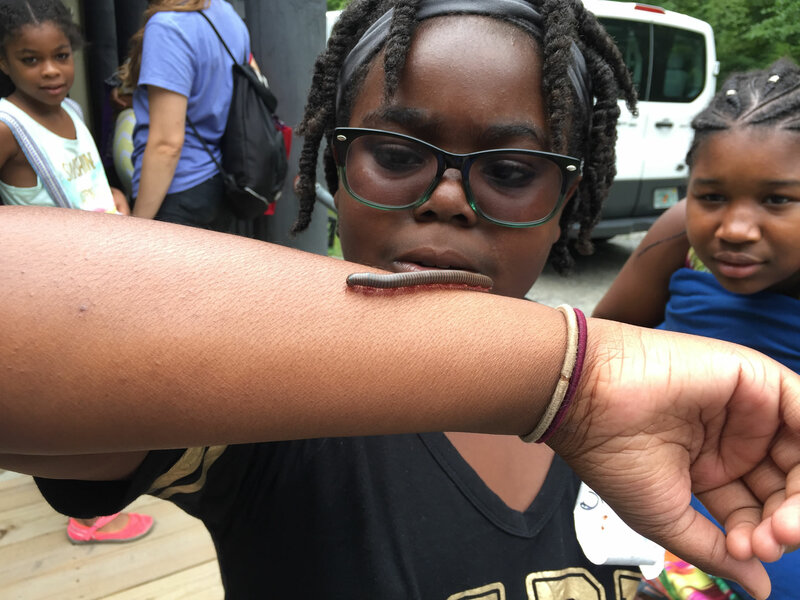 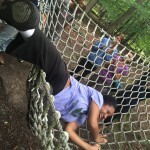 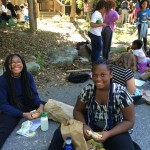 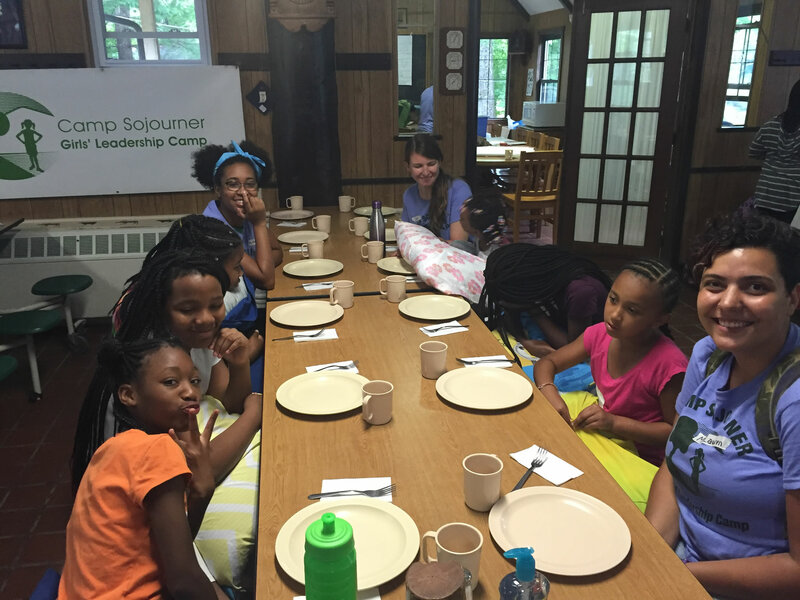 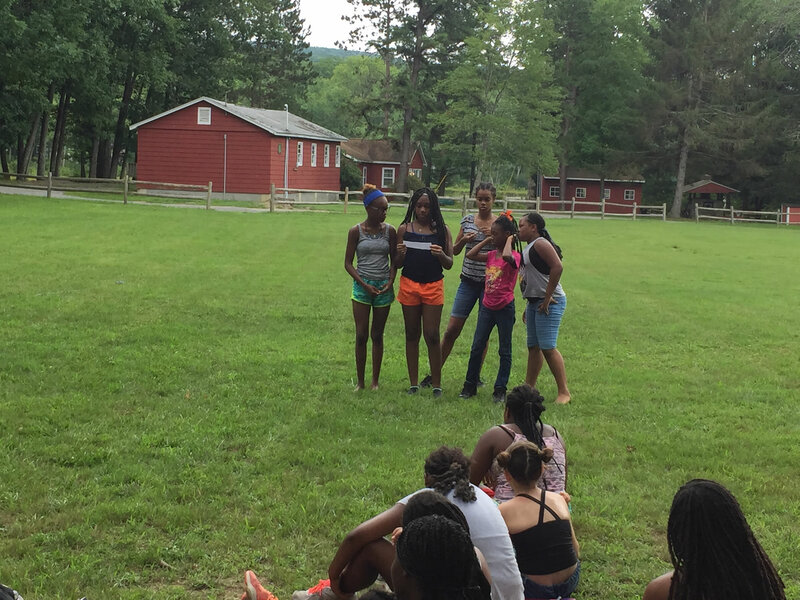 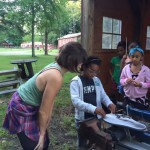 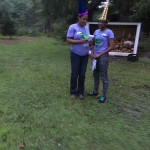 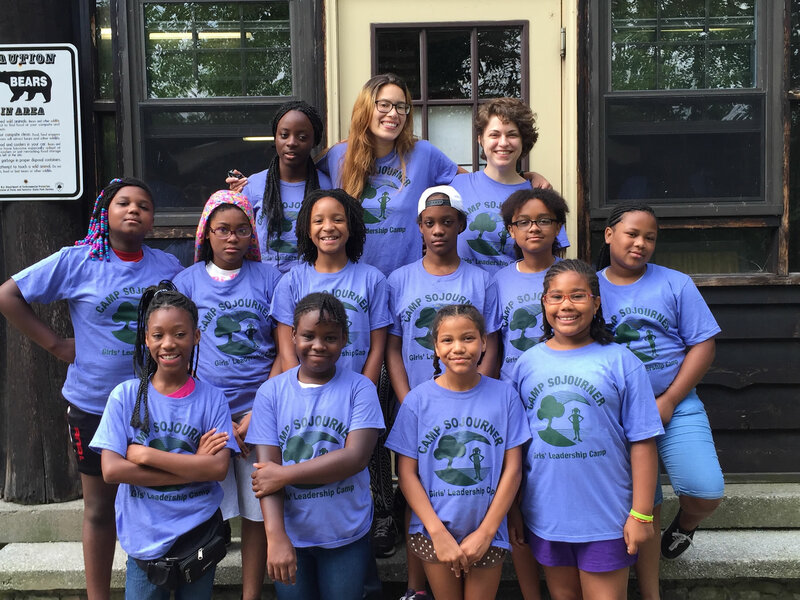 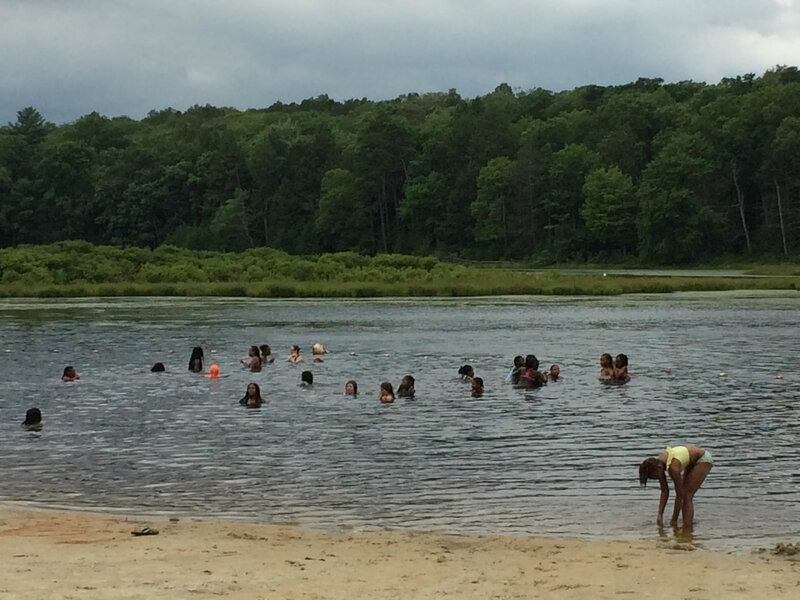 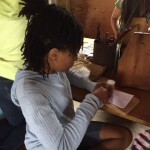 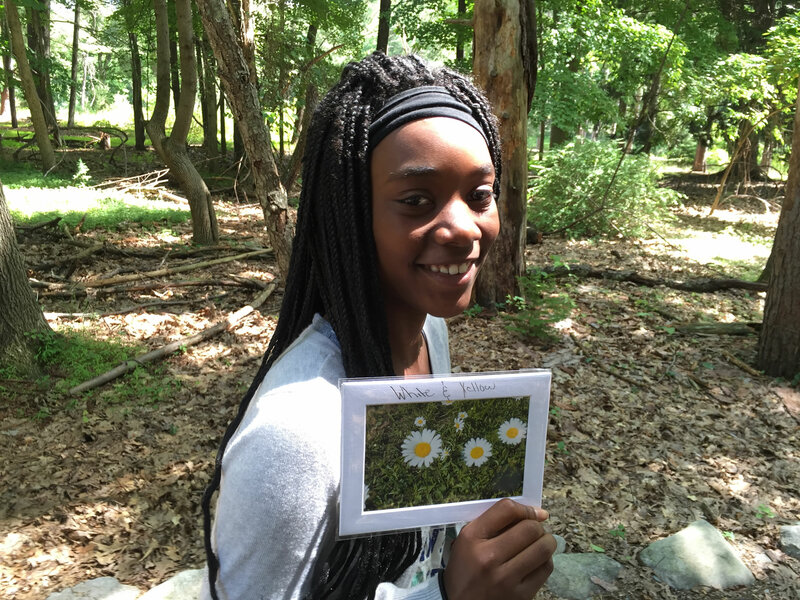 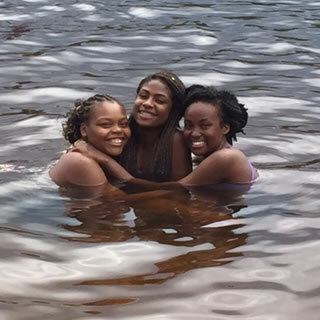 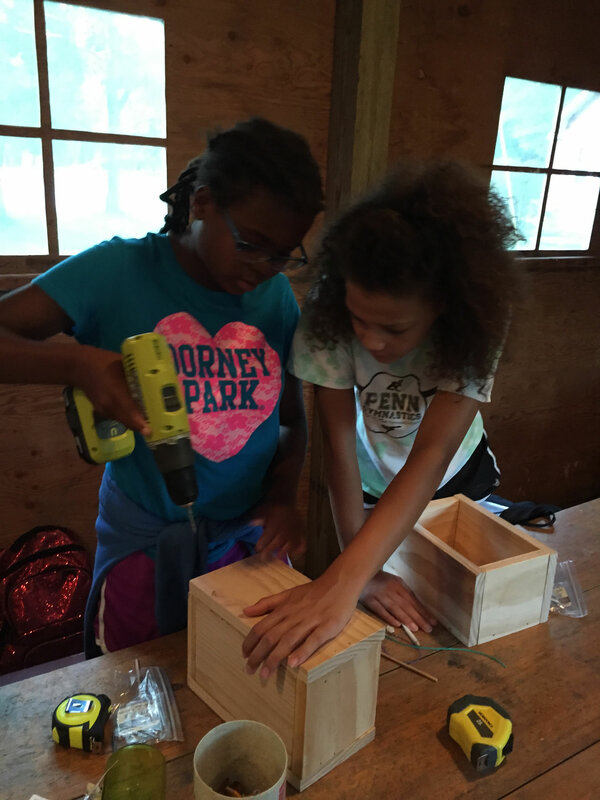 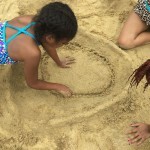 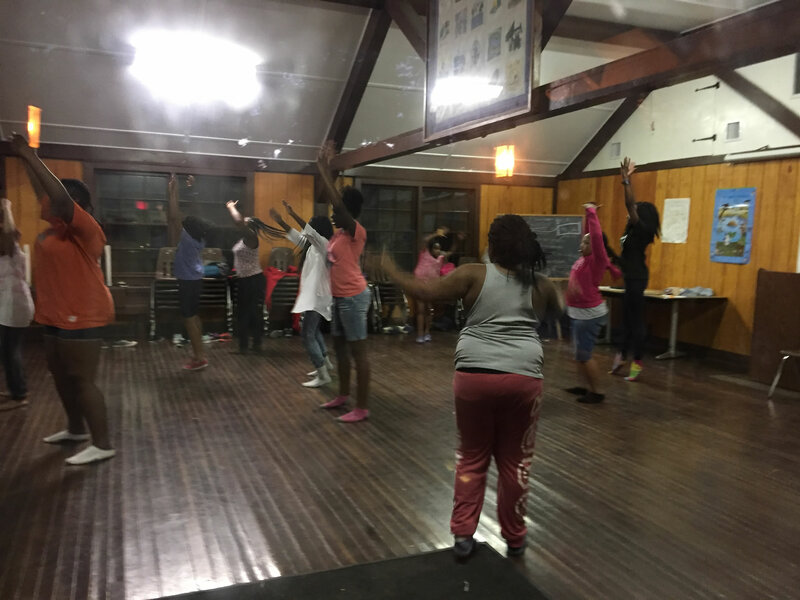 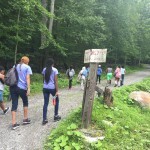 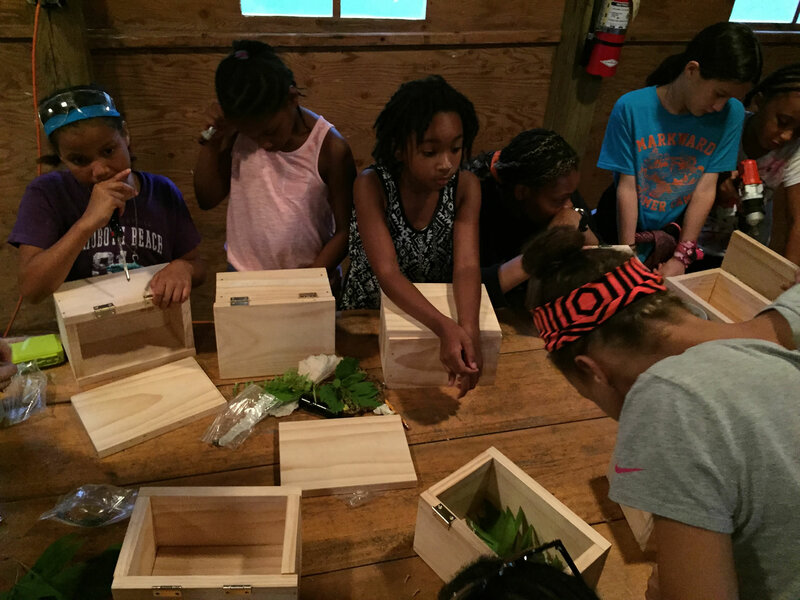 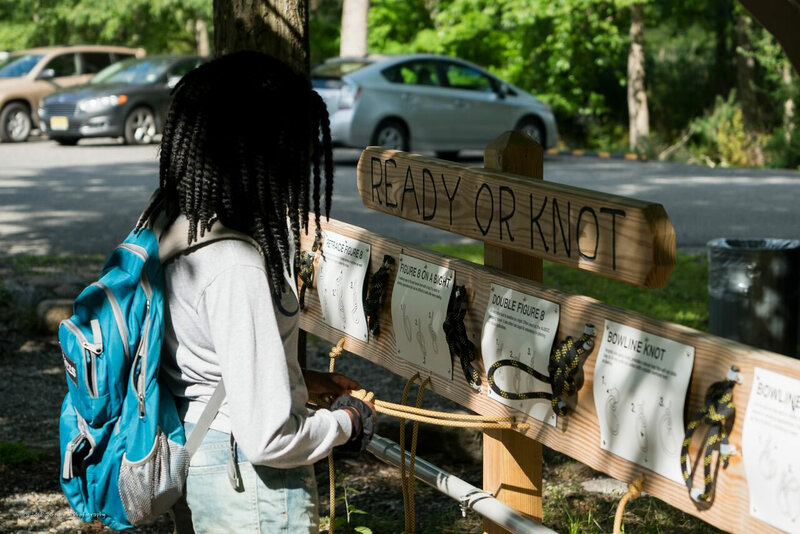 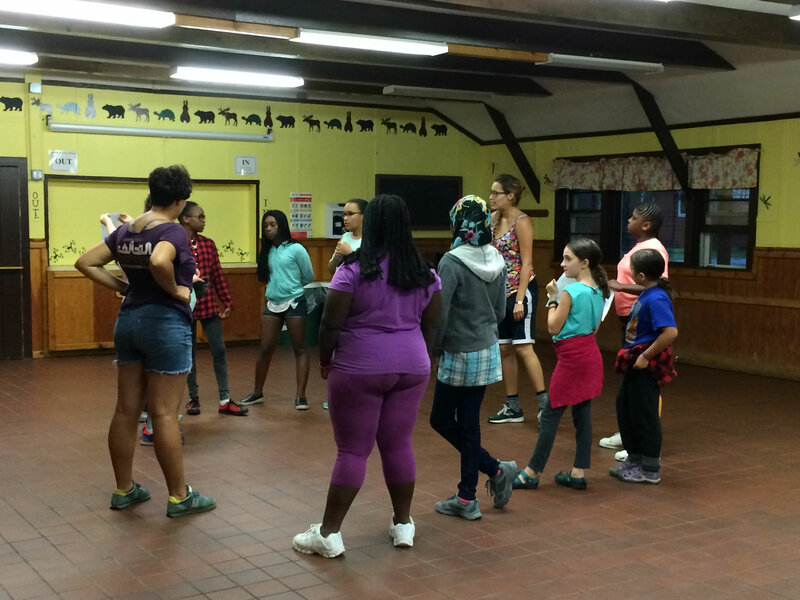 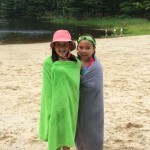 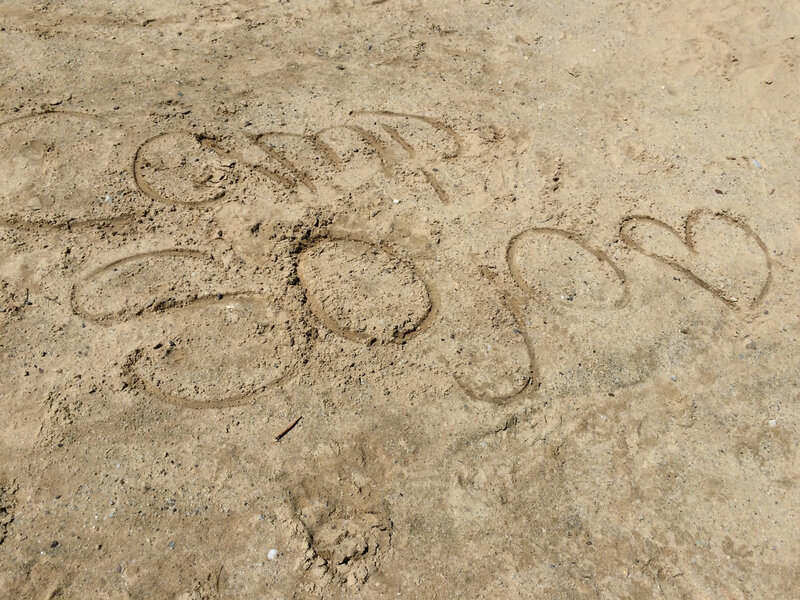 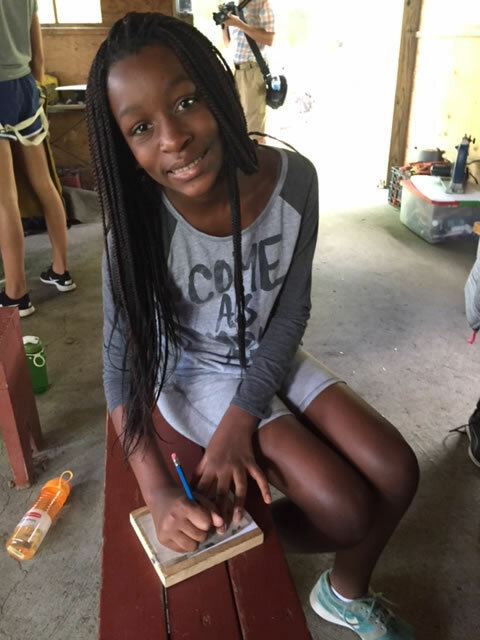 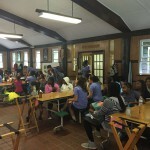 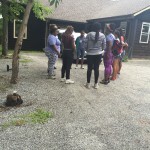 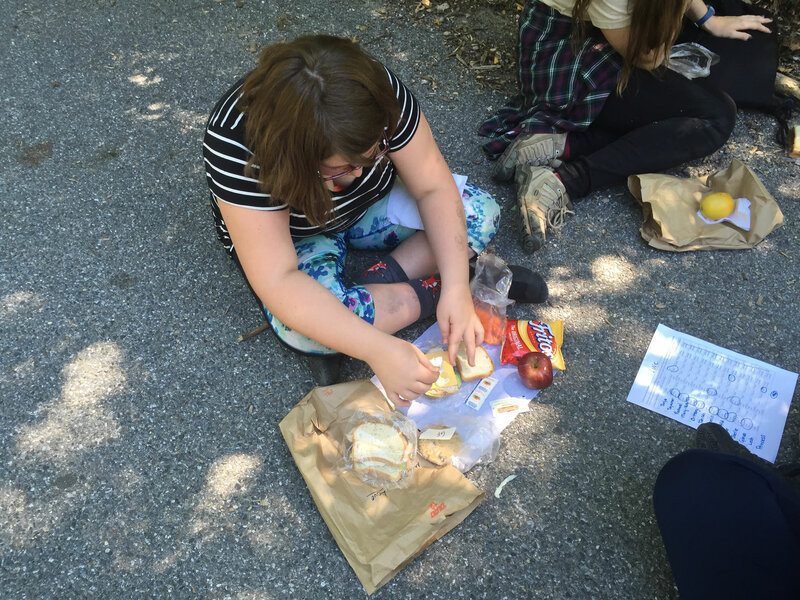 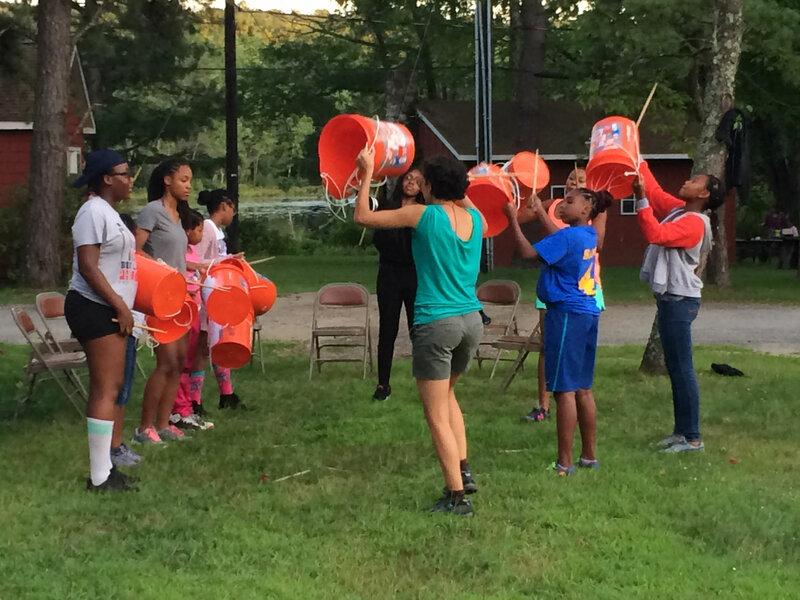 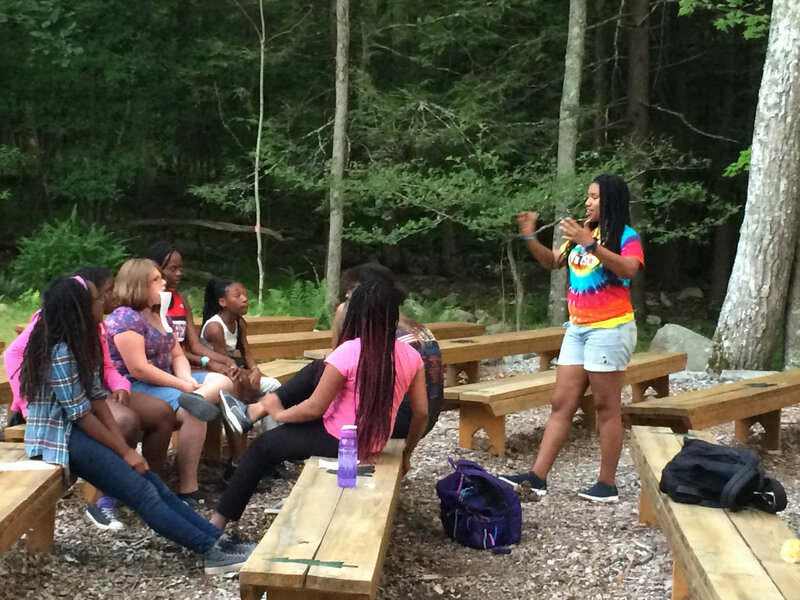 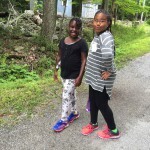 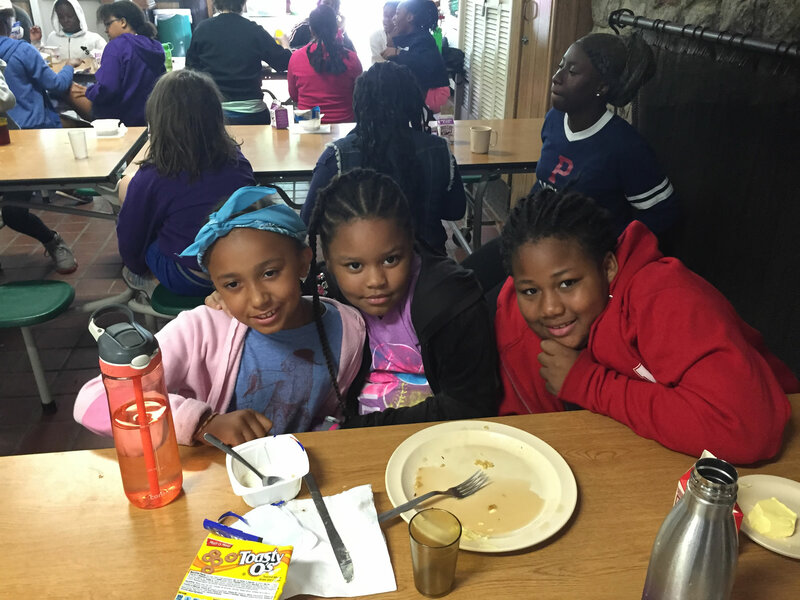 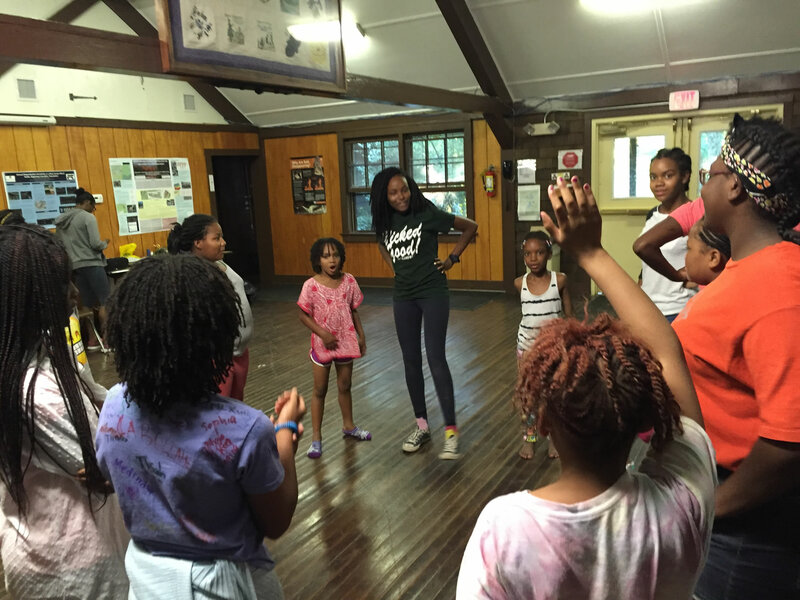 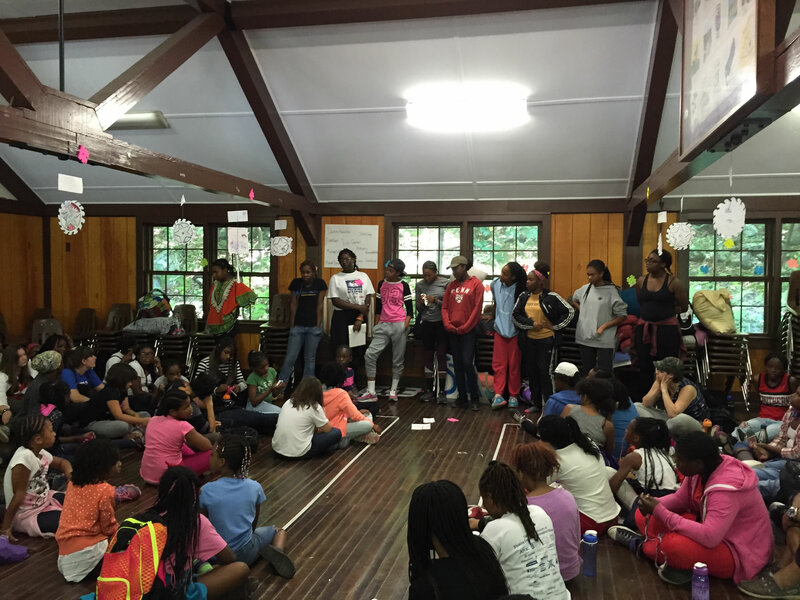 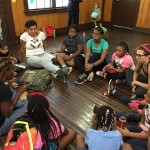 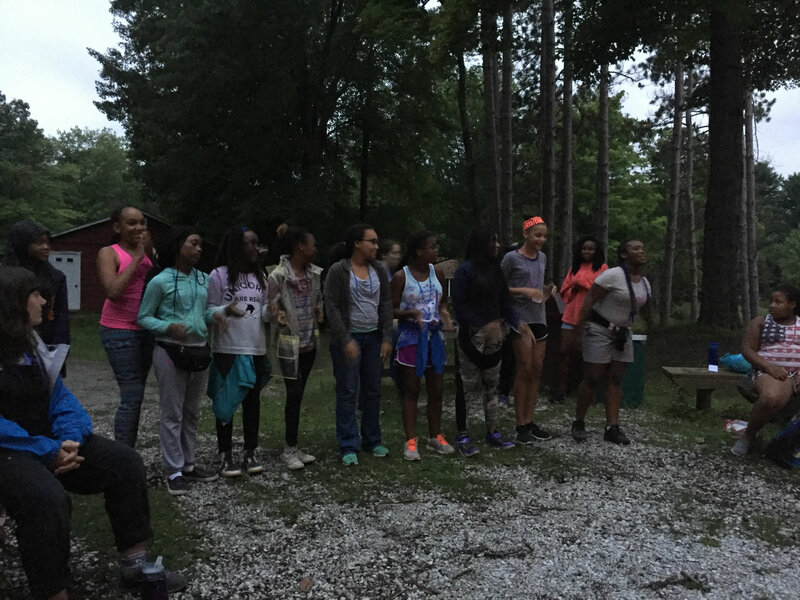 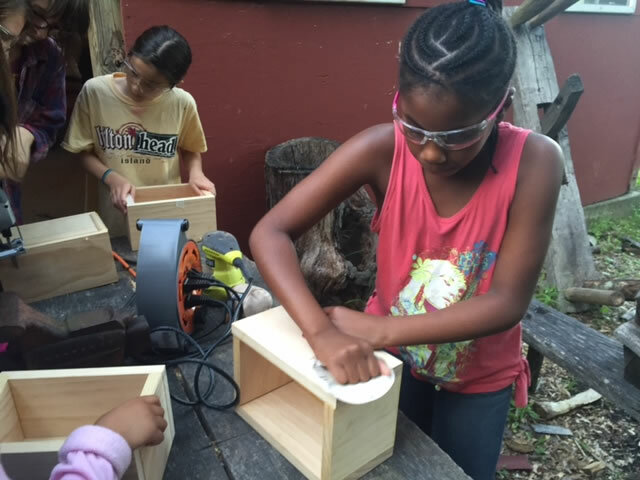 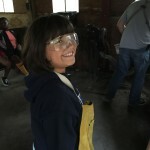 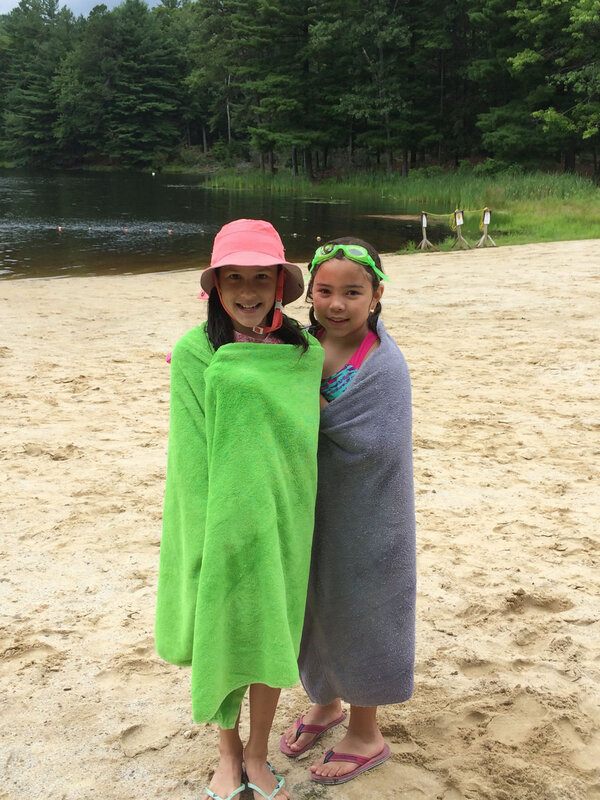 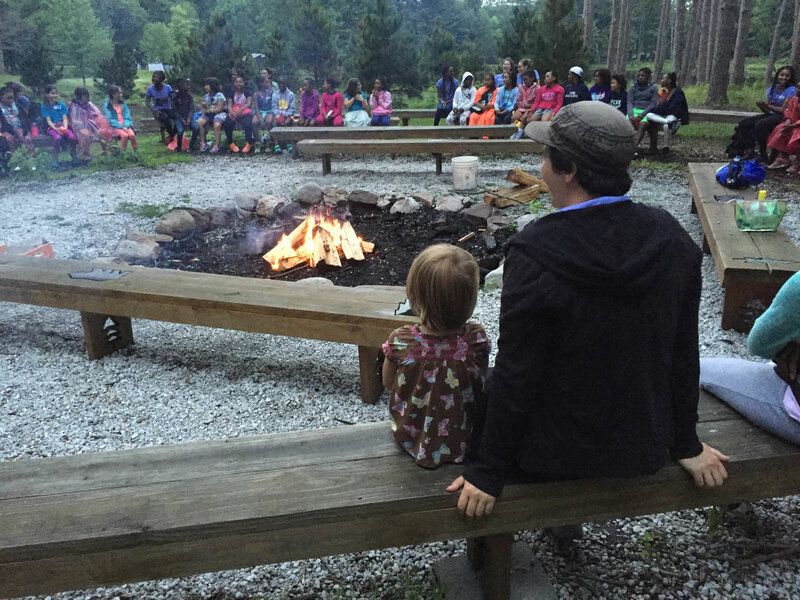 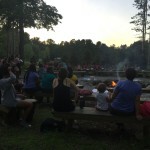 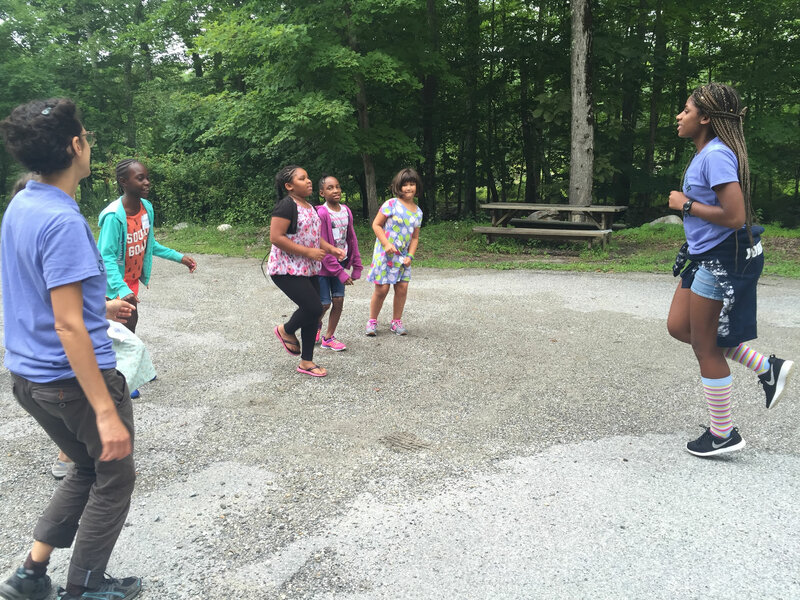 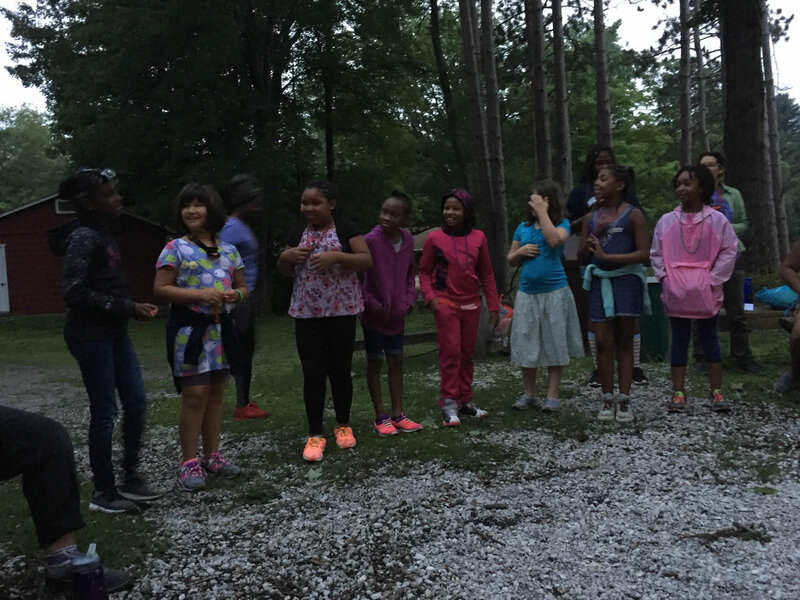 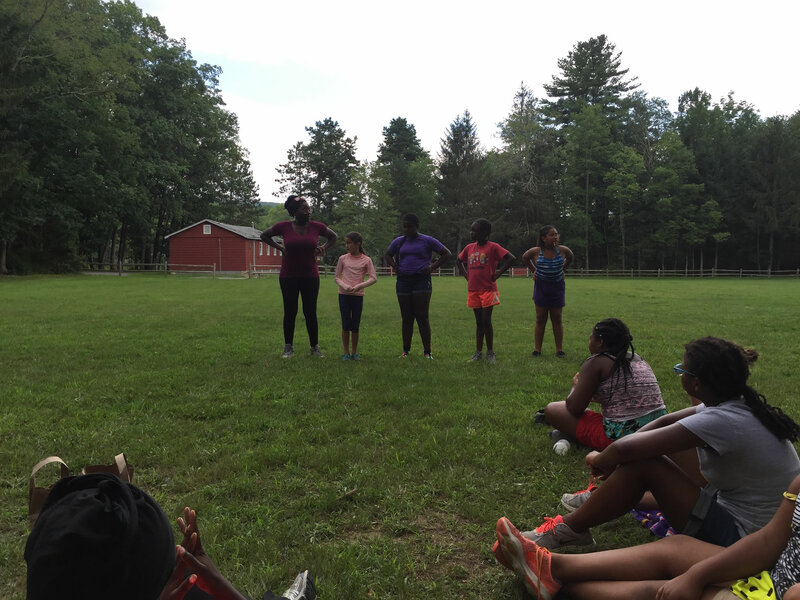 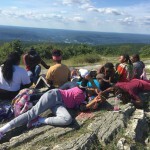 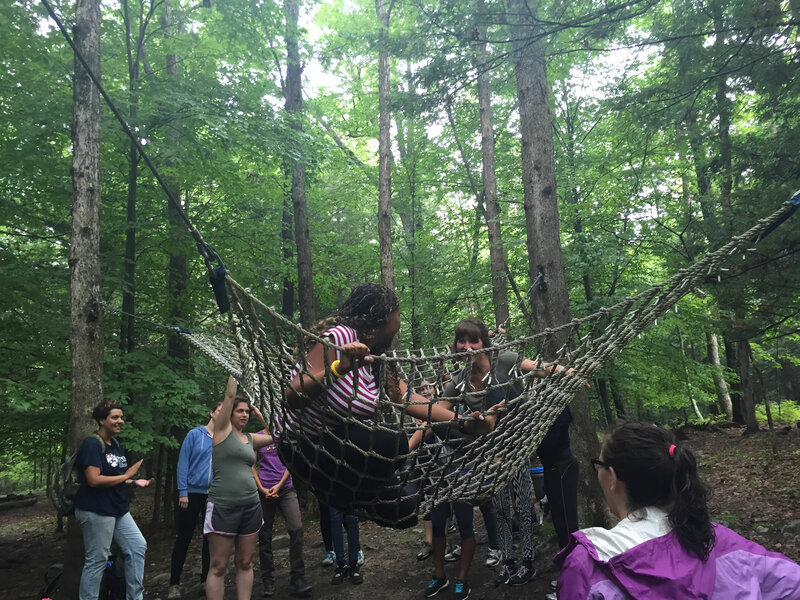 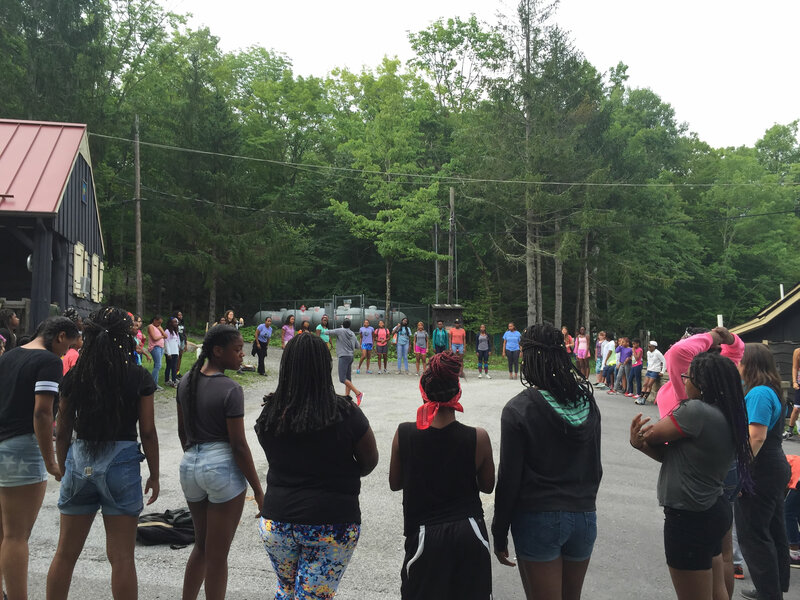 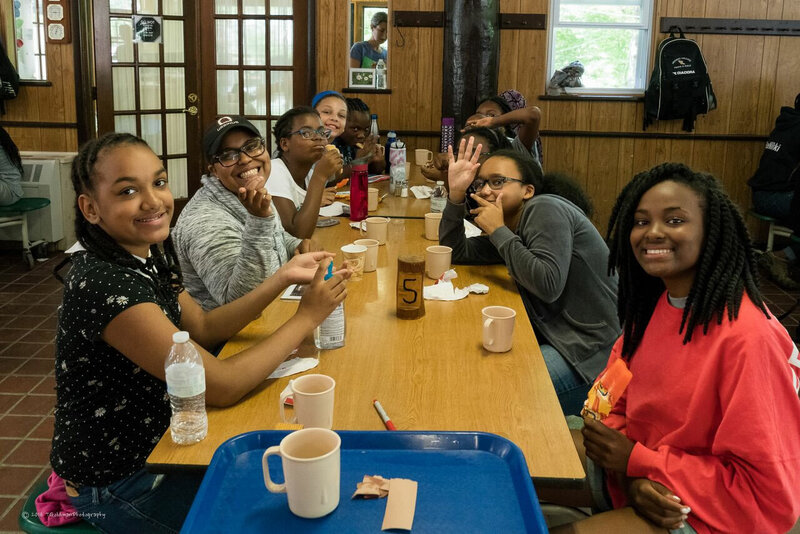 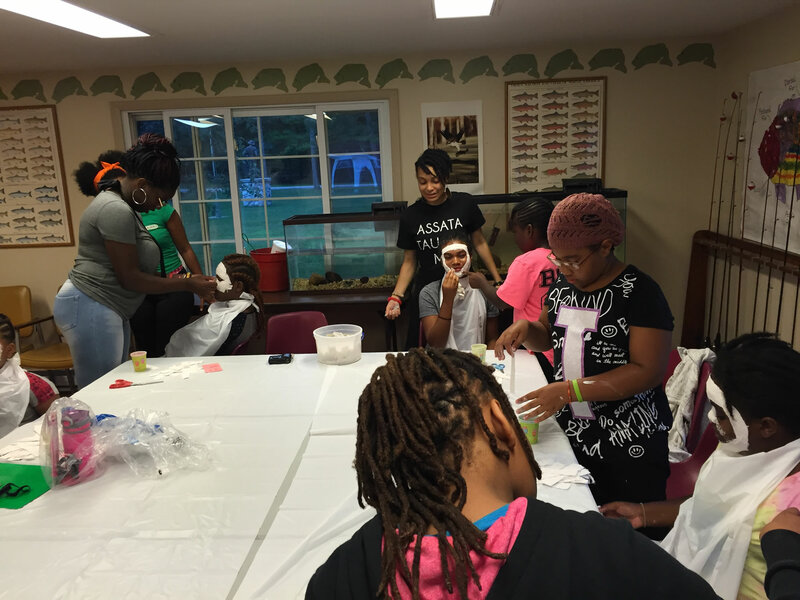 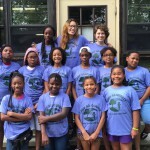 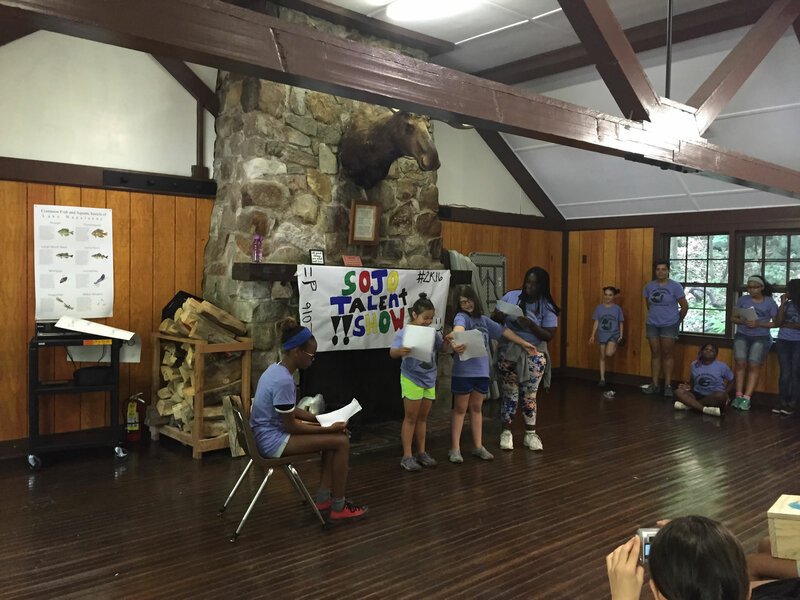 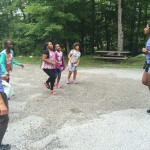 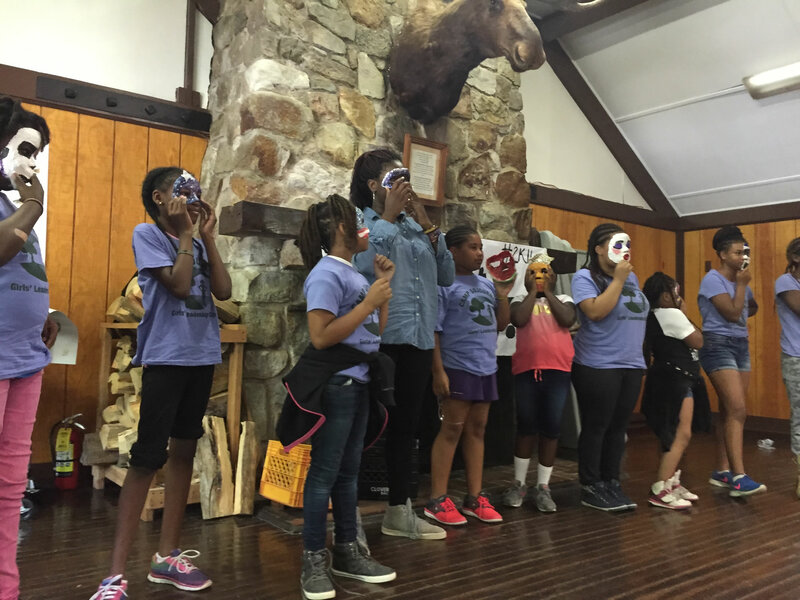 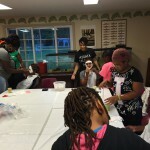 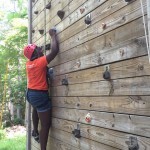 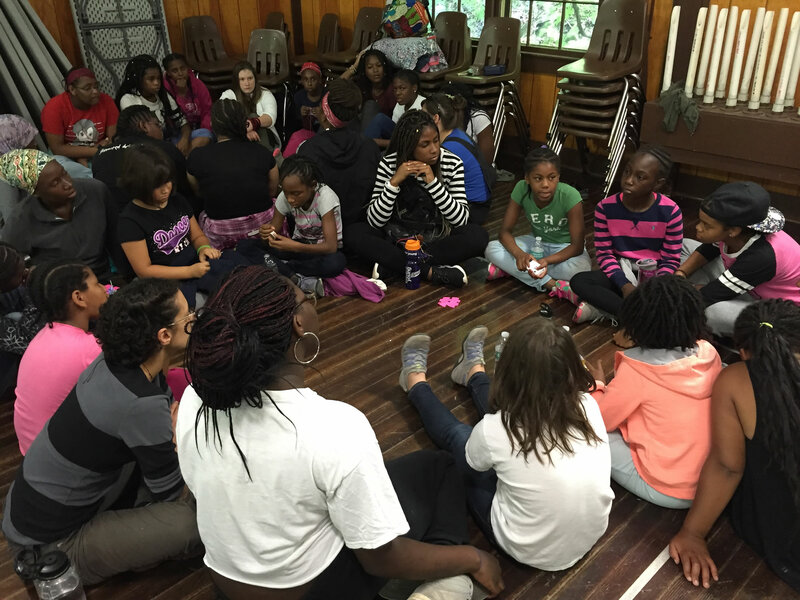 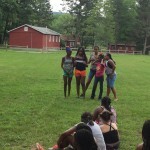 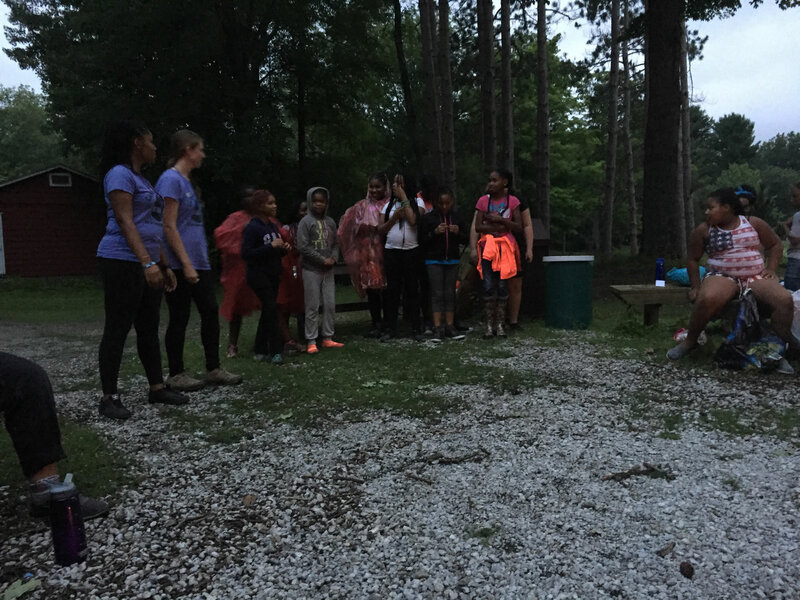 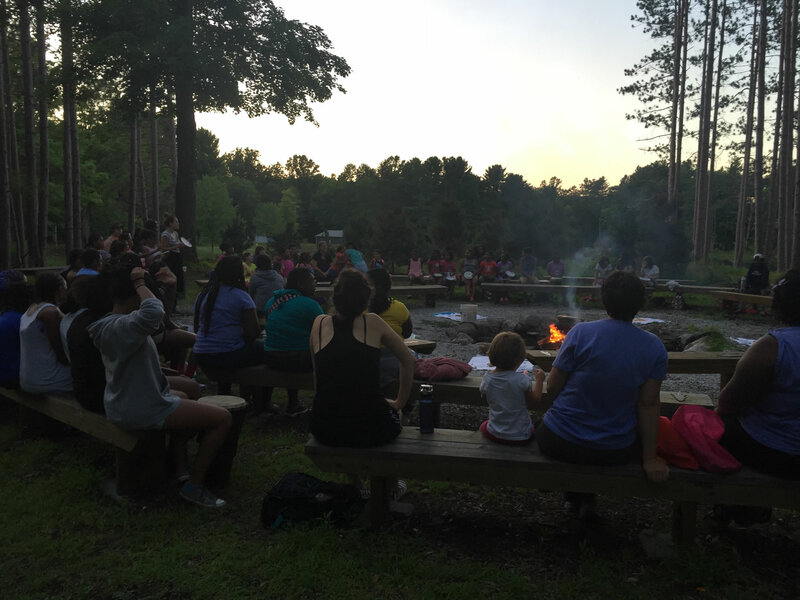 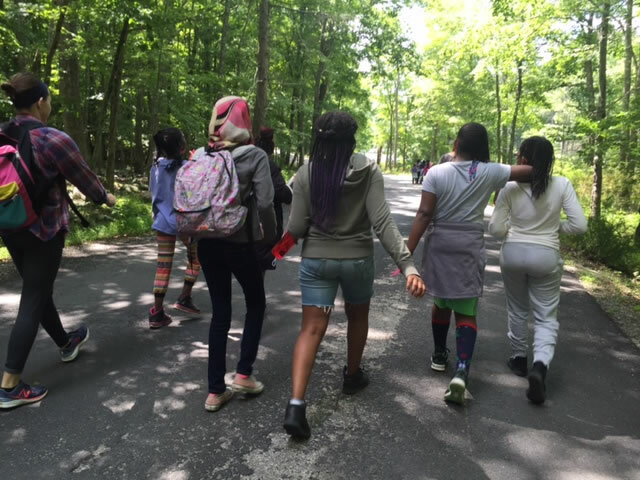 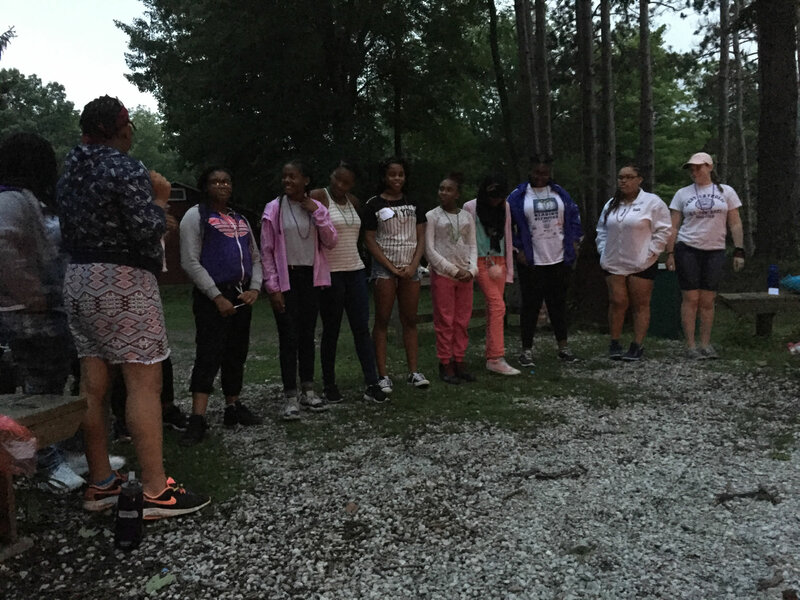 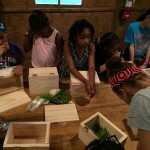 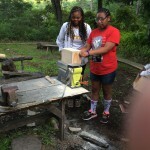 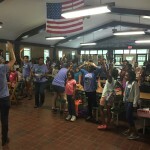 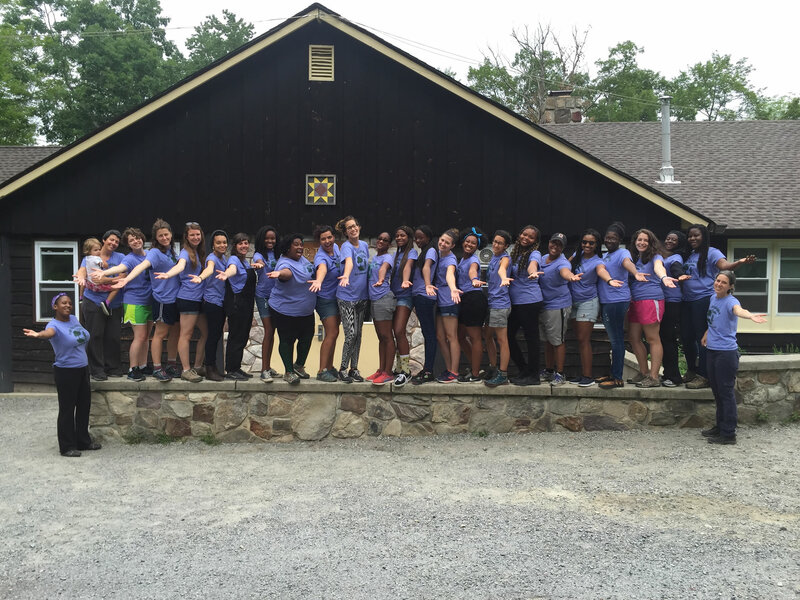 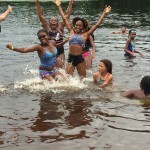 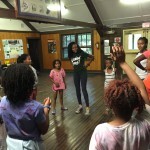 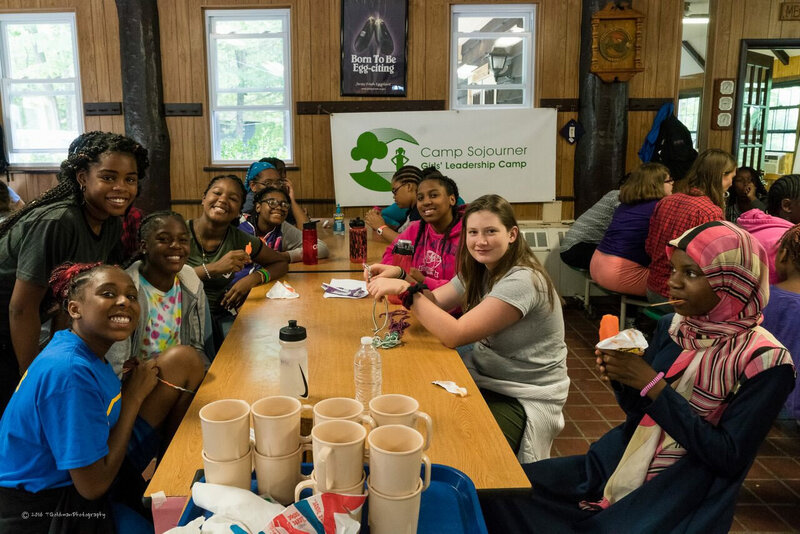 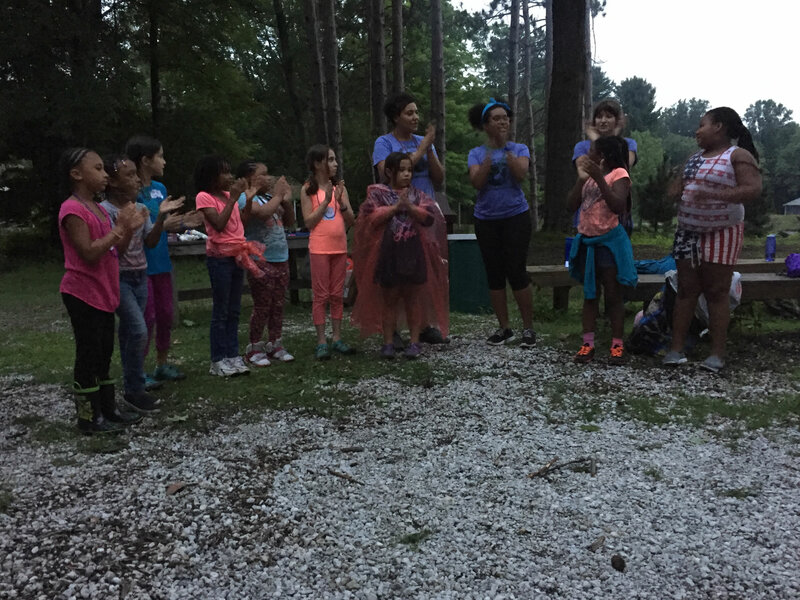 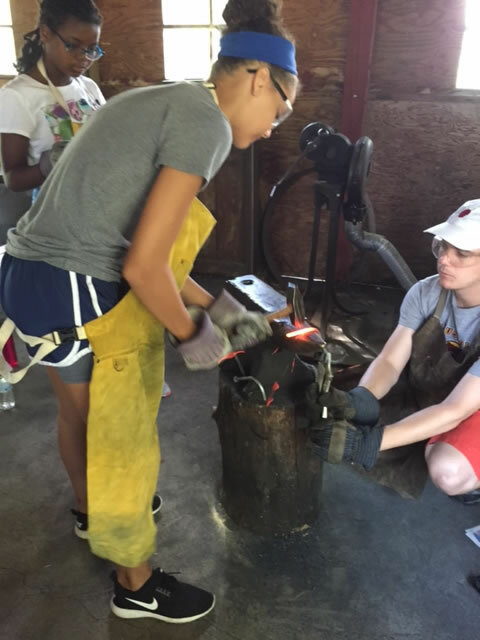 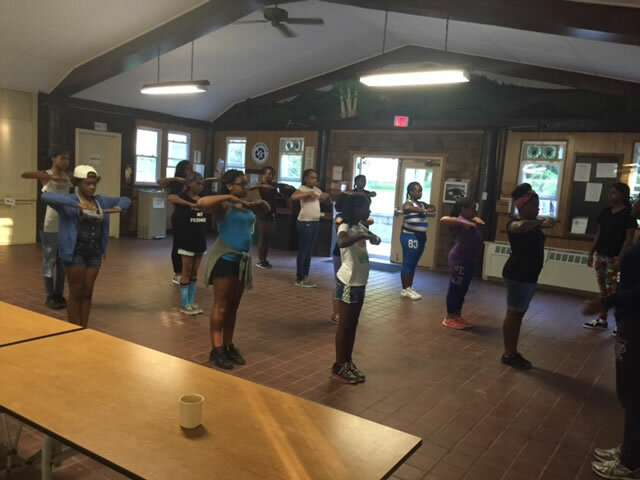 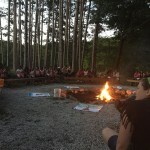 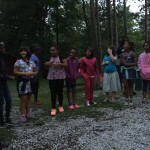 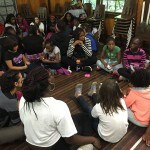 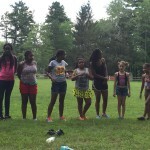 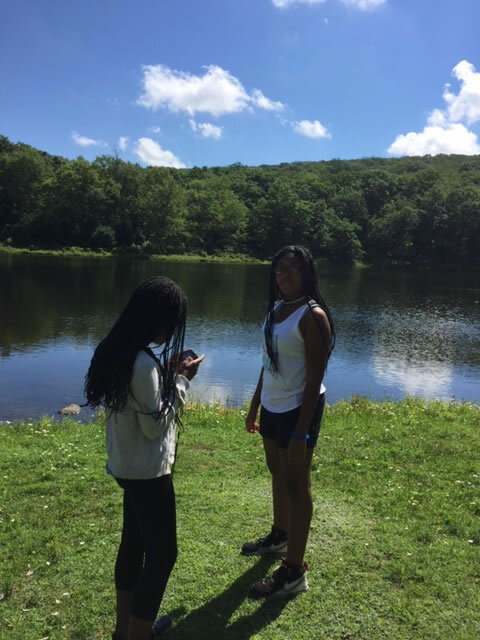 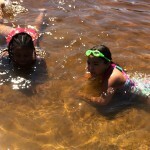 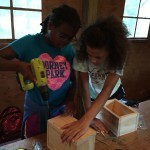 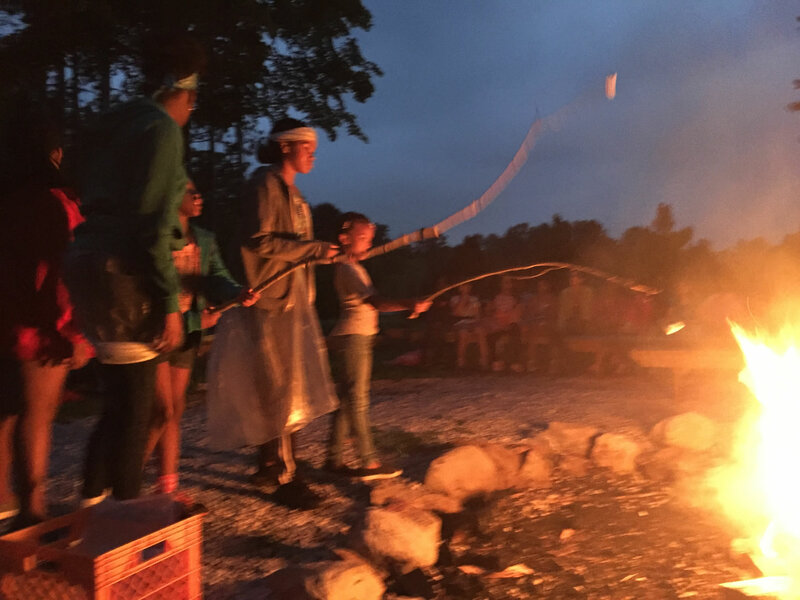 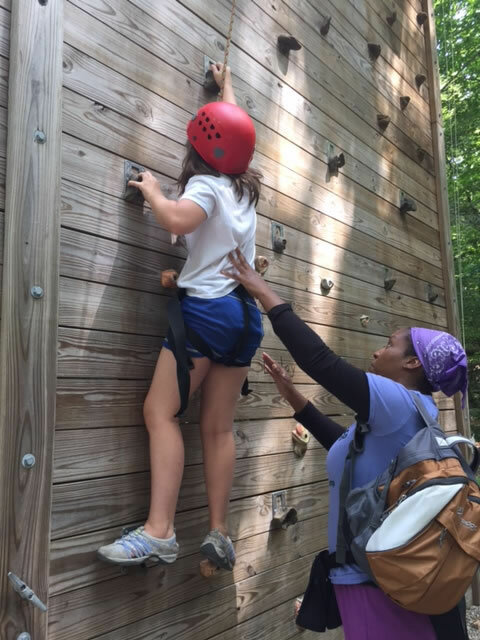 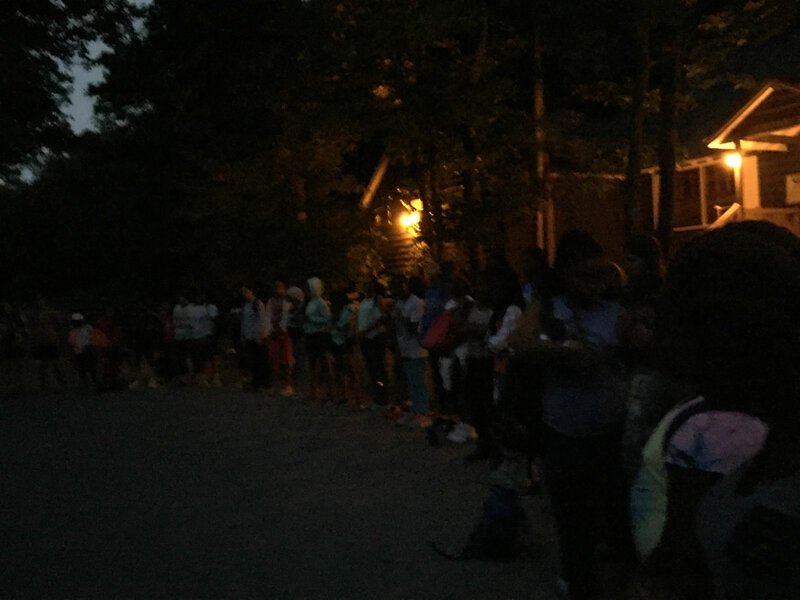 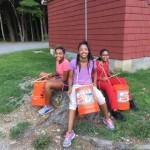 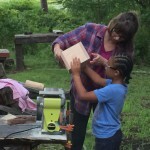 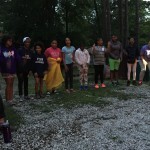 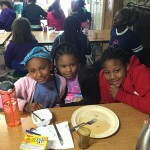 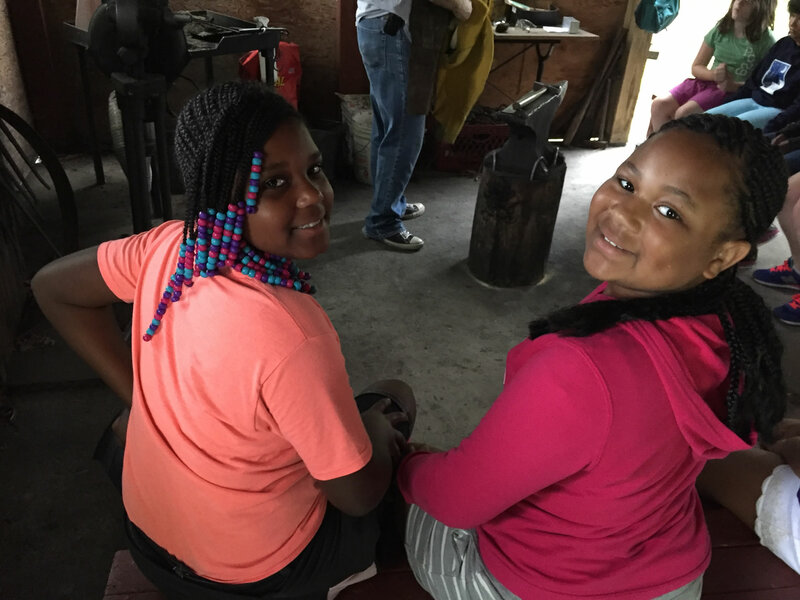 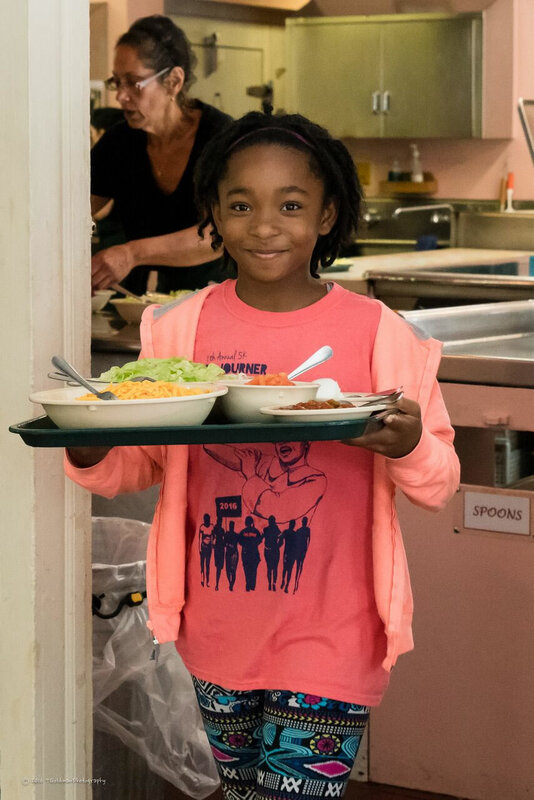 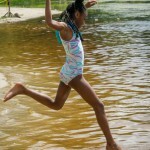 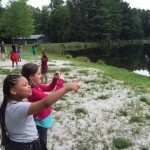 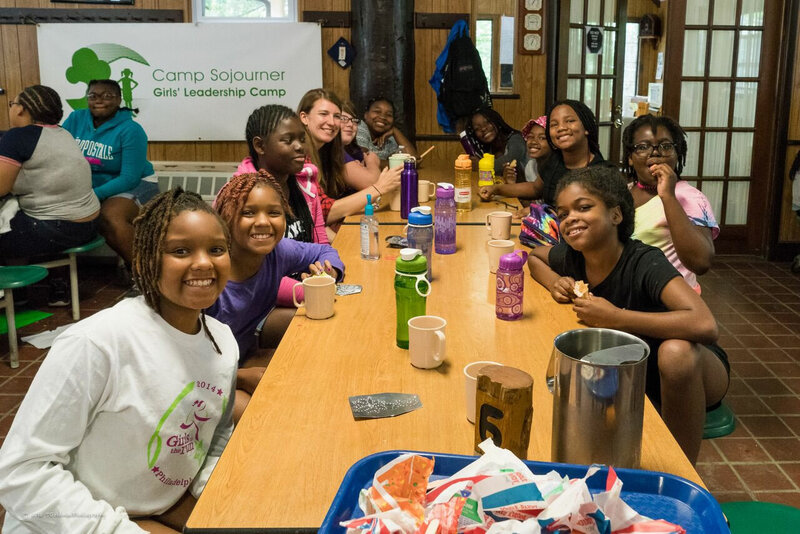 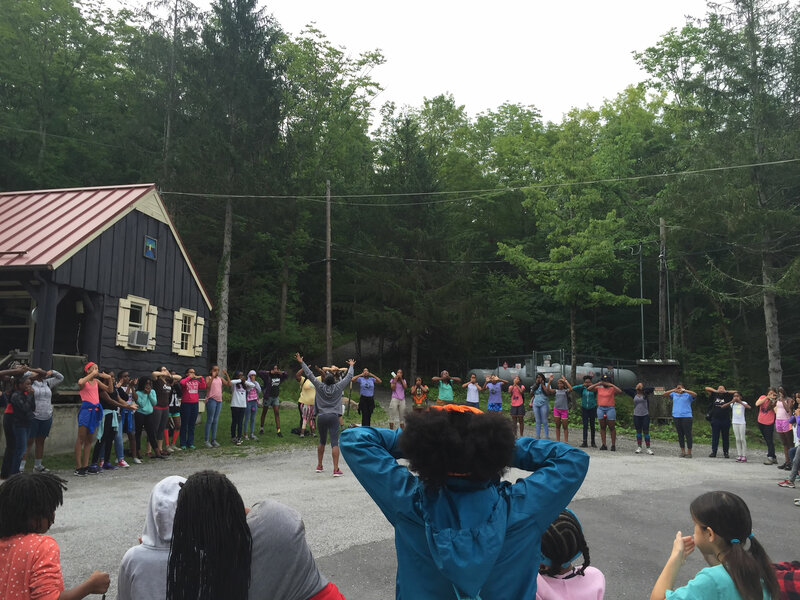 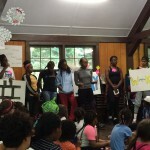 Girls' Leadership Camp » Camp Sojourner 2016! 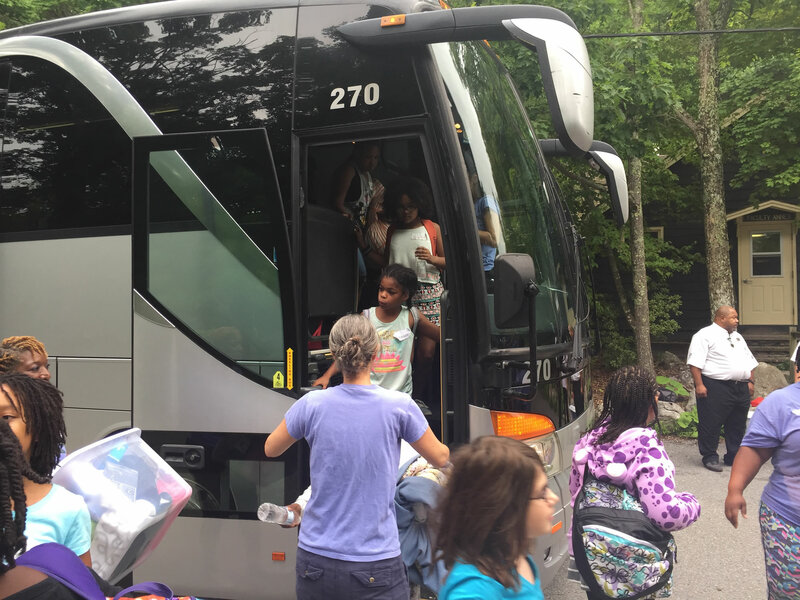 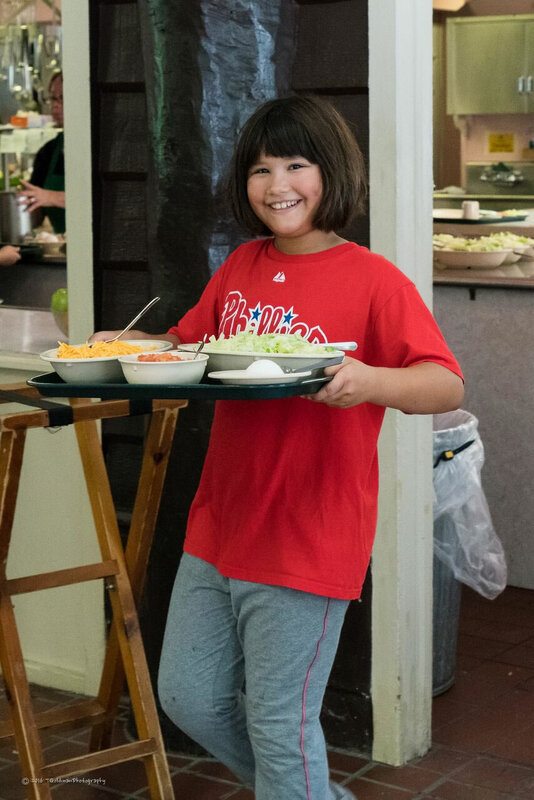 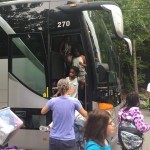 Many thanks to all of the wonderful staff, campers, parents/guardians, community members, and supporters who helped make this year’s session possible. 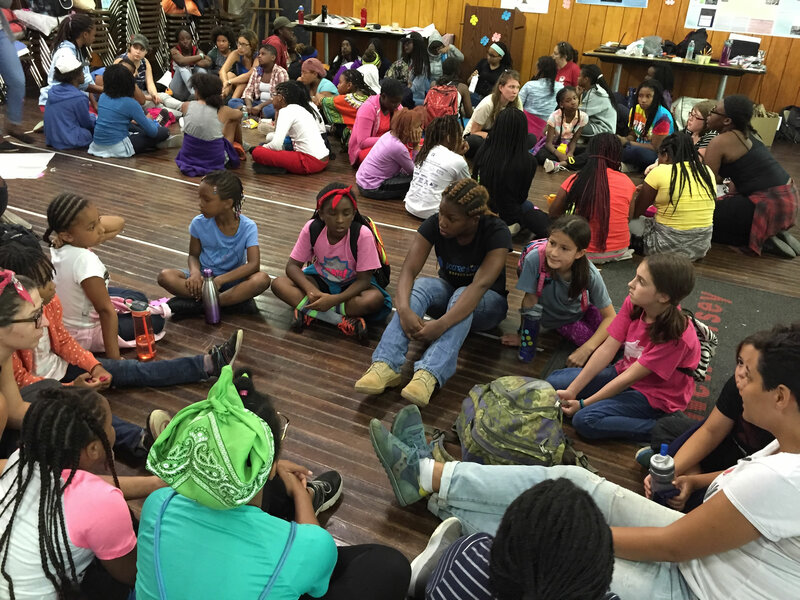 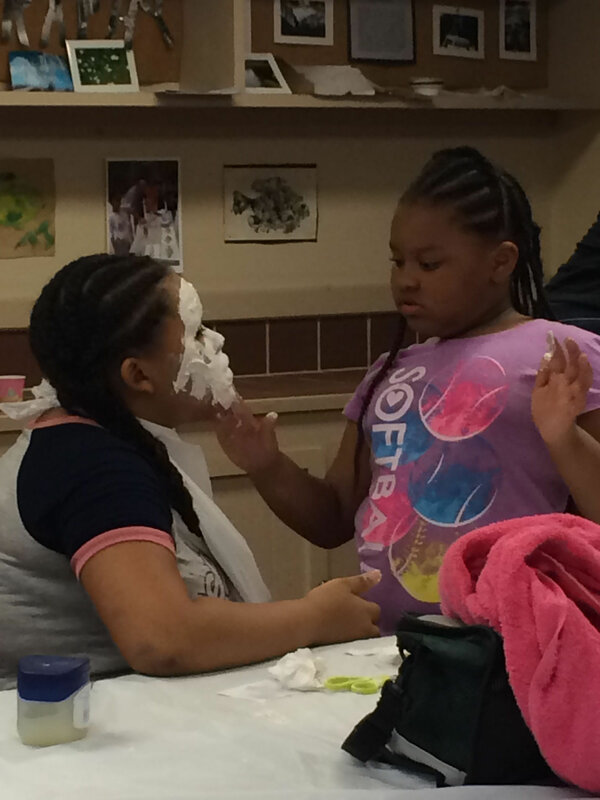 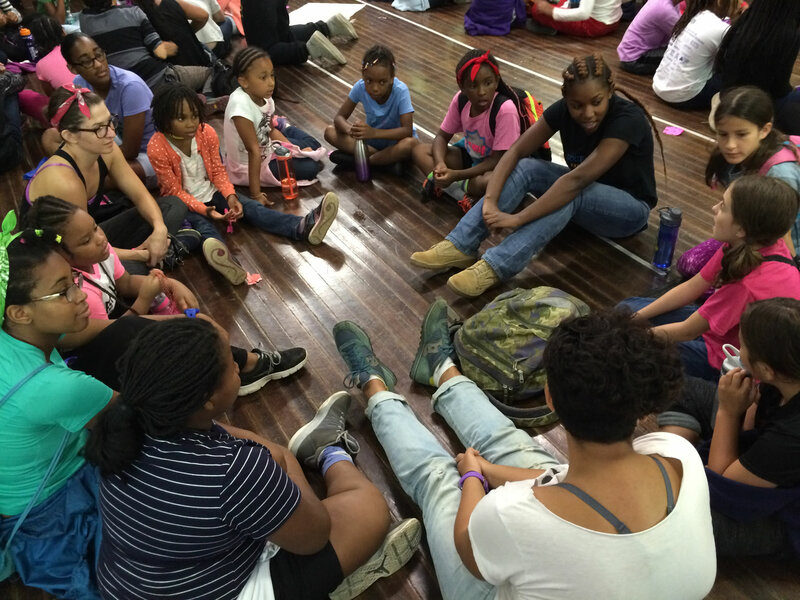 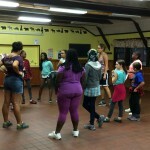 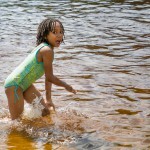 We had an additional day of camp this year and our largest group ever, 75 girls! 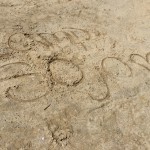 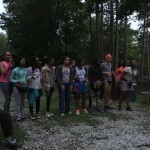 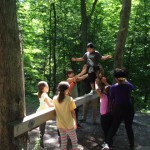 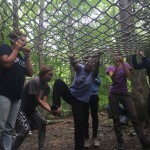 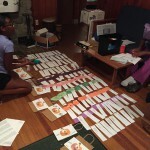 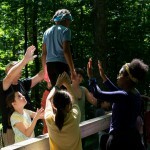 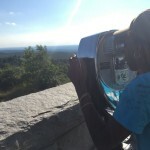 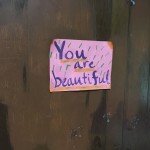 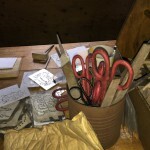 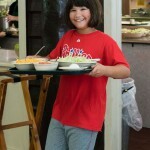 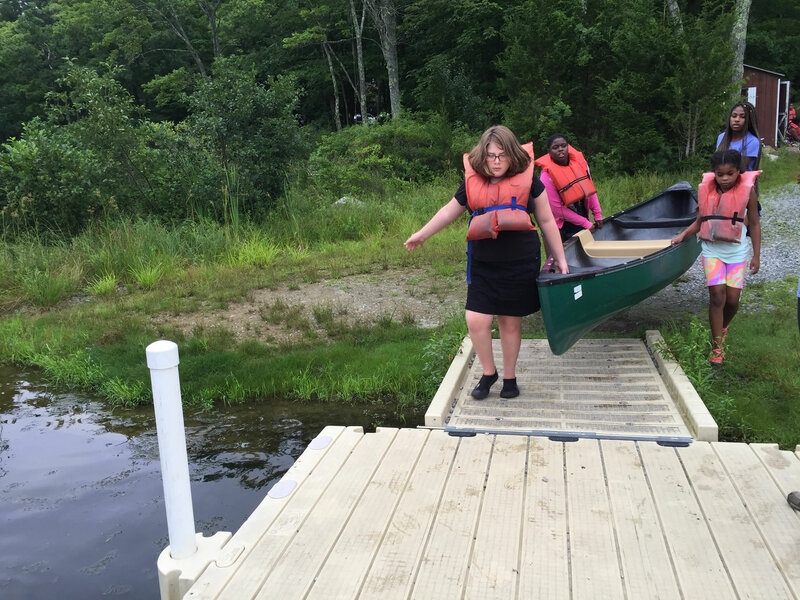 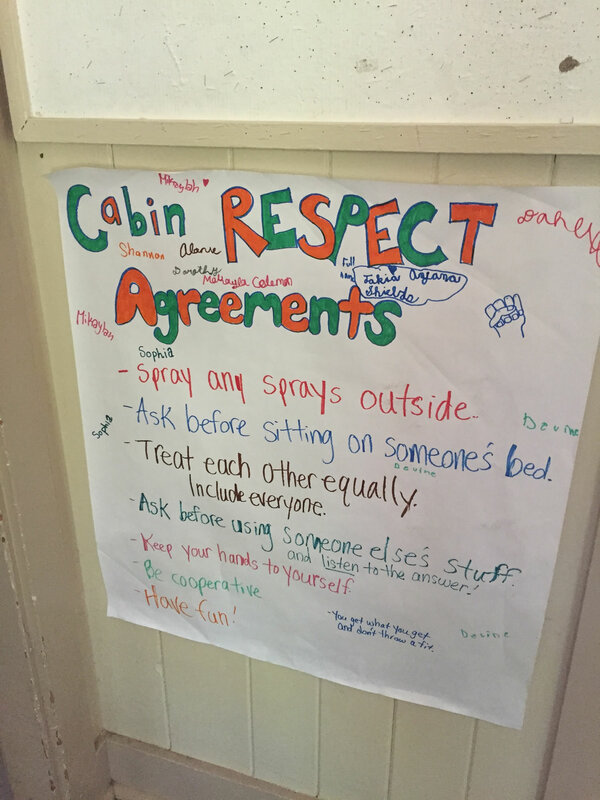 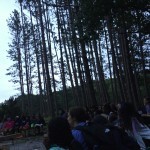 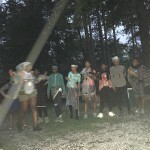 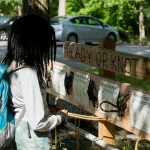 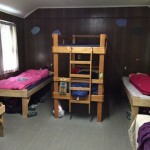 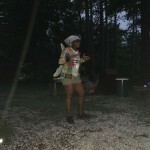 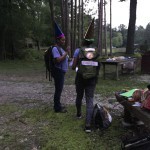 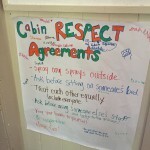 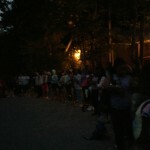 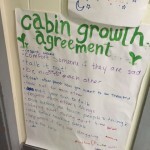 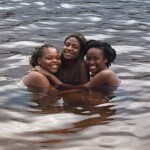 We had a special new scavenger hunt this year planned by our 13-14 year old cabin, and team confidence course. 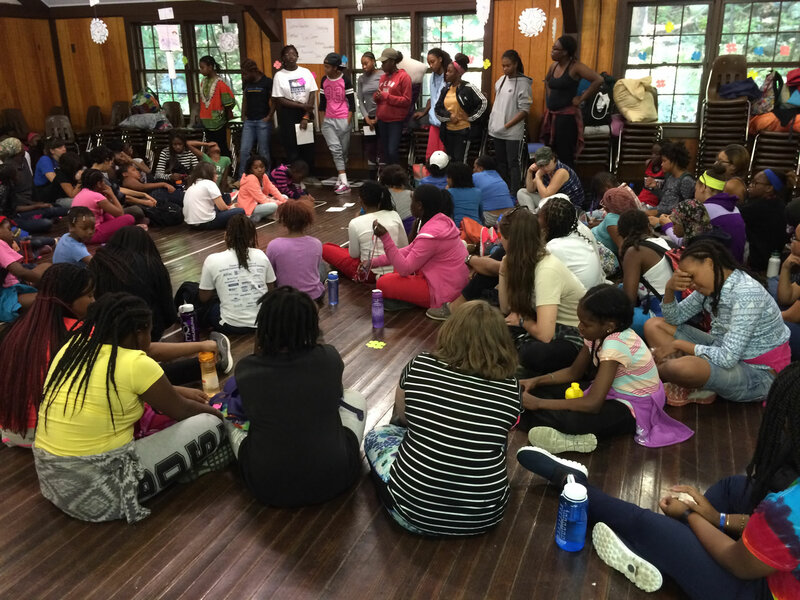 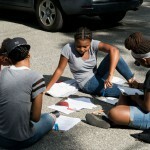 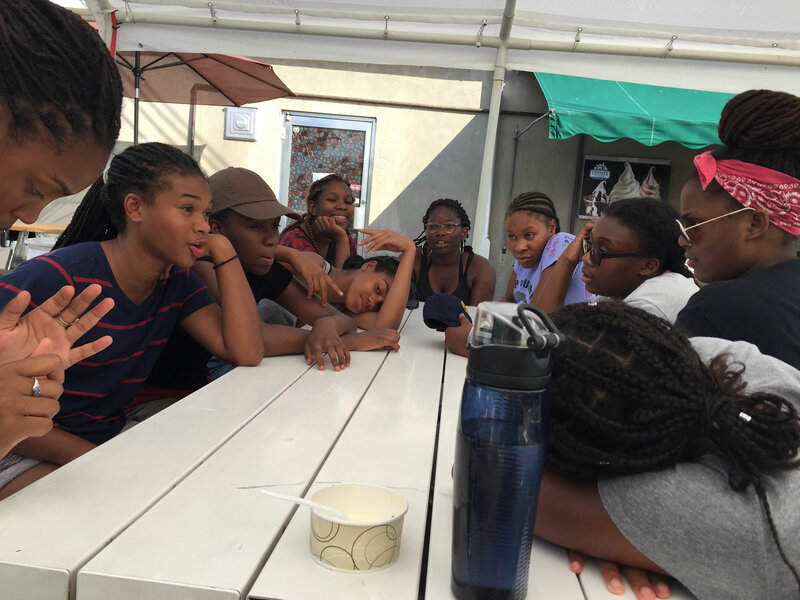 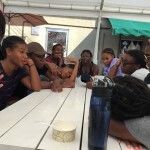 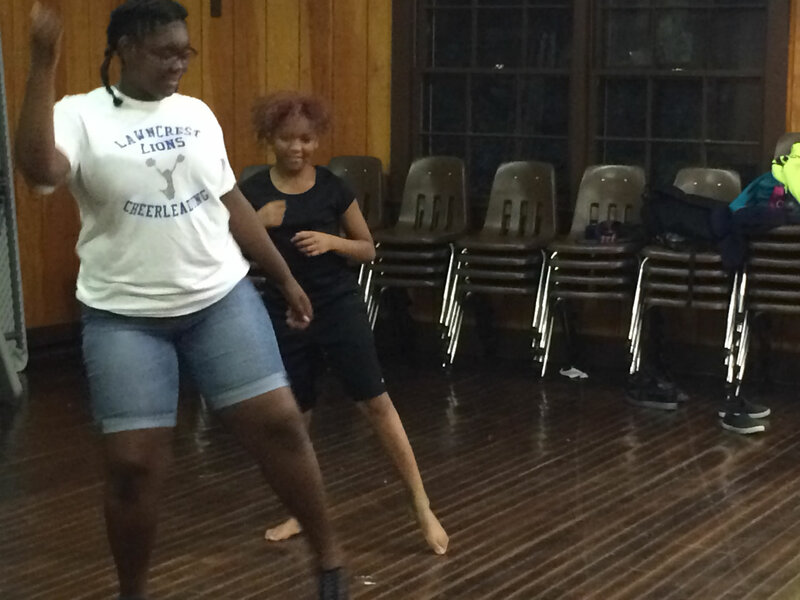 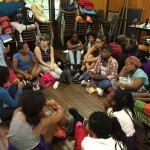 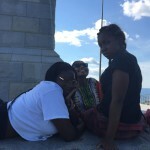 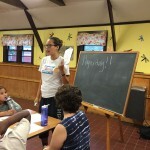 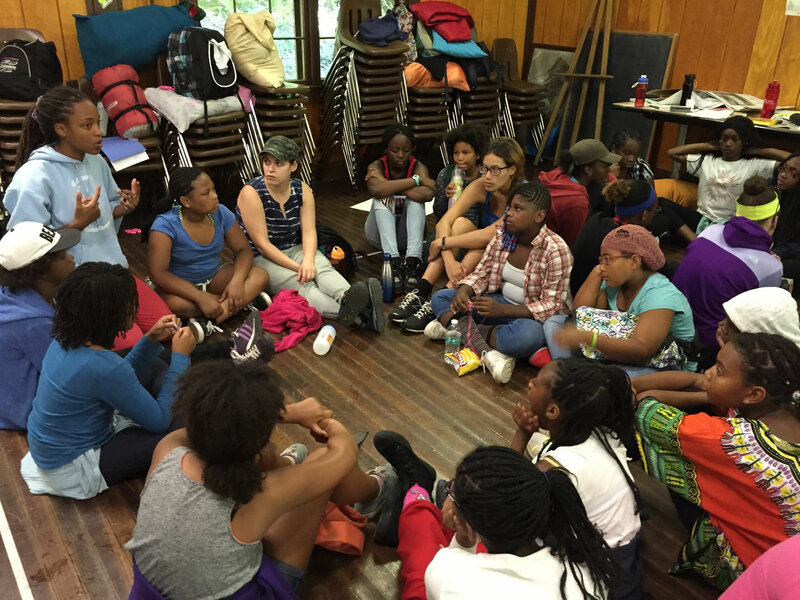 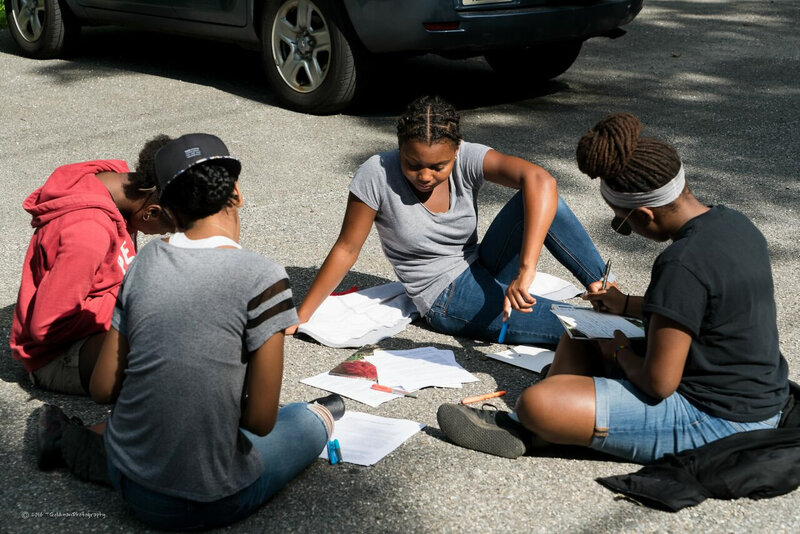 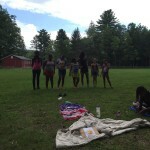 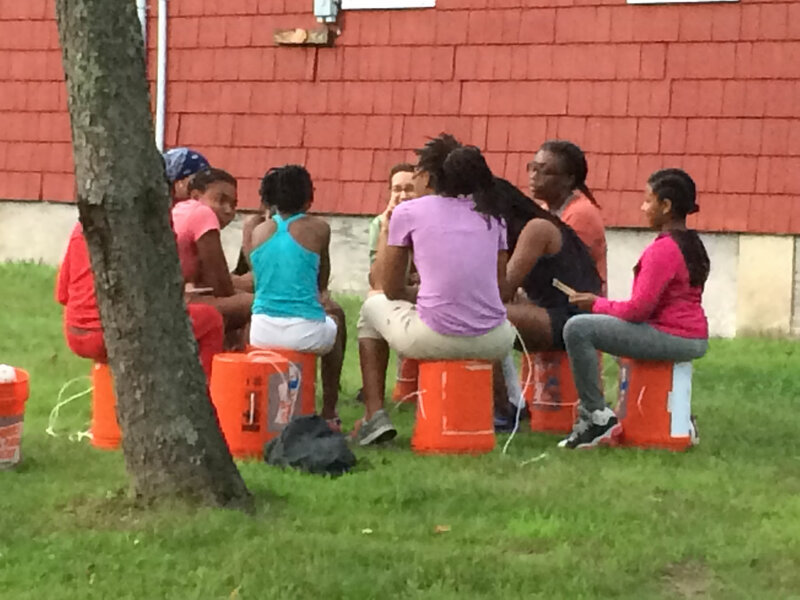 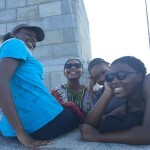 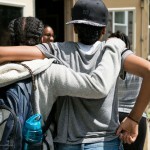 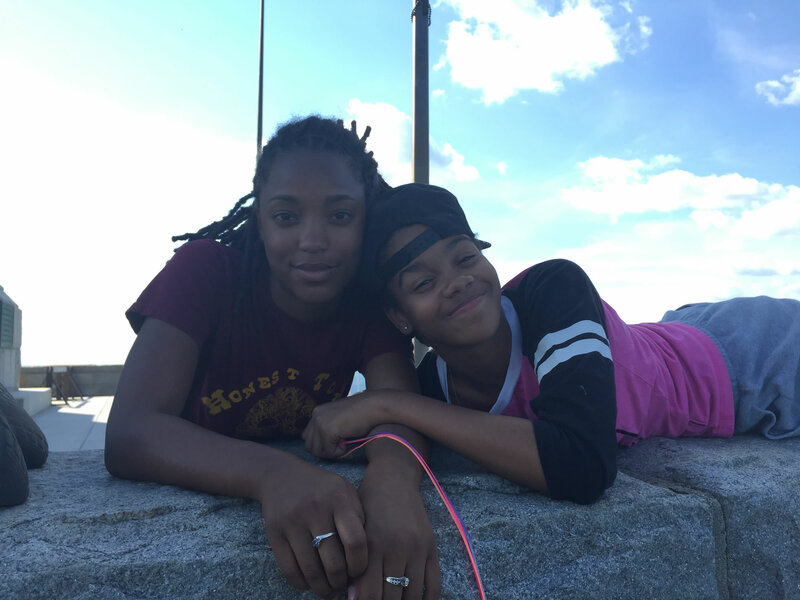 Our teen leaders (ages 14-16) also led a powerful ‘Stay Woke’ workshop related to race, gender, and police brutality. 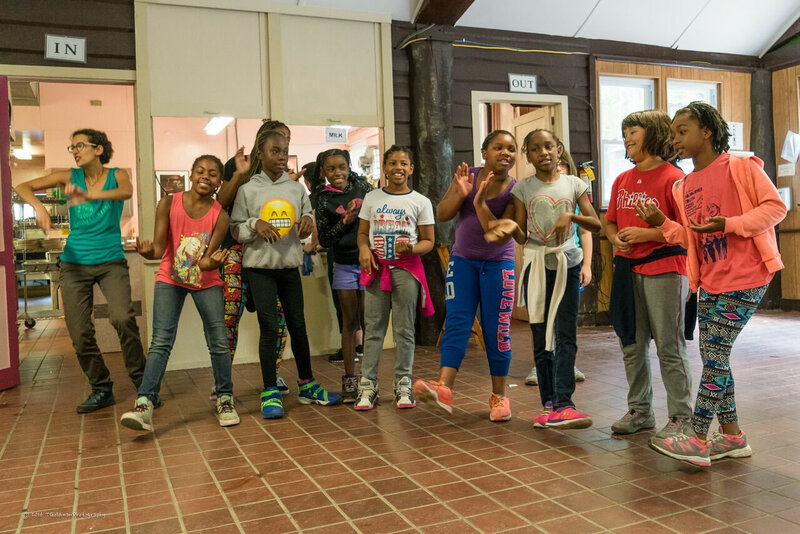 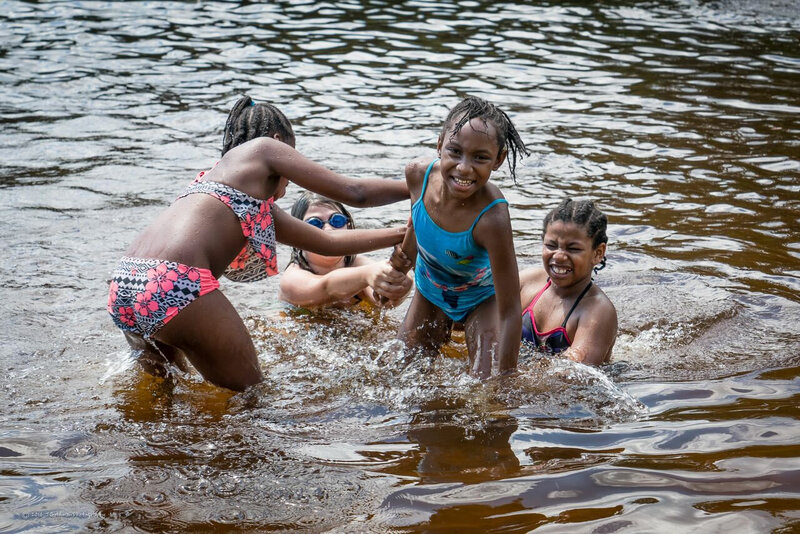 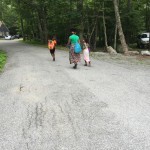 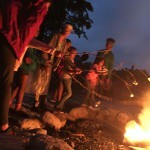 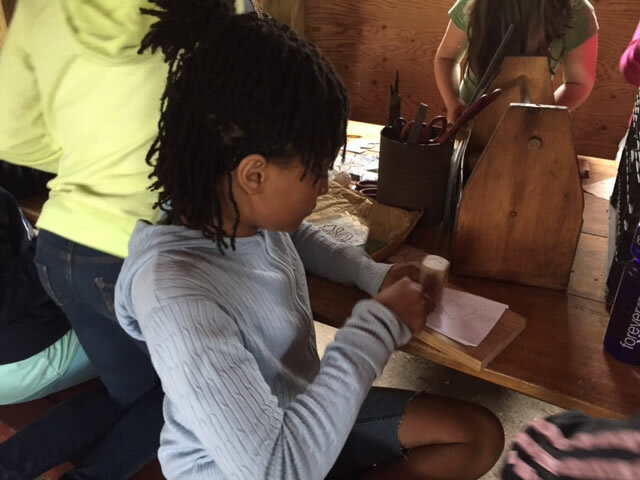 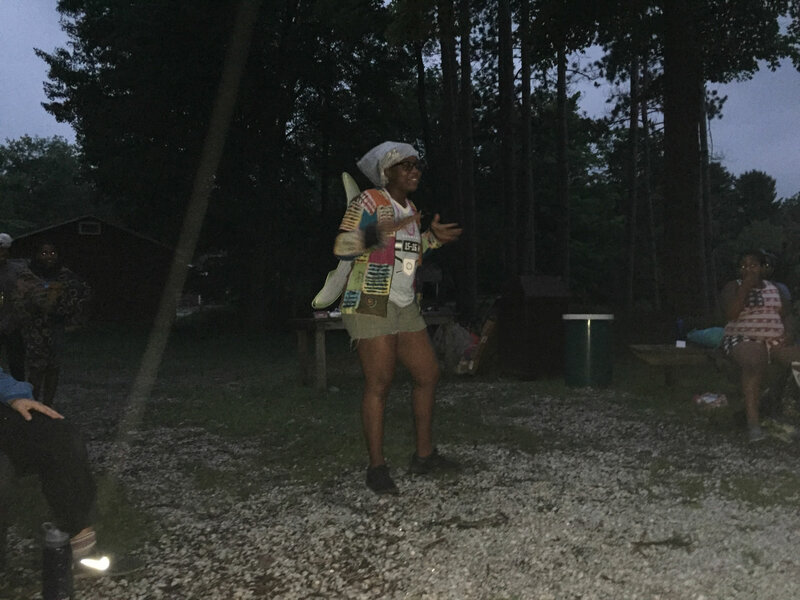 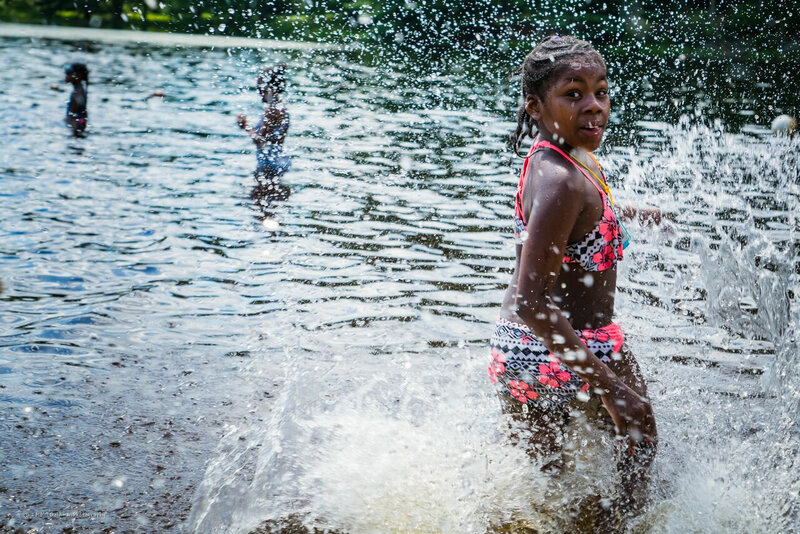 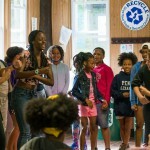 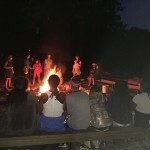 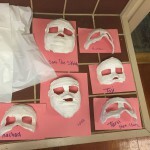 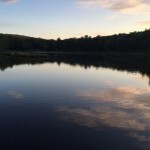 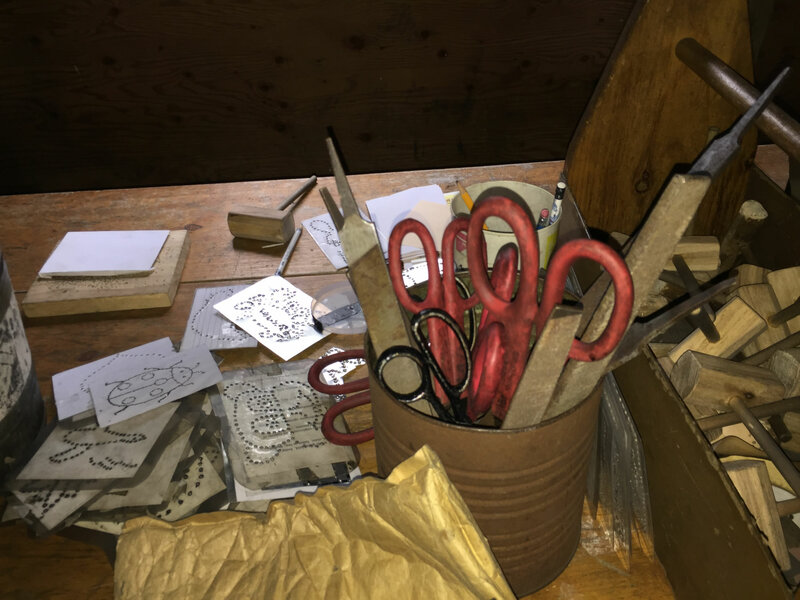 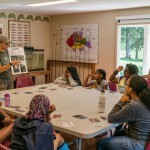 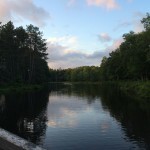 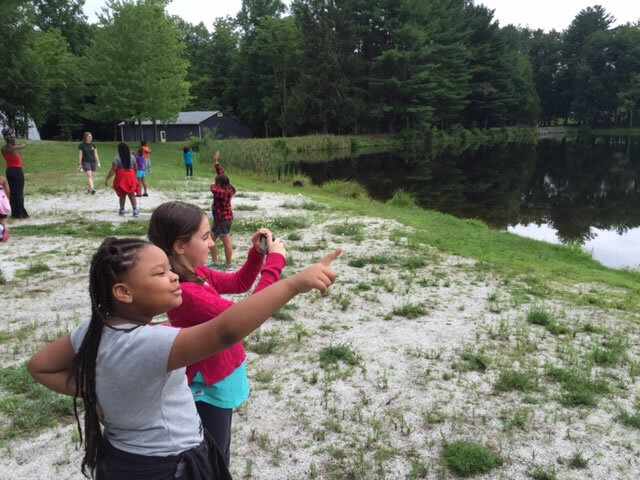 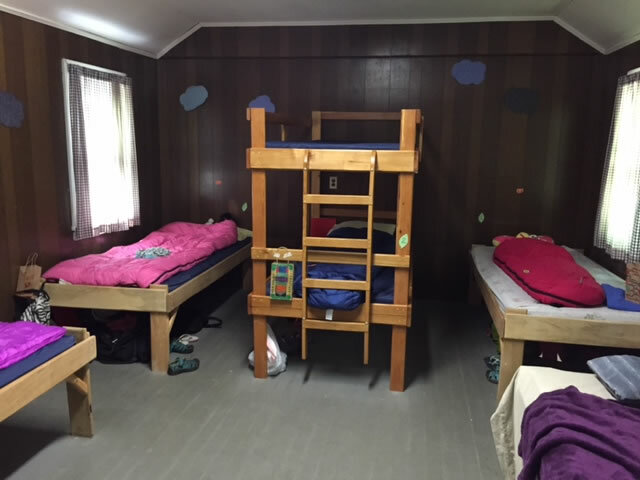 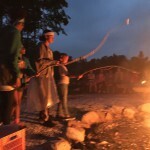 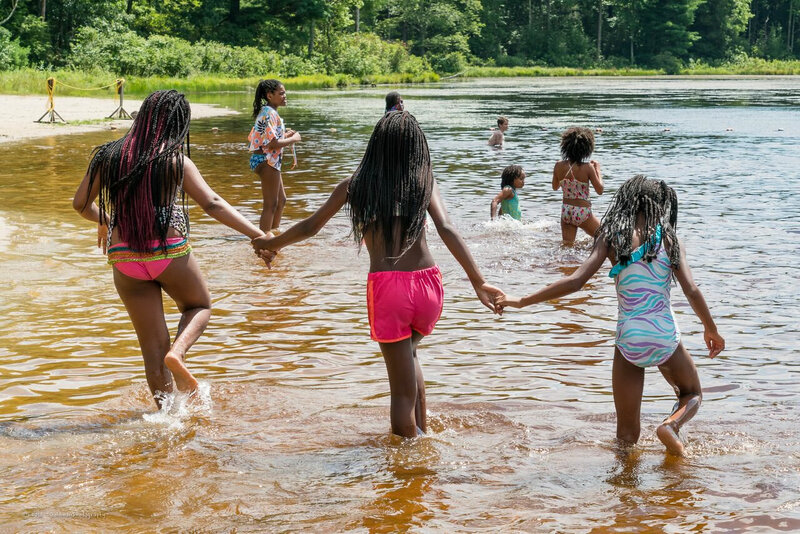 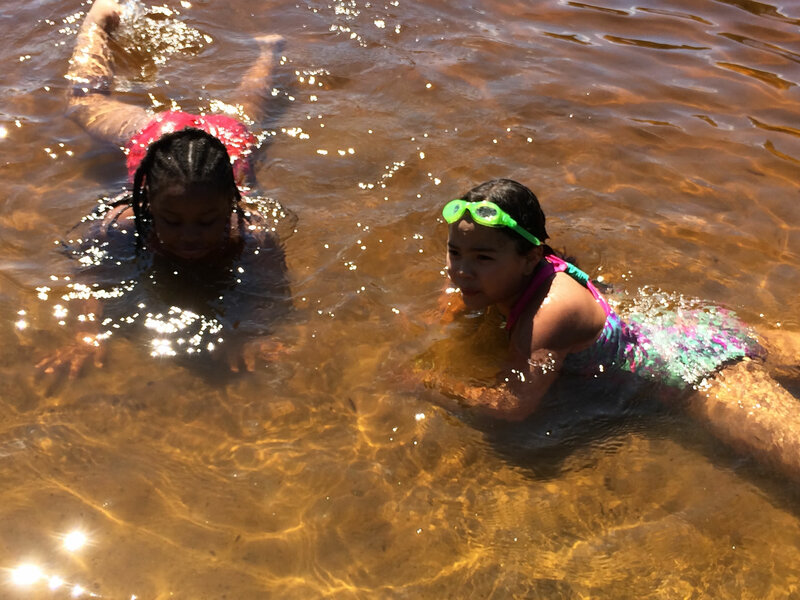 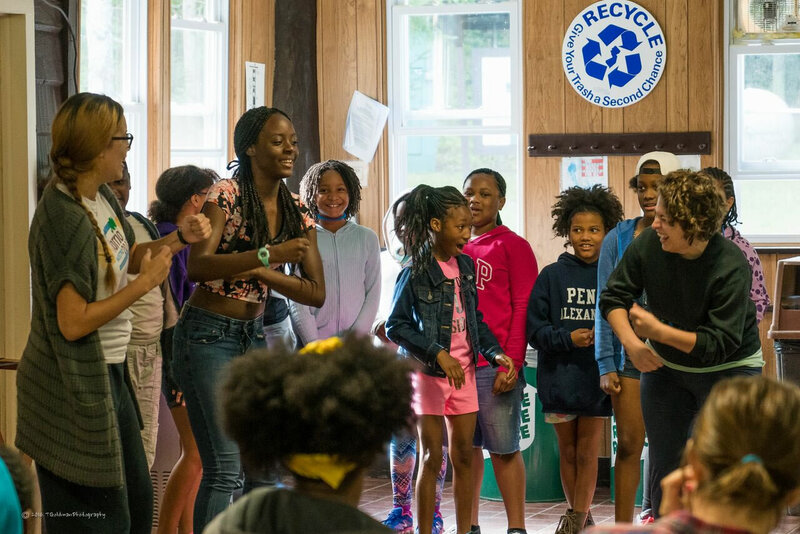 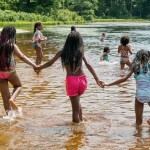 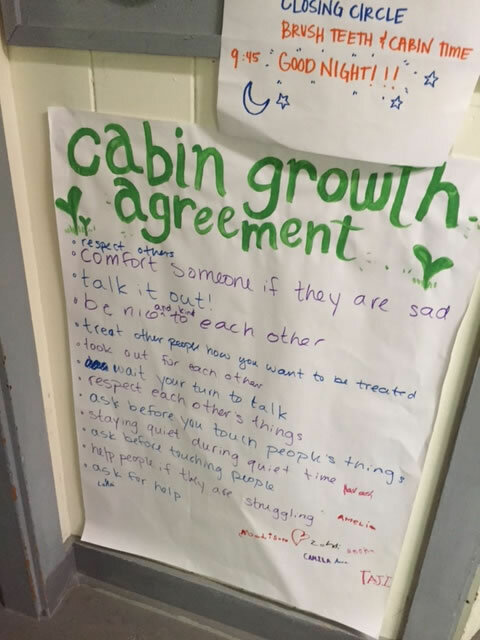 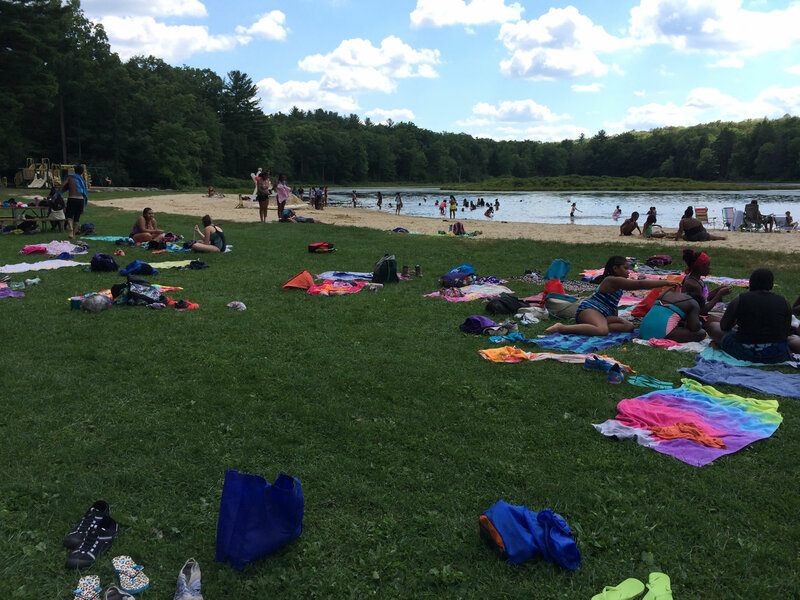 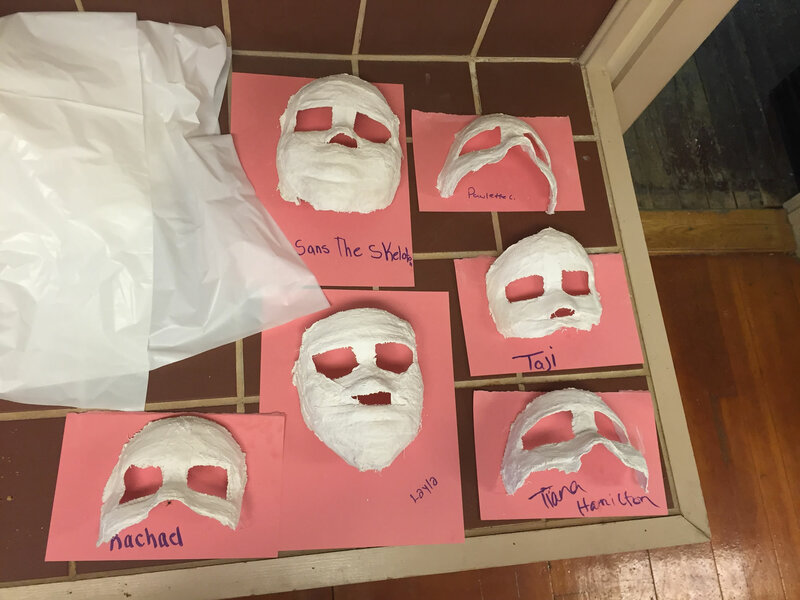 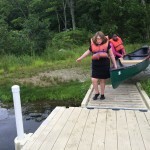 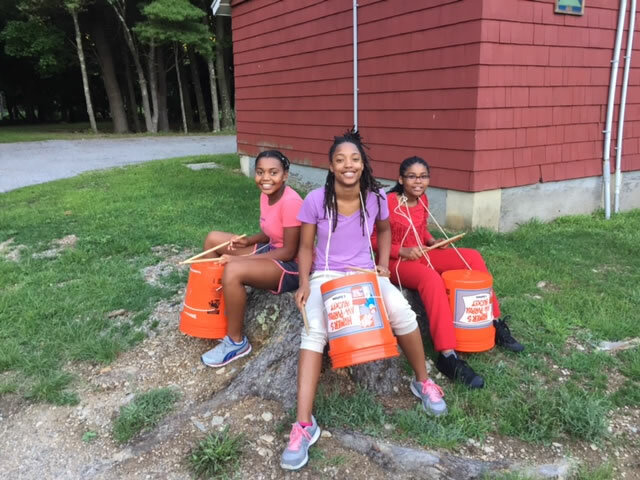 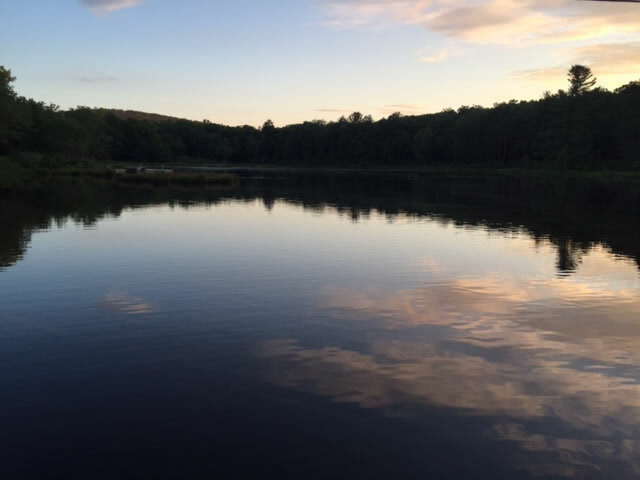 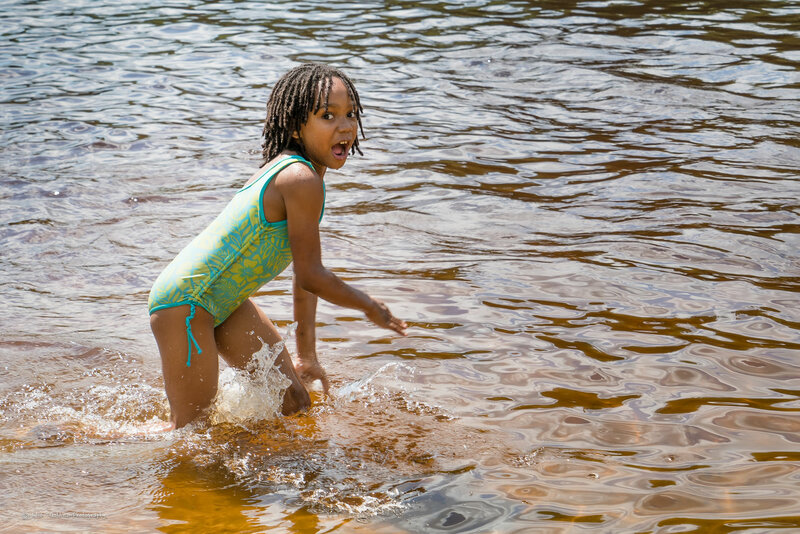 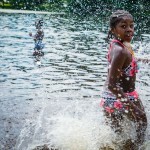 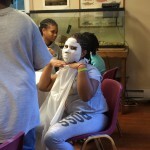 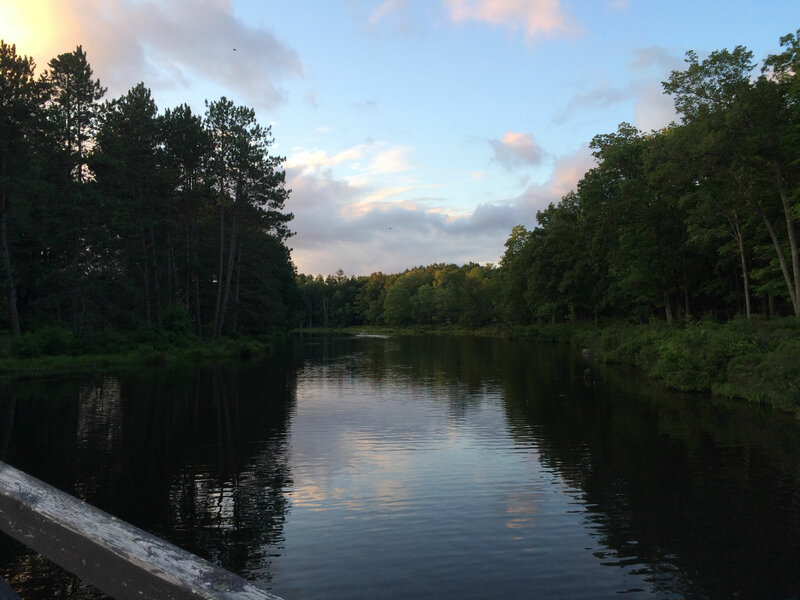 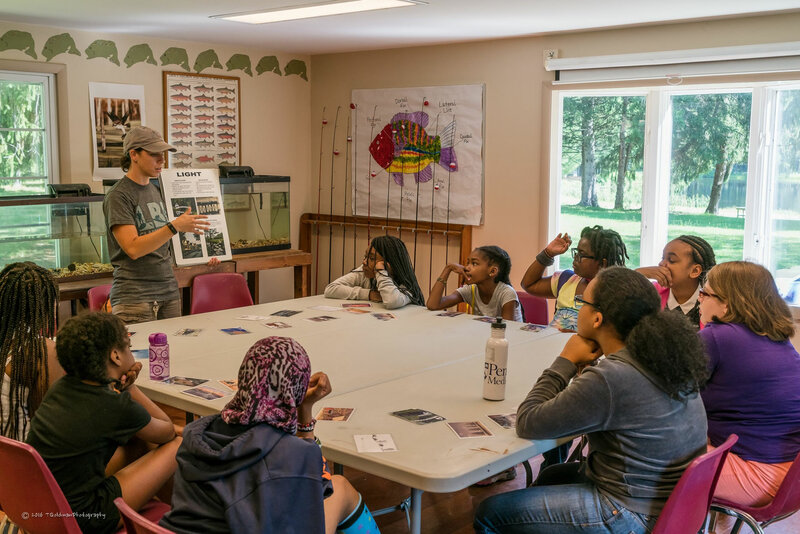 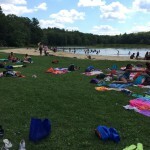 Of course, there were still lots of old camp favorites too—boating, hiking, swimming, photography, climbing wall, dance, drumming, theater, and more.